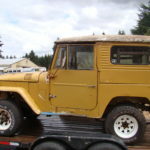 Interested in a vehicle you see here? 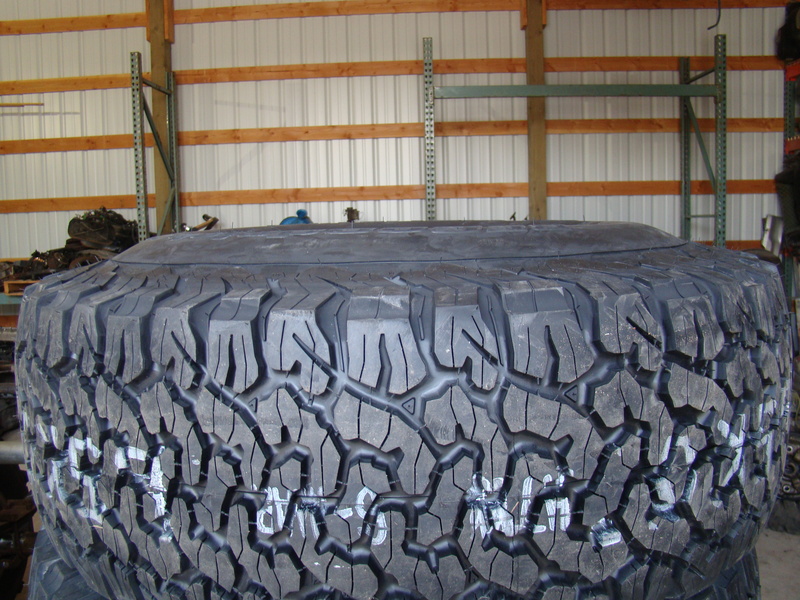 Contact us for more information or to purchase. 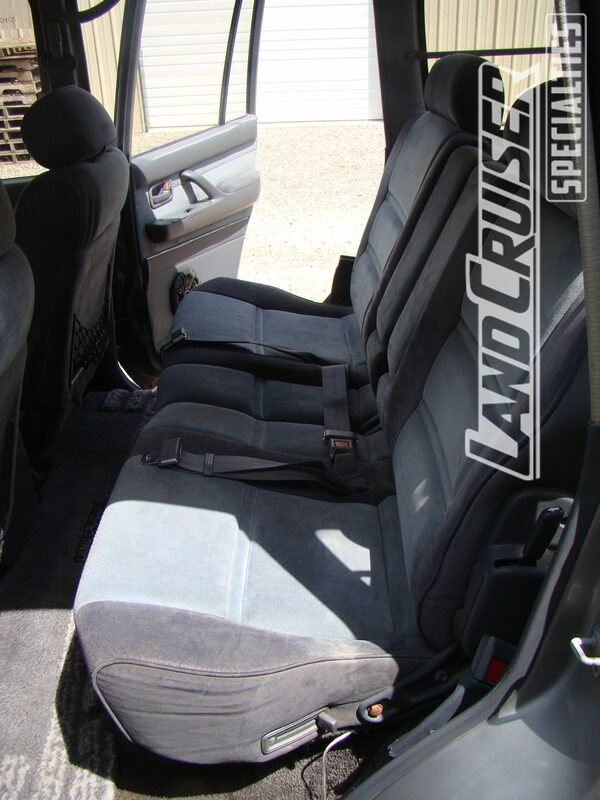 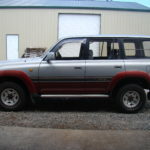 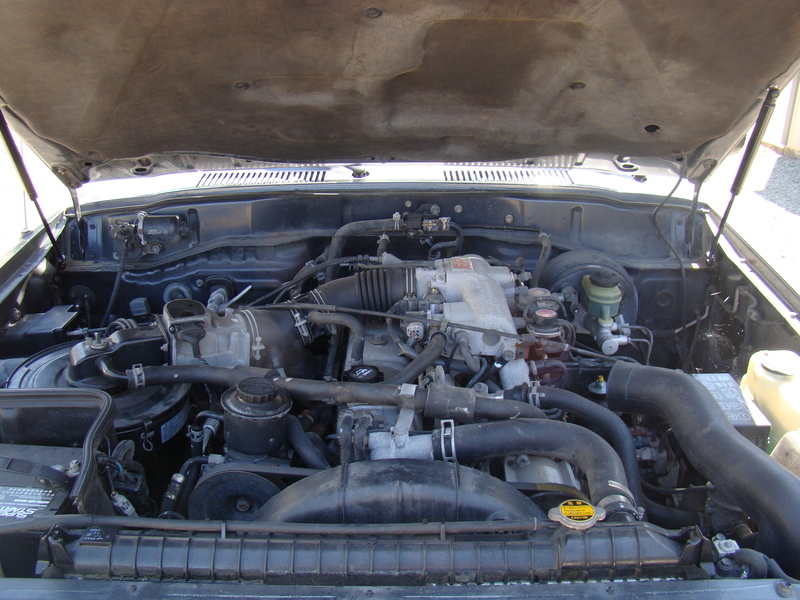 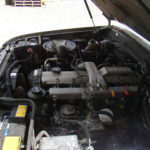 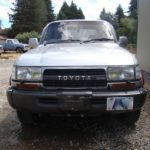 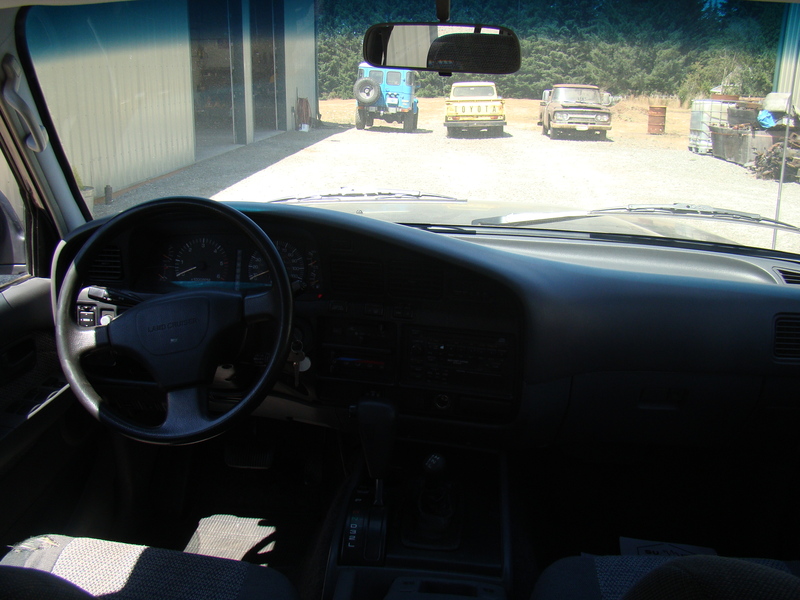 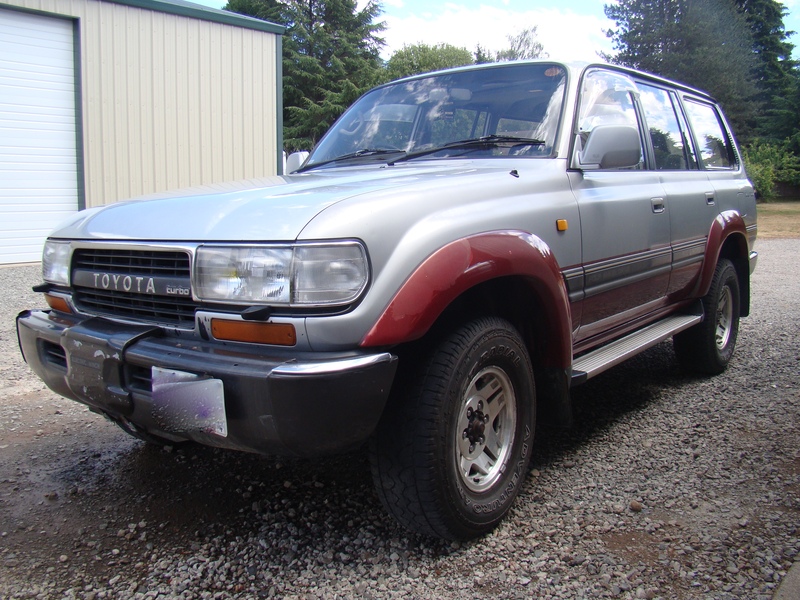 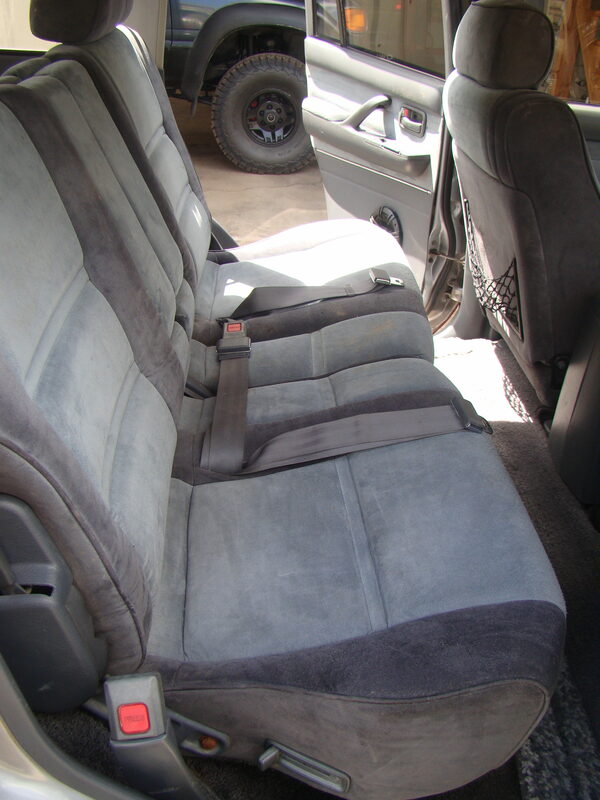 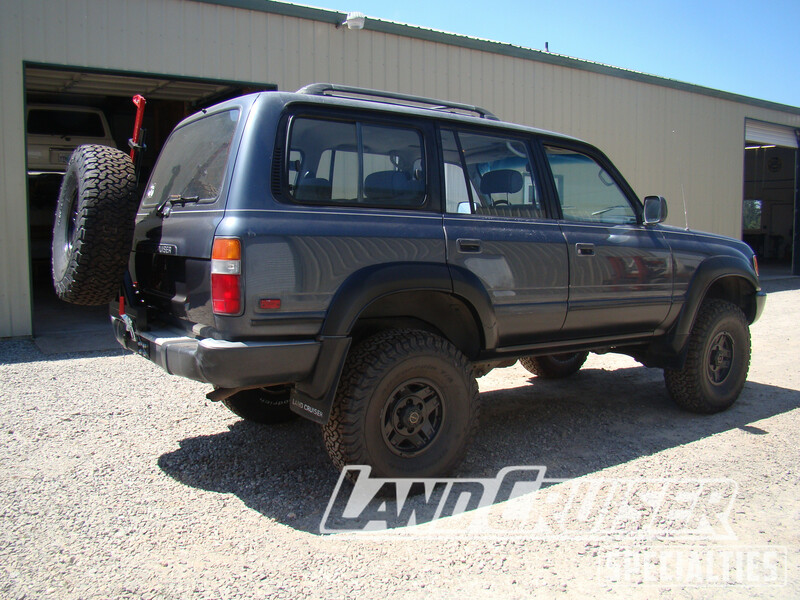 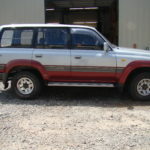 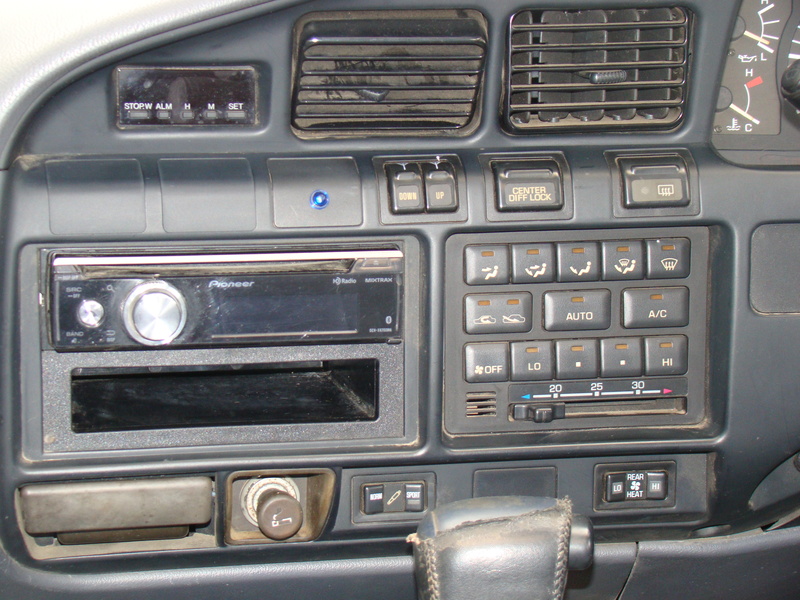 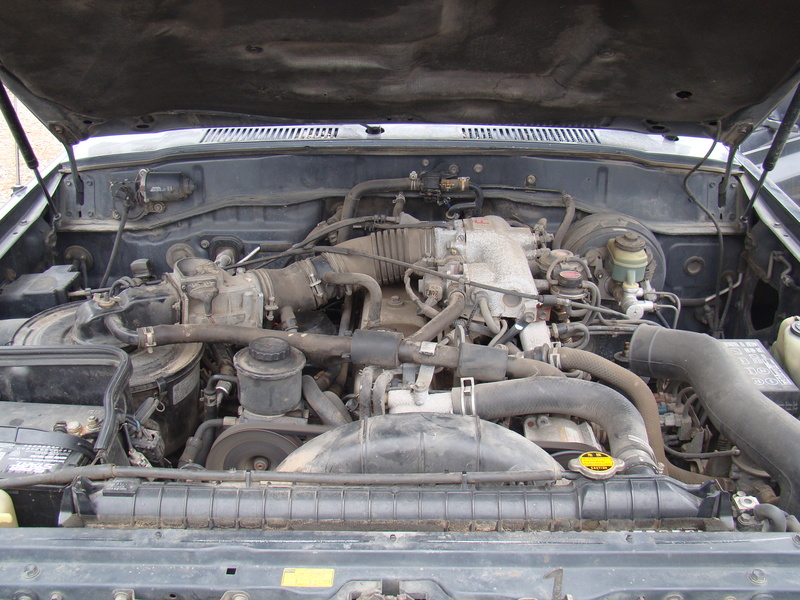 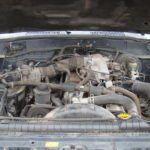 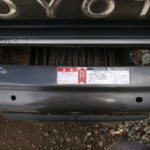 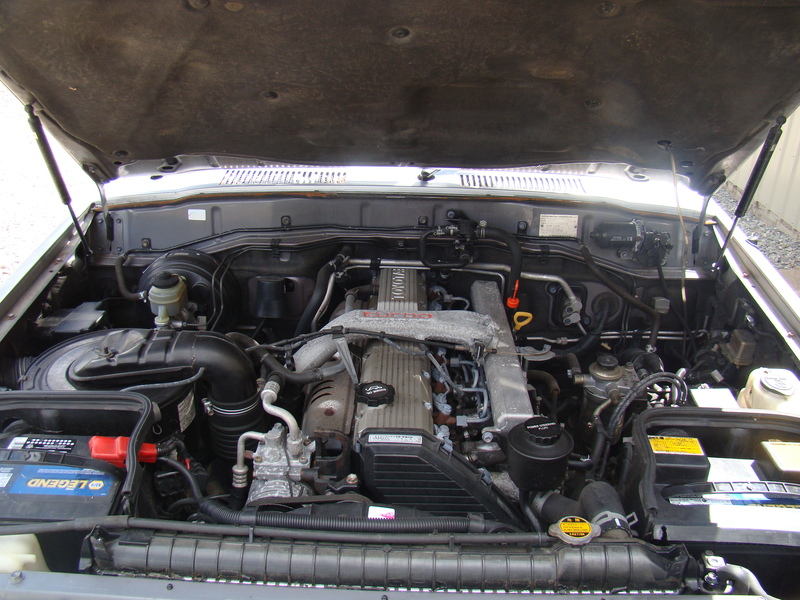 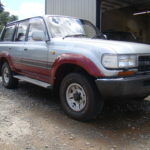 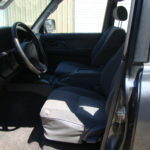 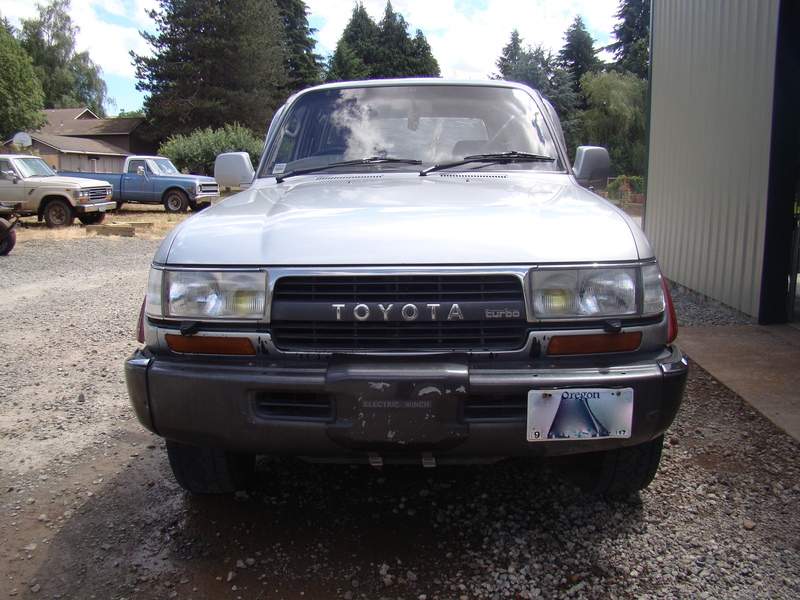 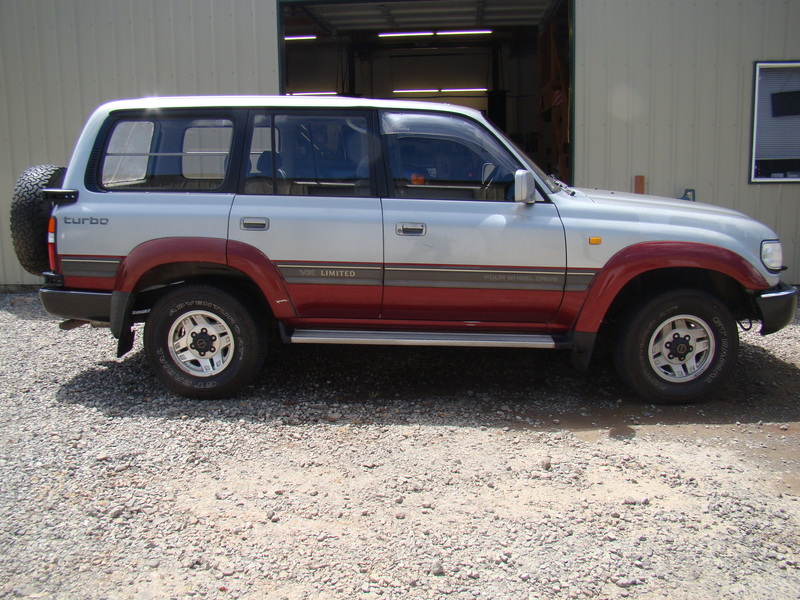 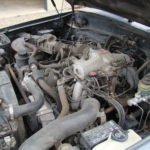 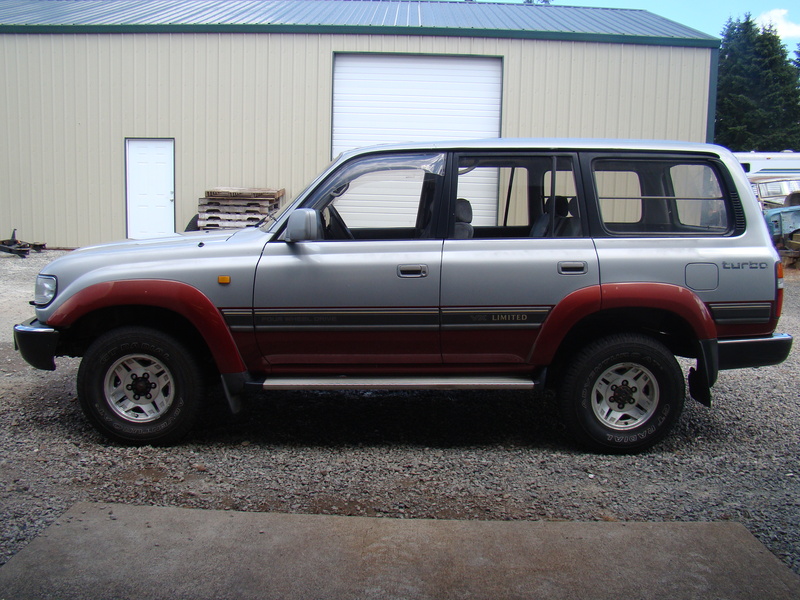 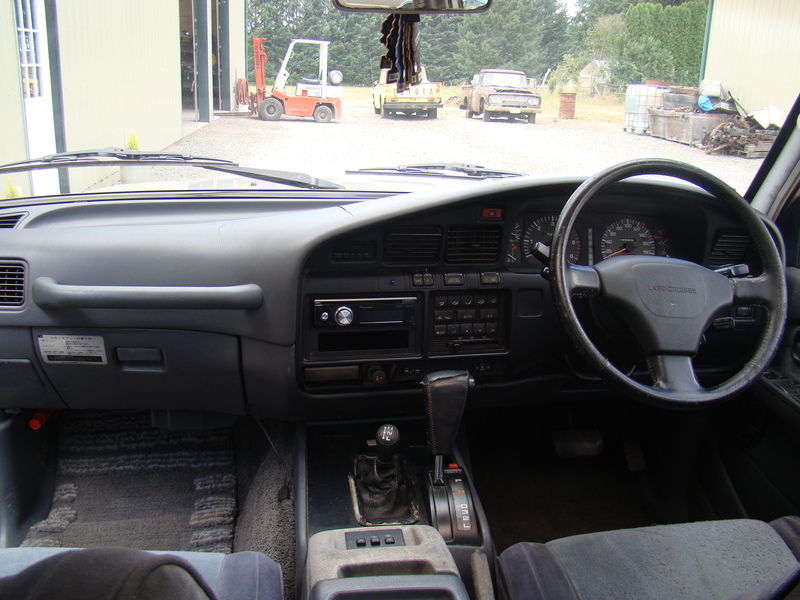 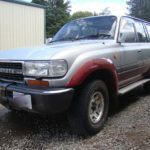 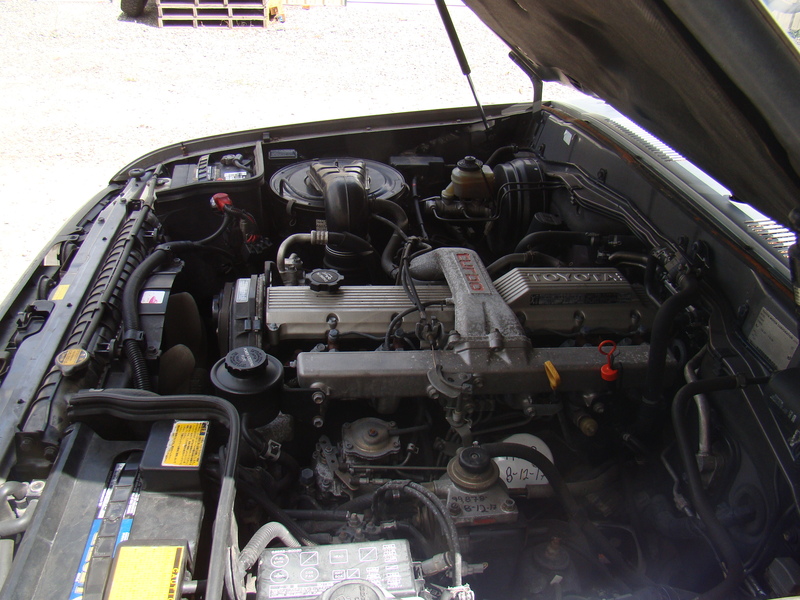 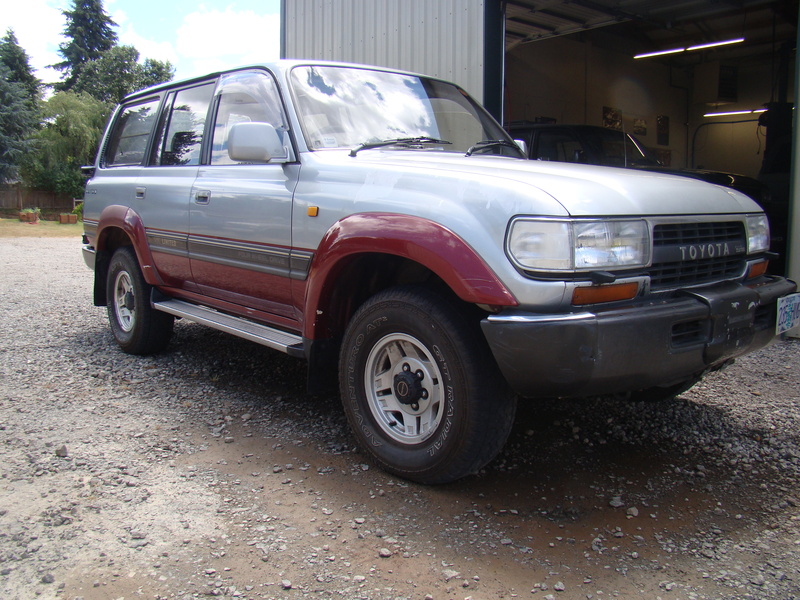 5/1990 Toyota Landcruiser HDJ81 RHD 1HDT (turbo diesel), Automatic. 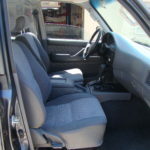 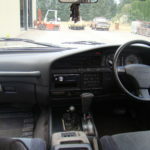 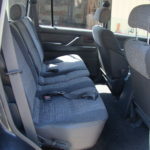 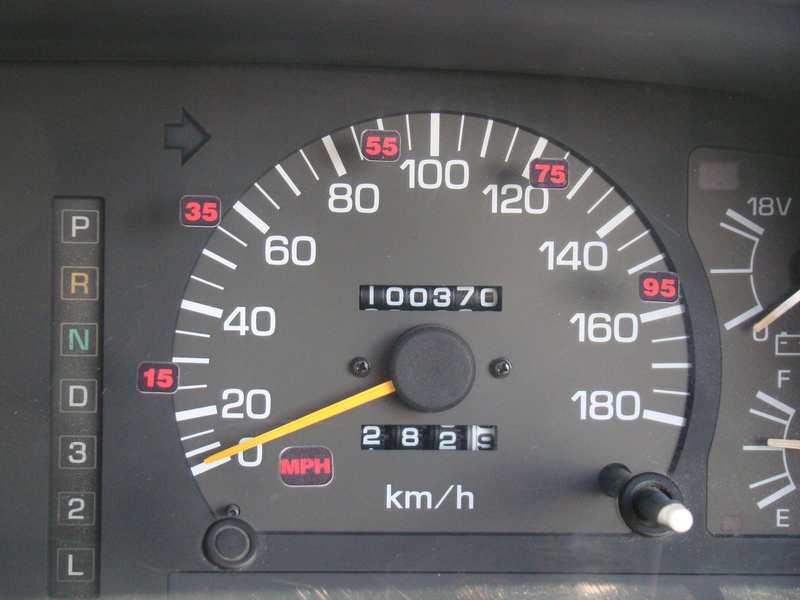 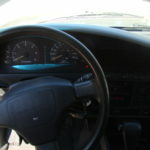 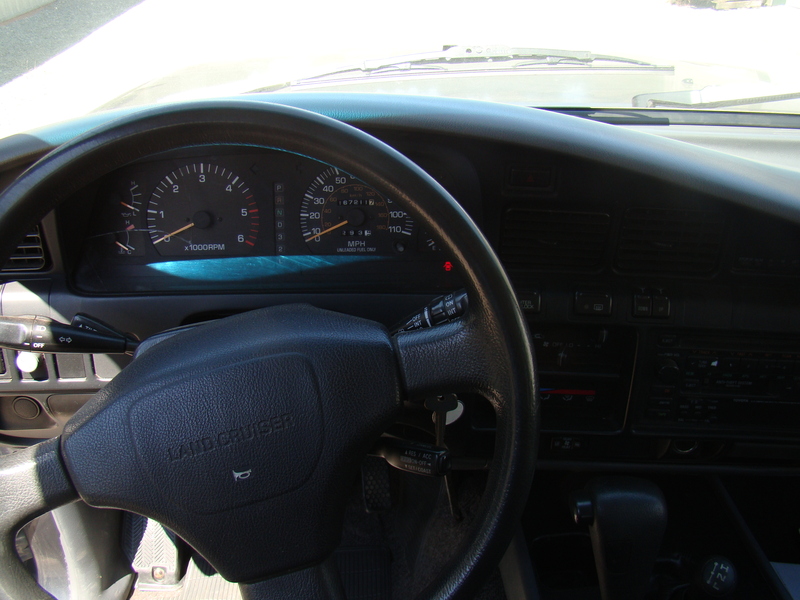 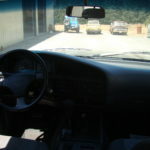 Original 100,370Km (62,367 miles) vehicle. 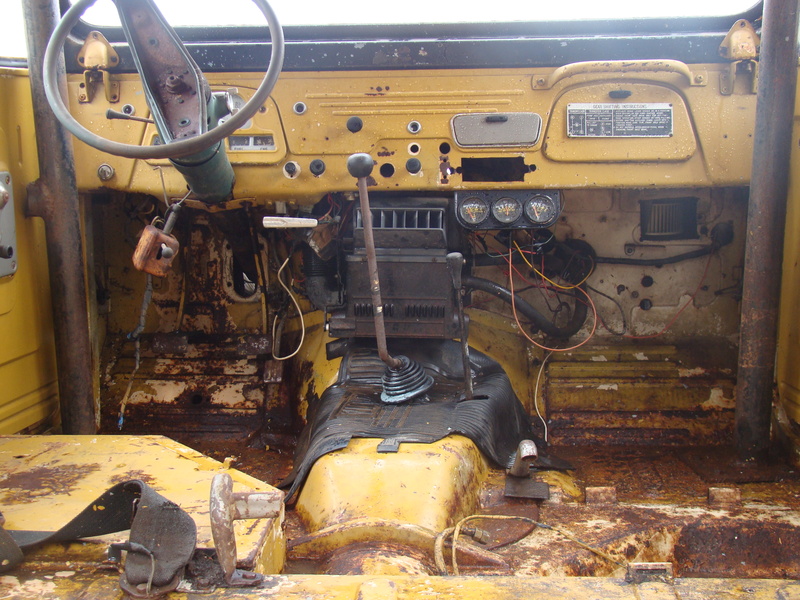 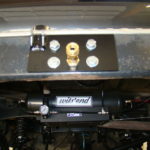 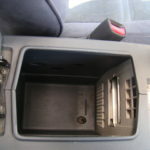 Center differential lock, OEM winch, Adjustable control suspension and center console fridge/ice maker (works). 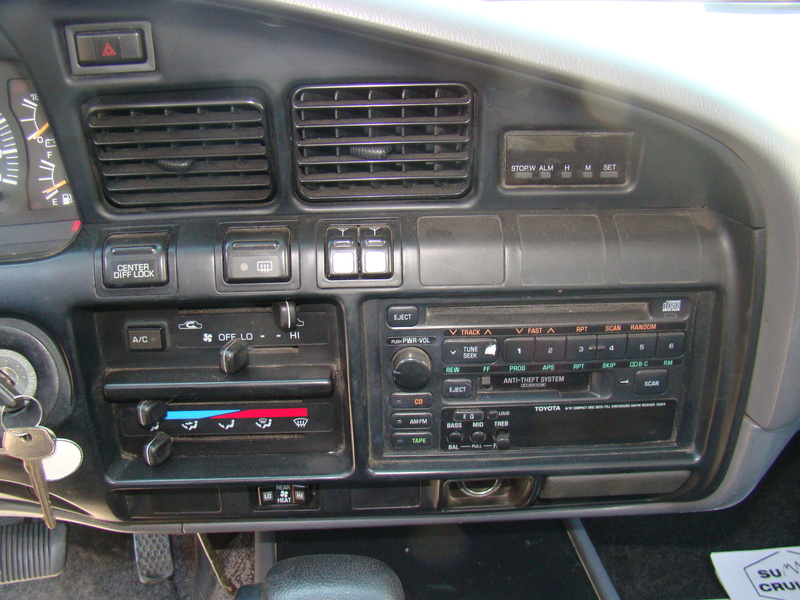 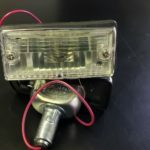 Has an aftermarket alarm and stereo. 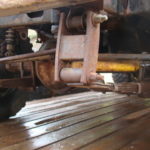 This rig runs very smooth! 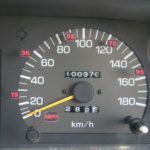 Will last many more Km’s!! 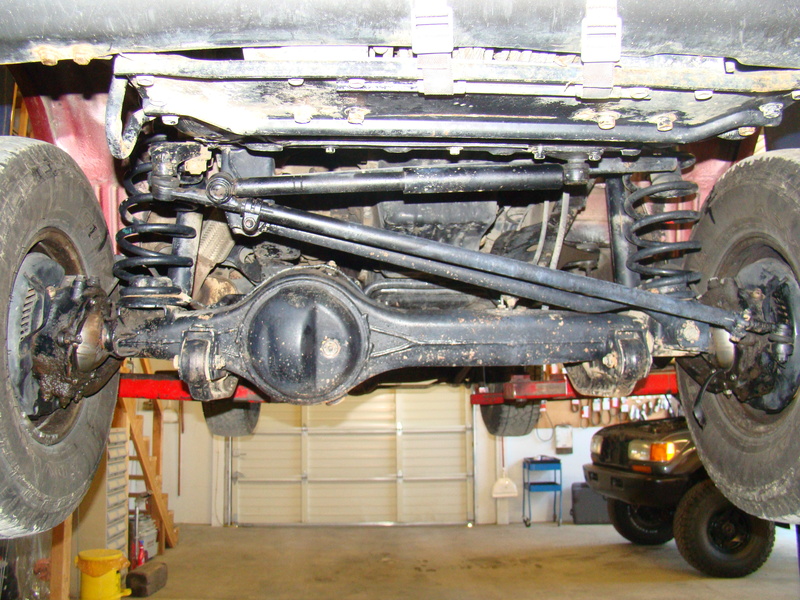 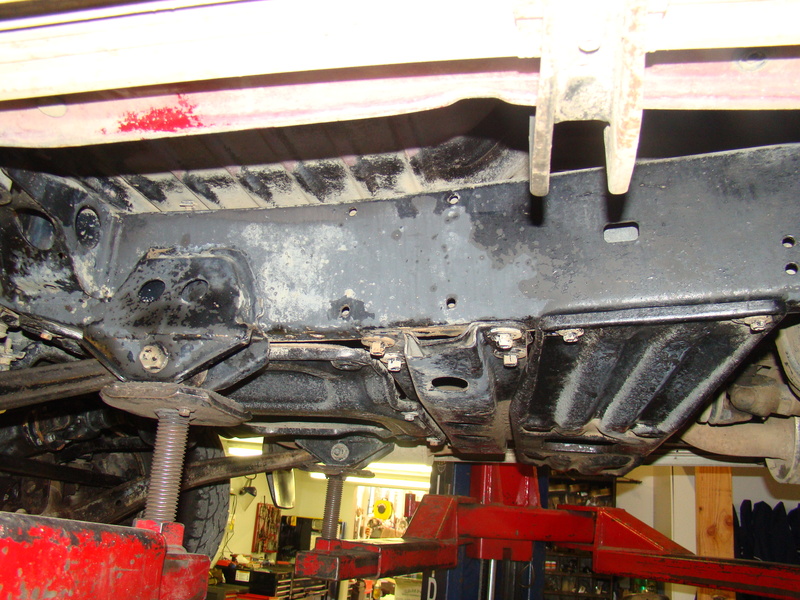 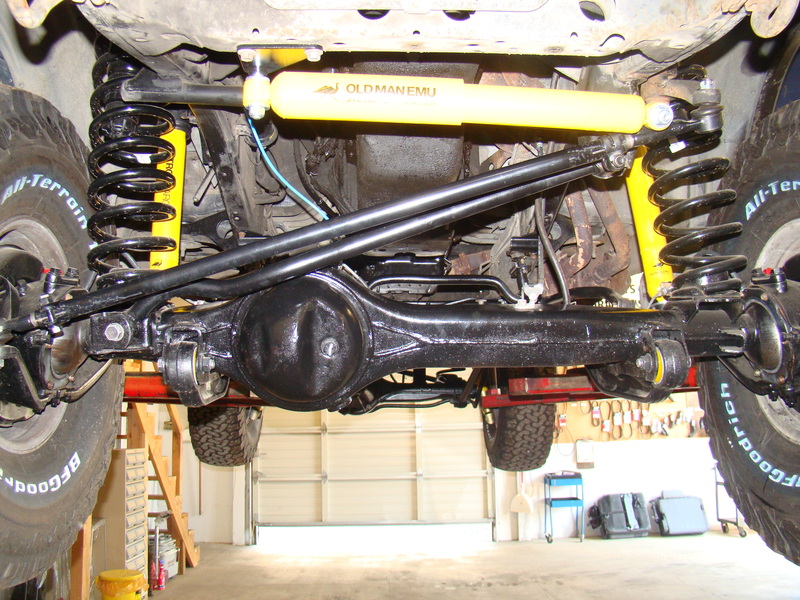 Very clean frame and undercarriage. 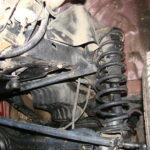 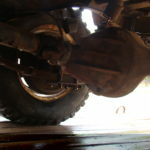 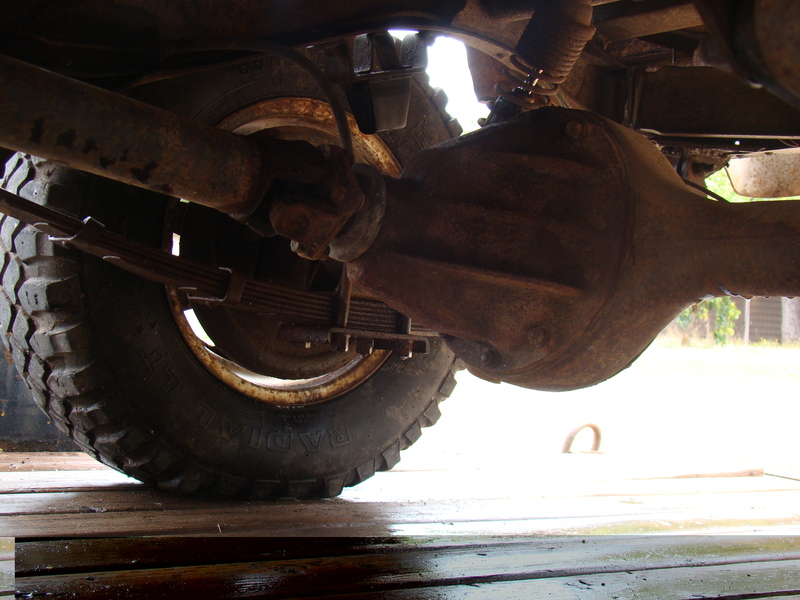 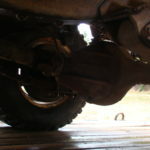 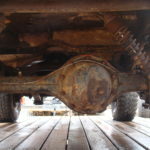 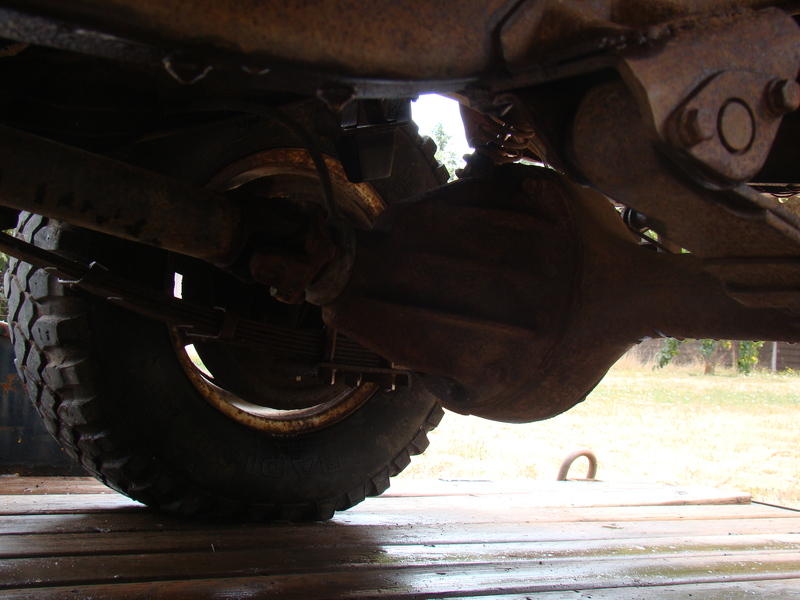 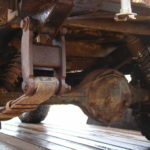 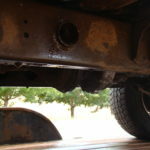 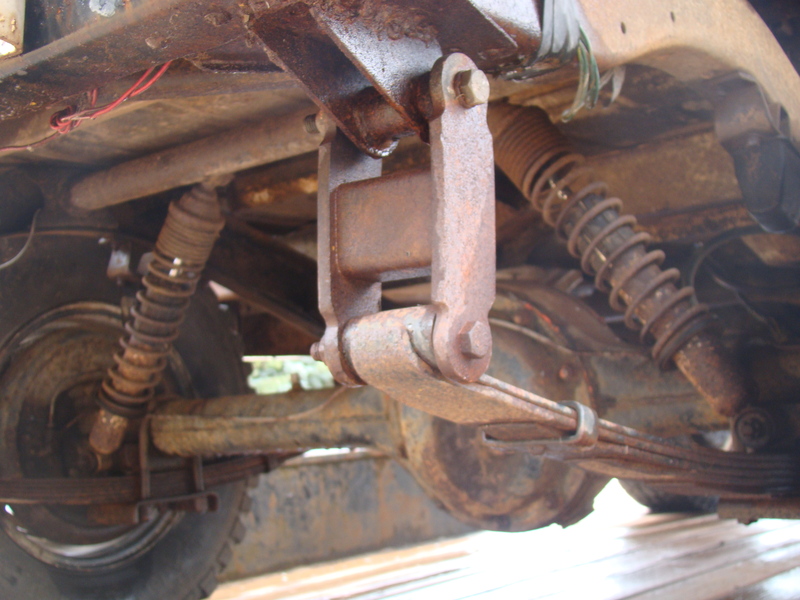 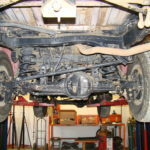 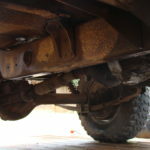 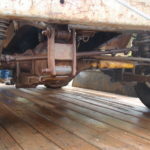 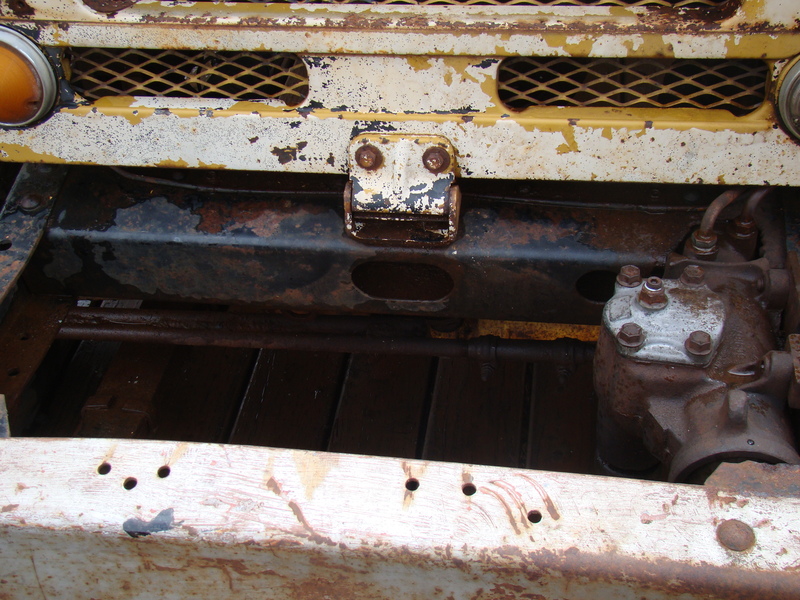 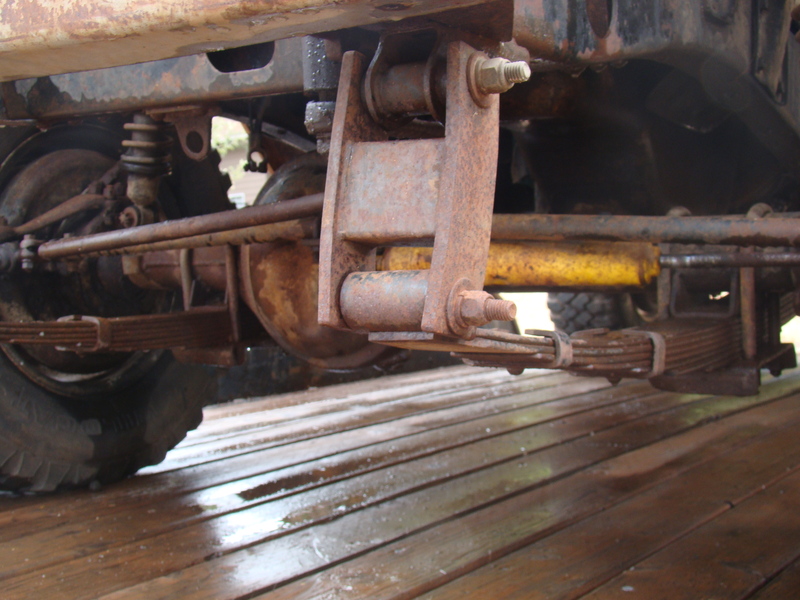 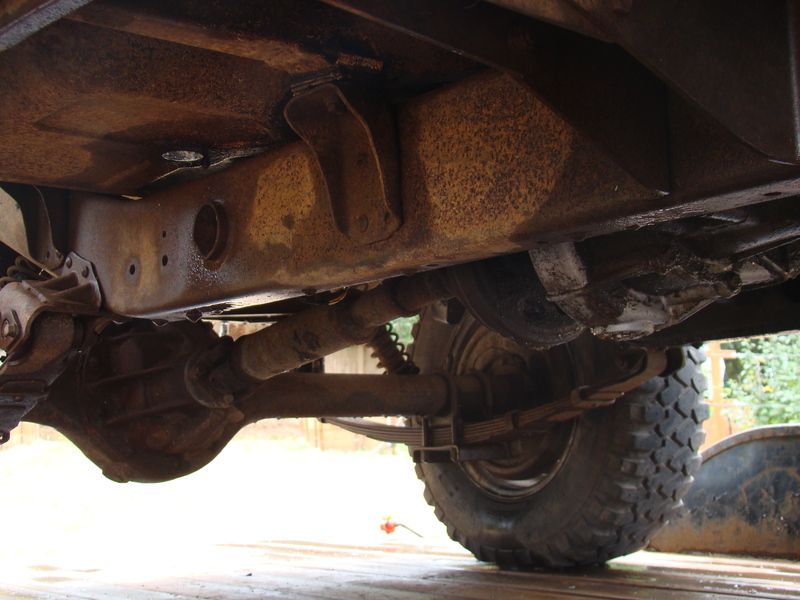 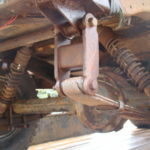 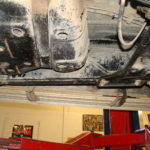 Front axle needs serviced (leaks). 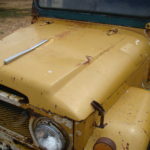 A few cracks on the dash pad and minor wear inside. 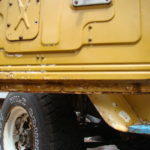 Misc dings, scratches and clear coat peeling (no signs of rust). 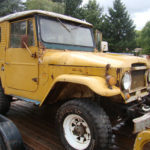 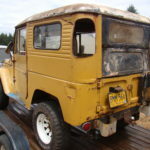 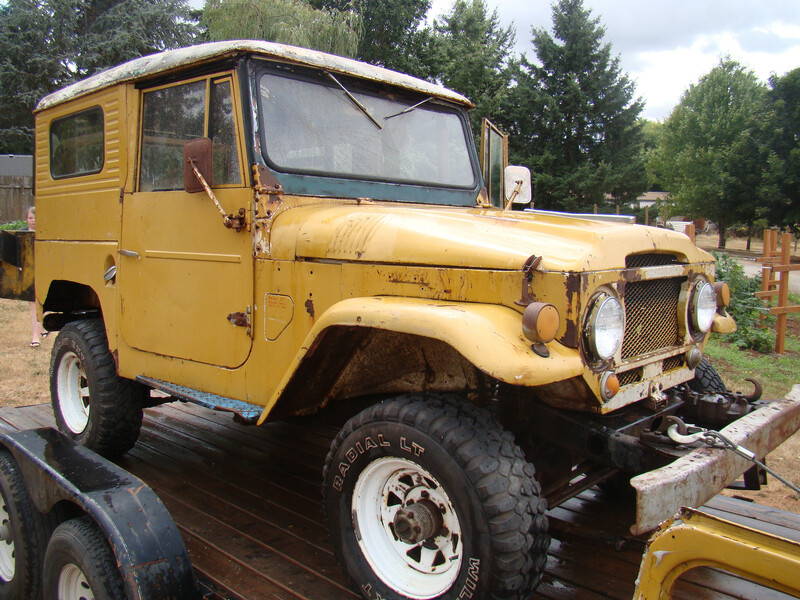 1963 Toyota Landcruiser FJ40. 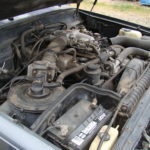 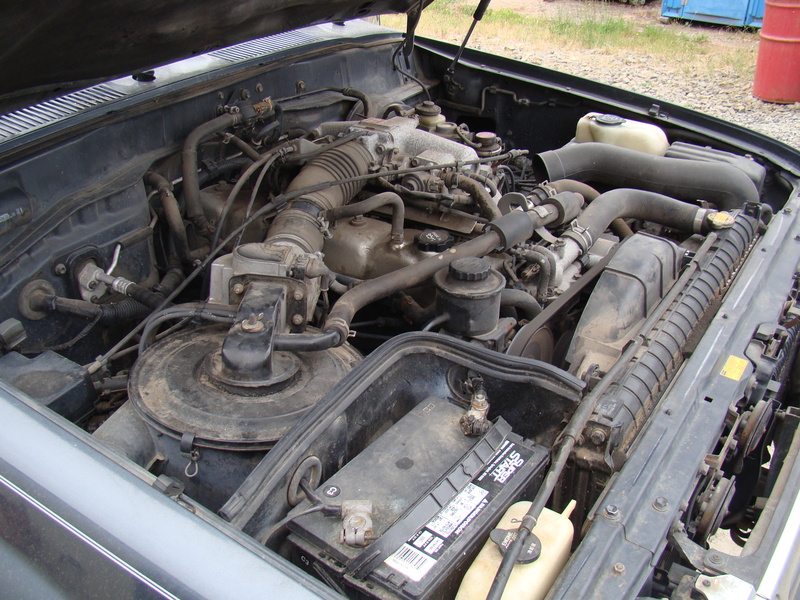 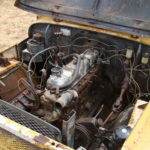 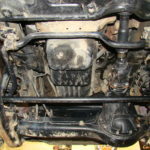 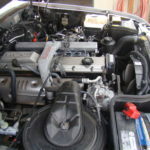 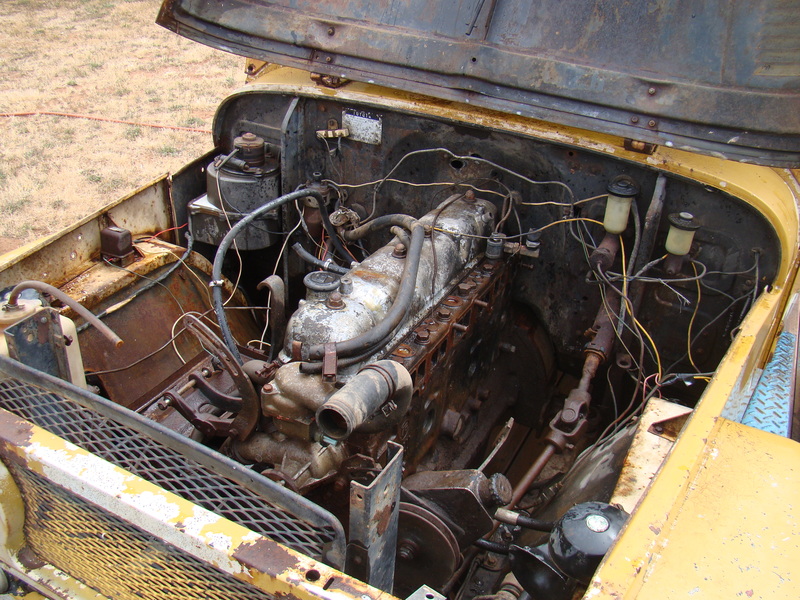 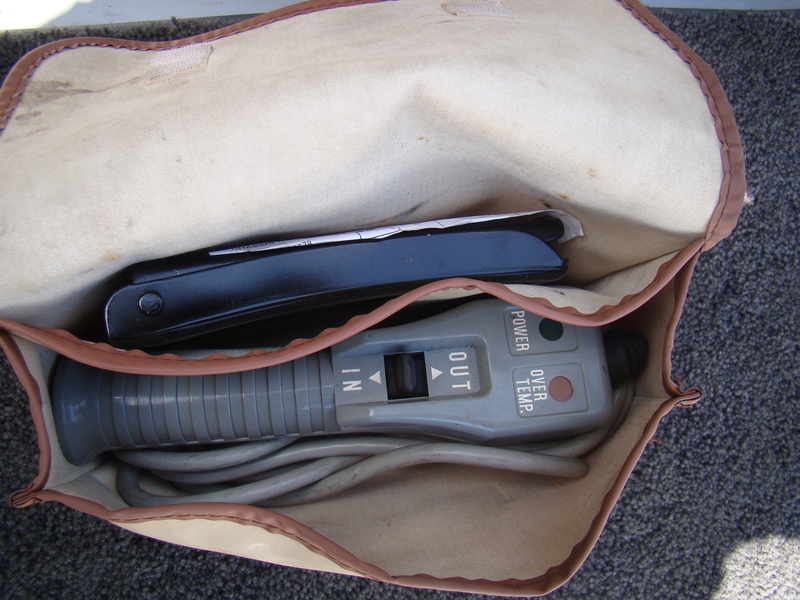 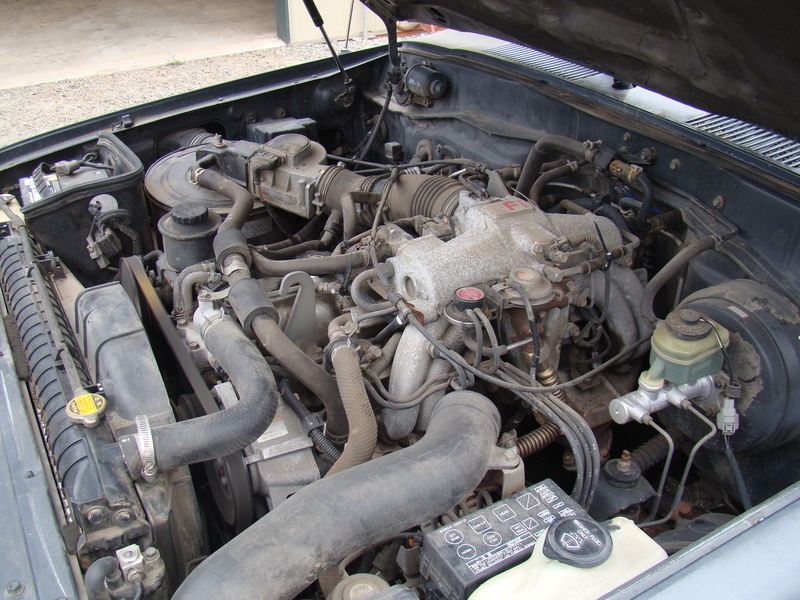 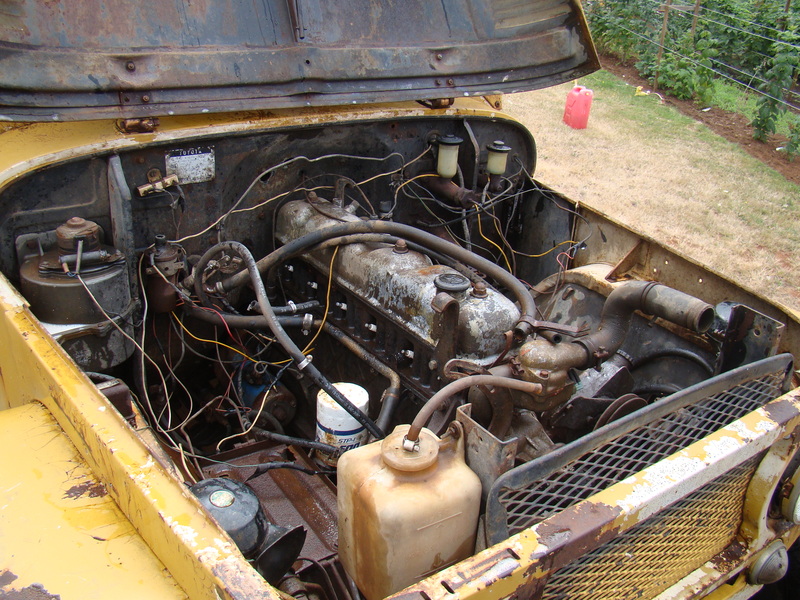 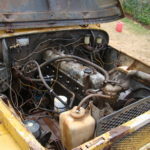 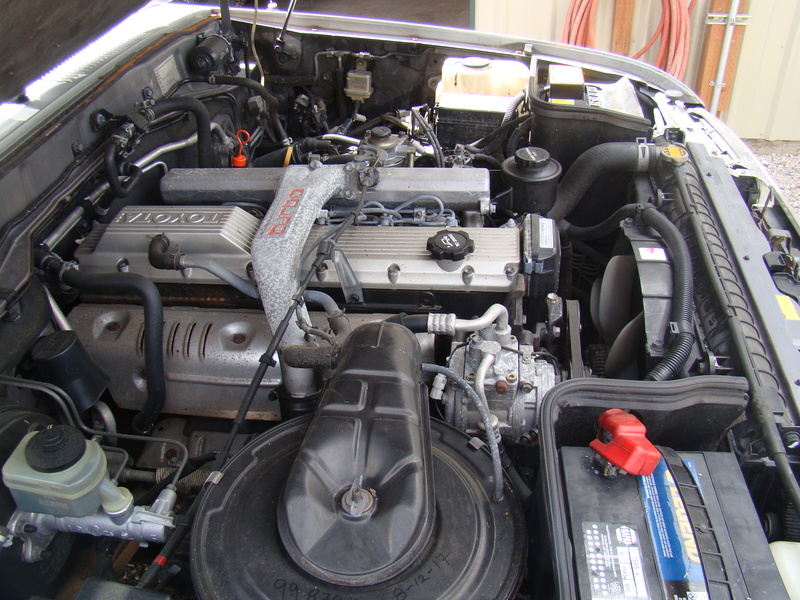 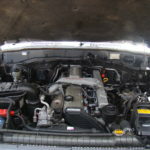 Has a 2F motor that was running before parking (several years ago) and before the intake/exhaust and carb was robbed. 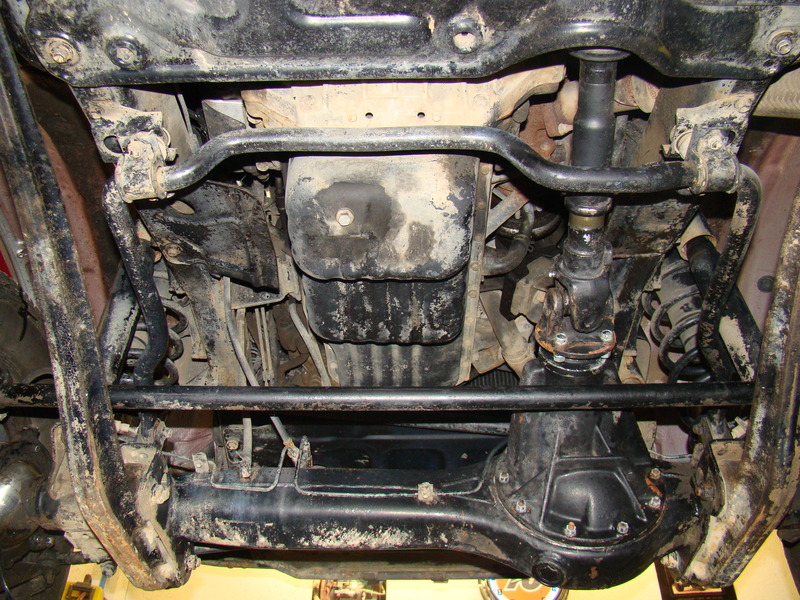 3 speed trans & t/case. 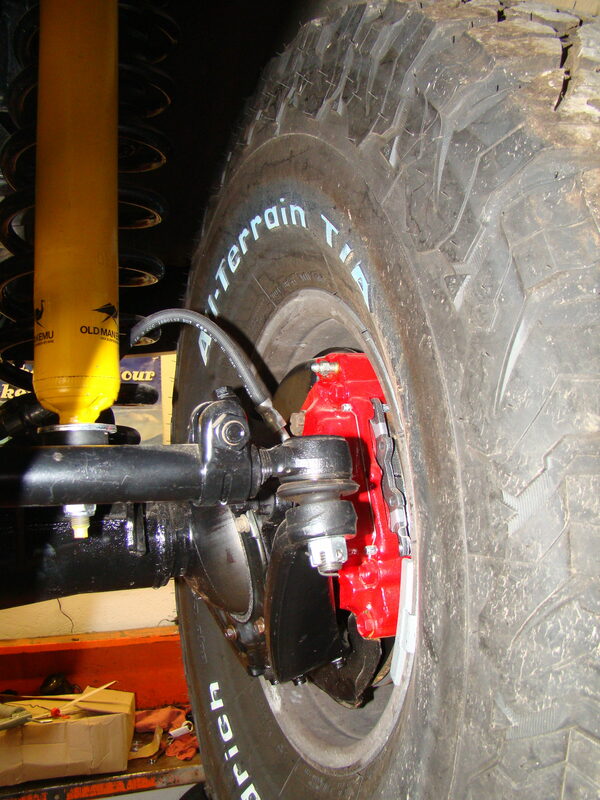 4 wheel drum brakes. 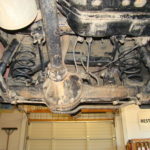 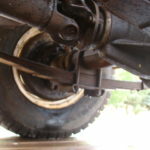 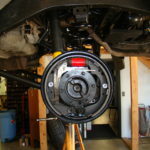 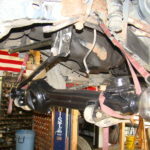 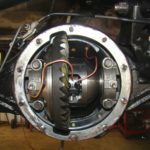 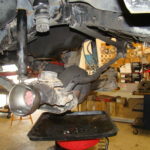 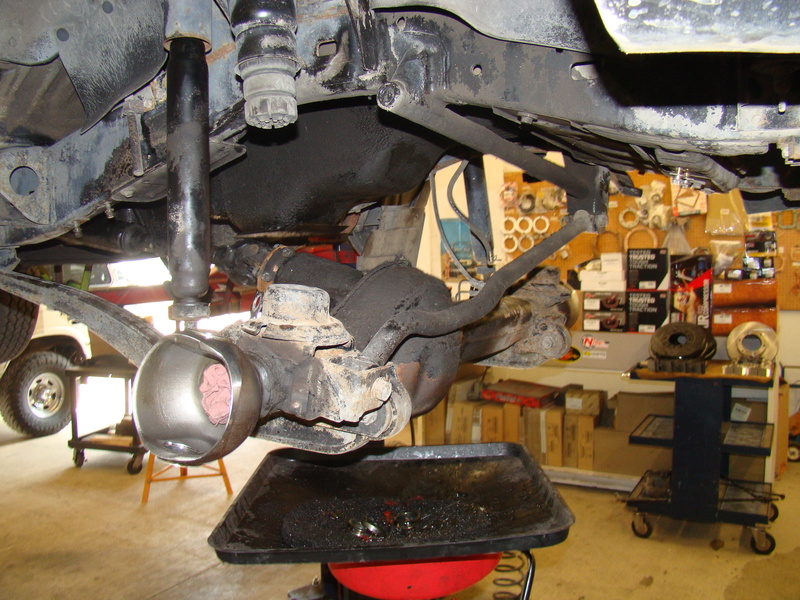 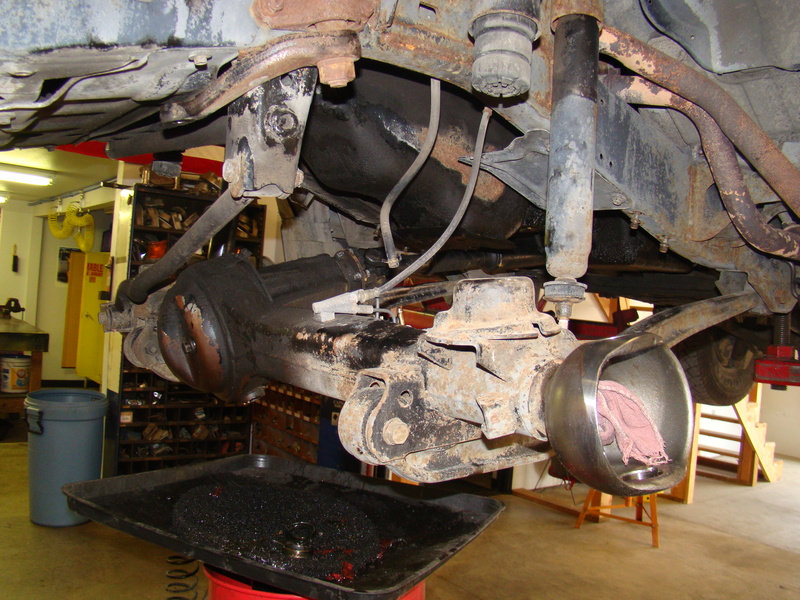 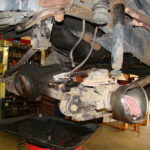 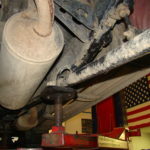 Upgraded GM saginaw power steering. 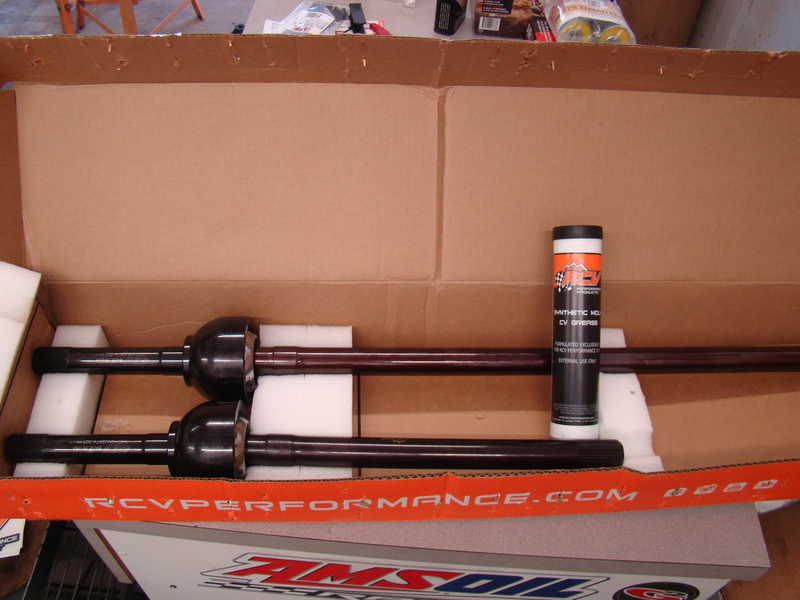 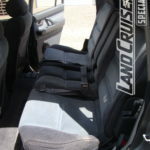 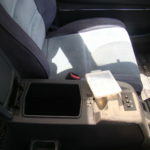 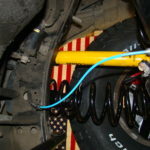 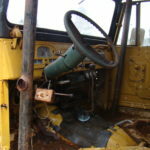 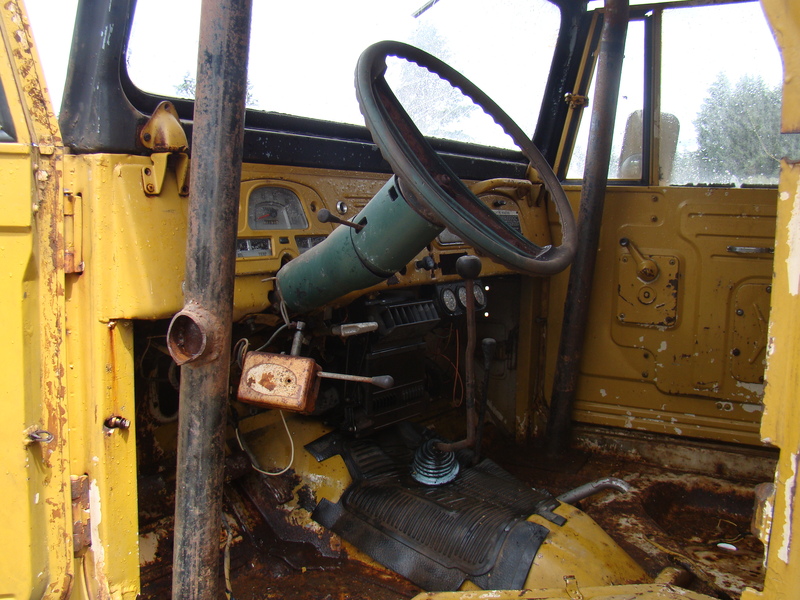 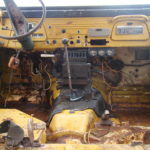 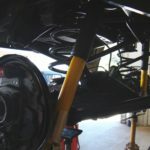 Aftermarket roll cage and steering column. 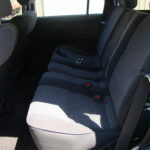 No seats. 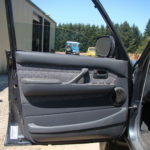 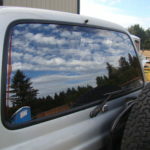 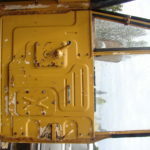 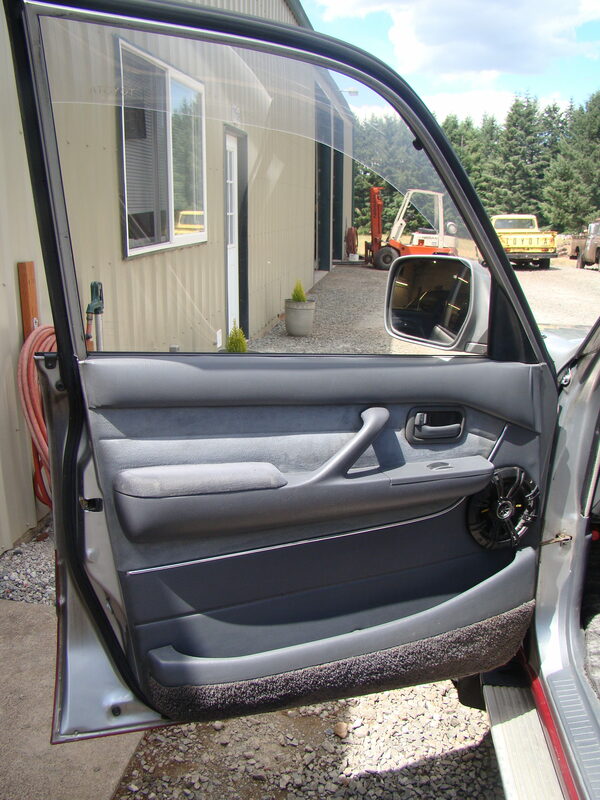 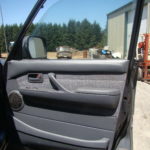 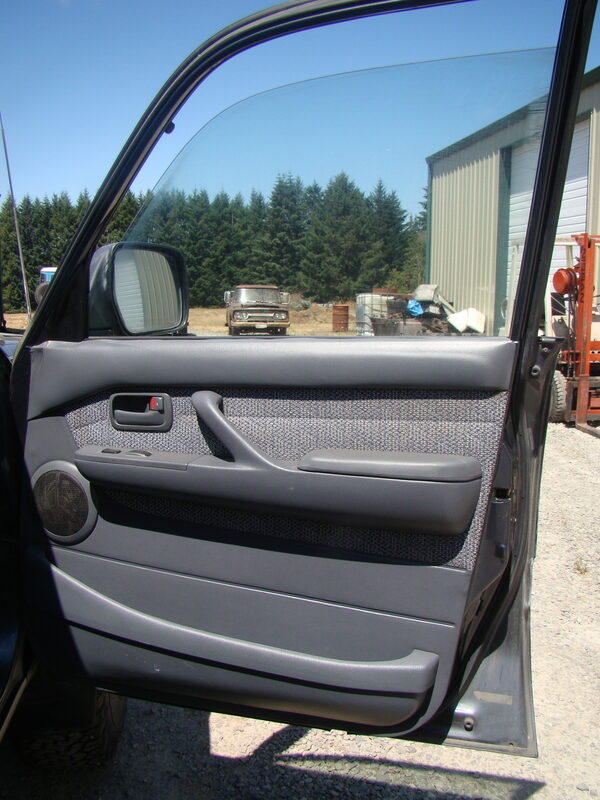 Rear corners of side panels have been cut to accept non-OE glass in (can be repaired to original). 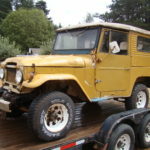 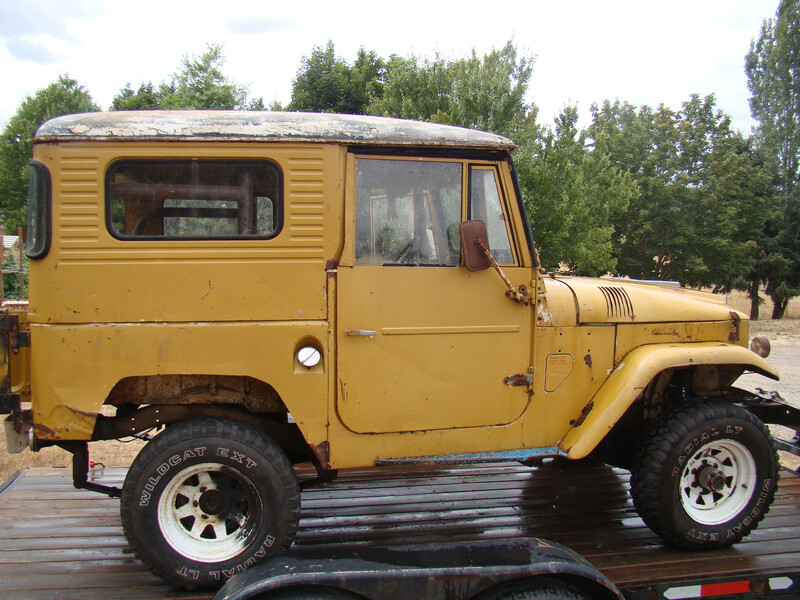 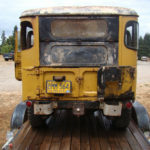 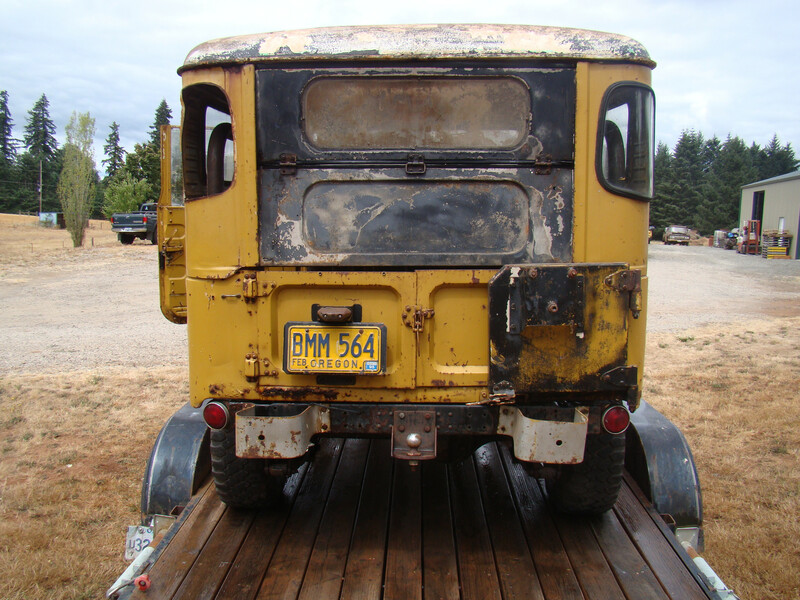 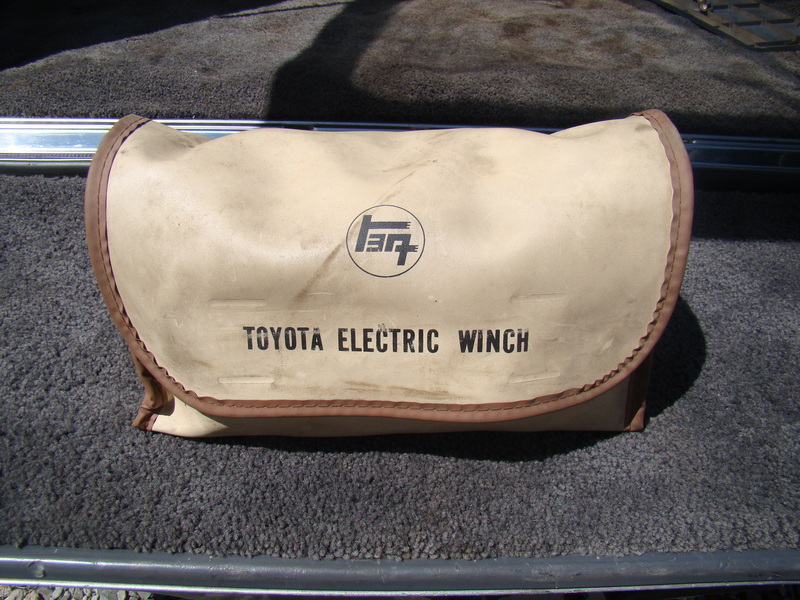 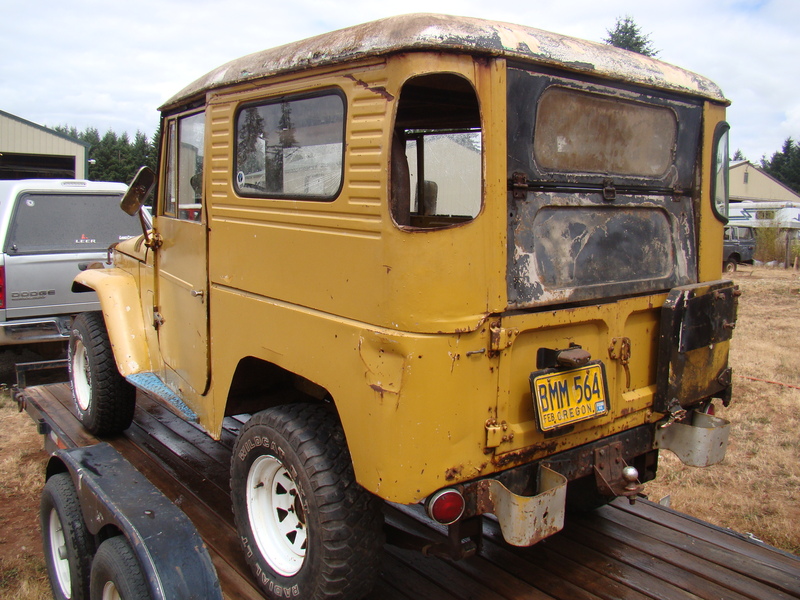 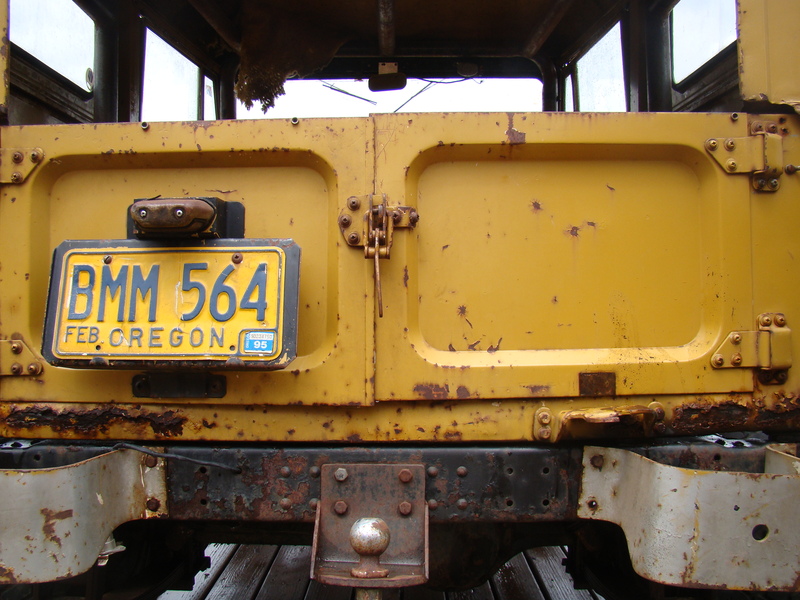 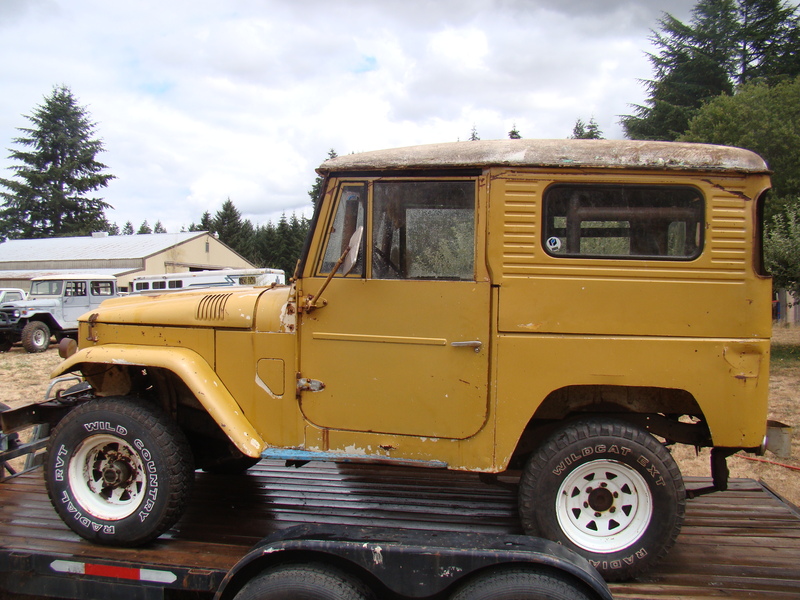 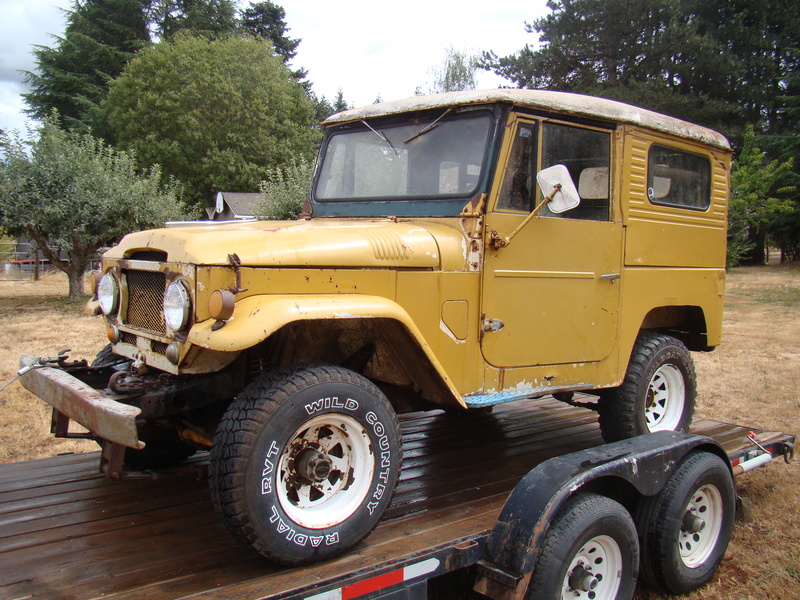 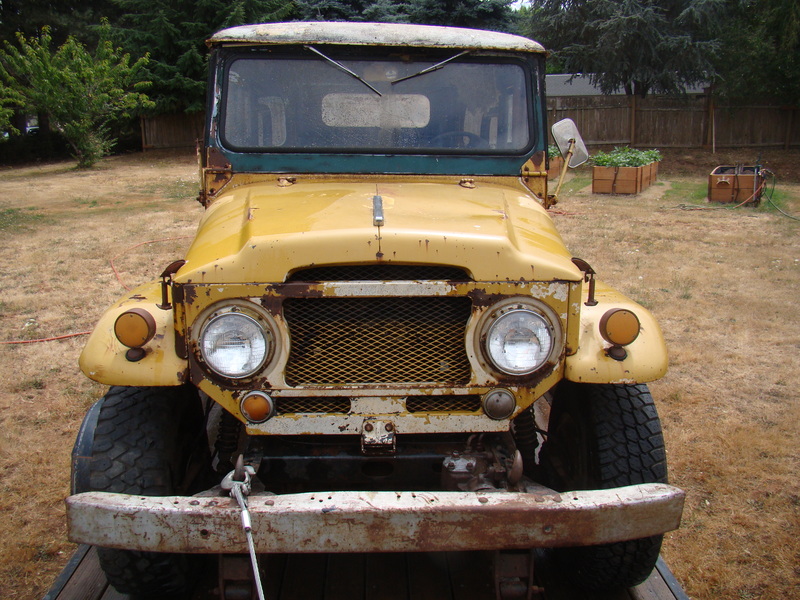 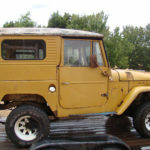 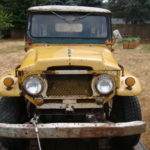 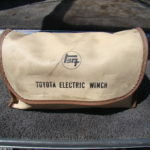 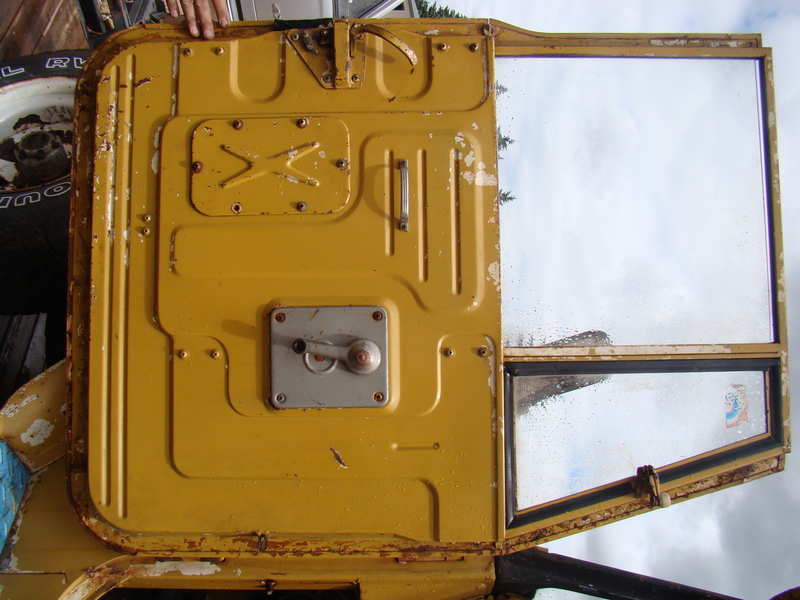 Has a later model (65-74) windshield frame, but comes with the original. 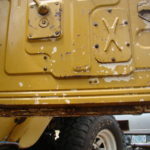 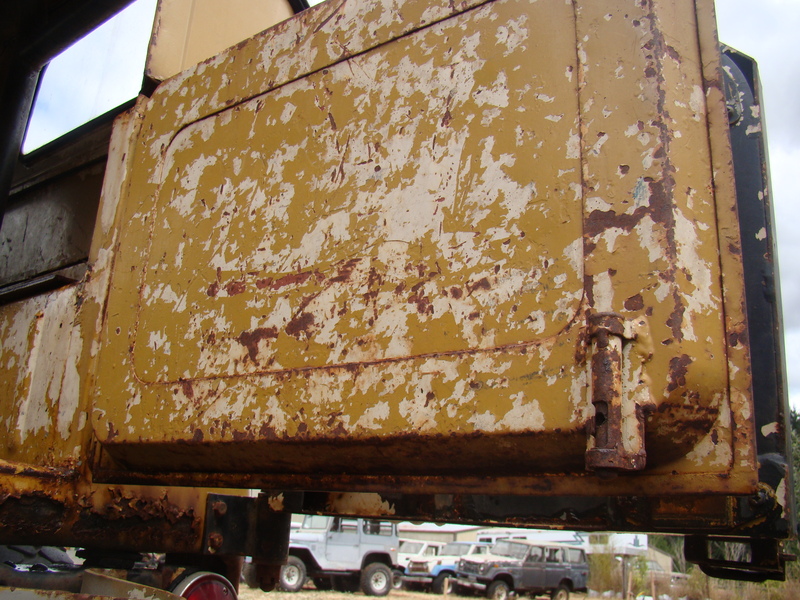 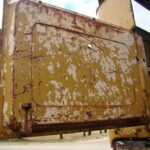 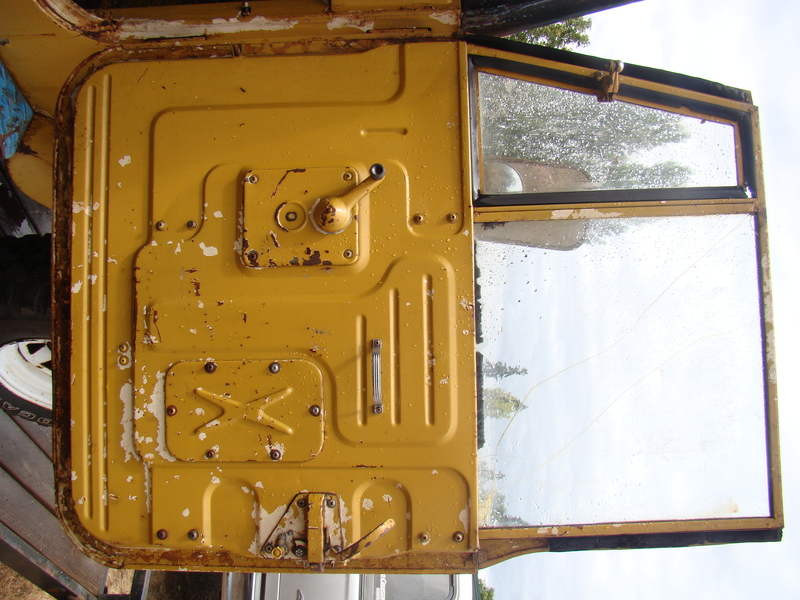 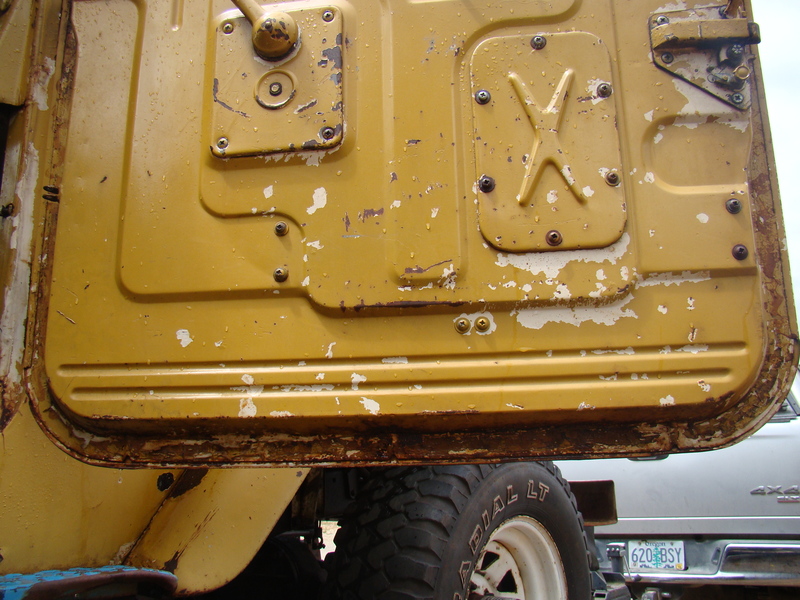 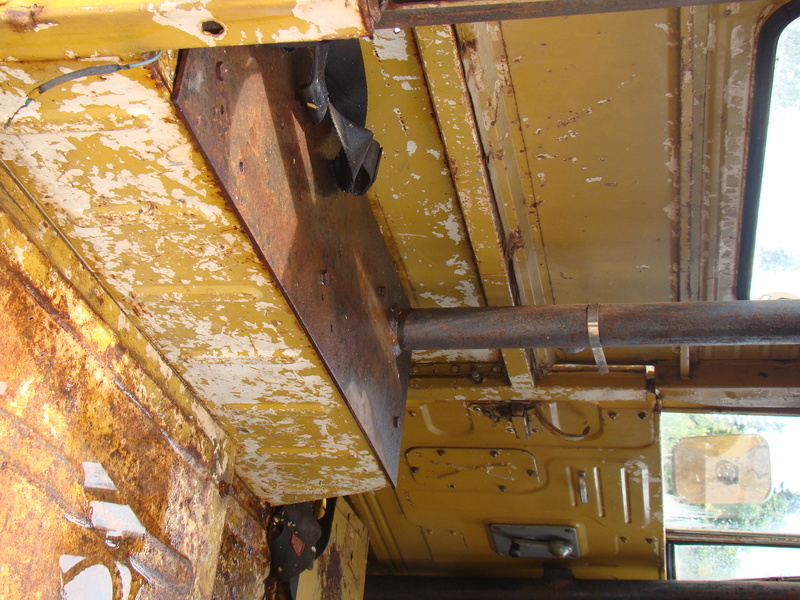 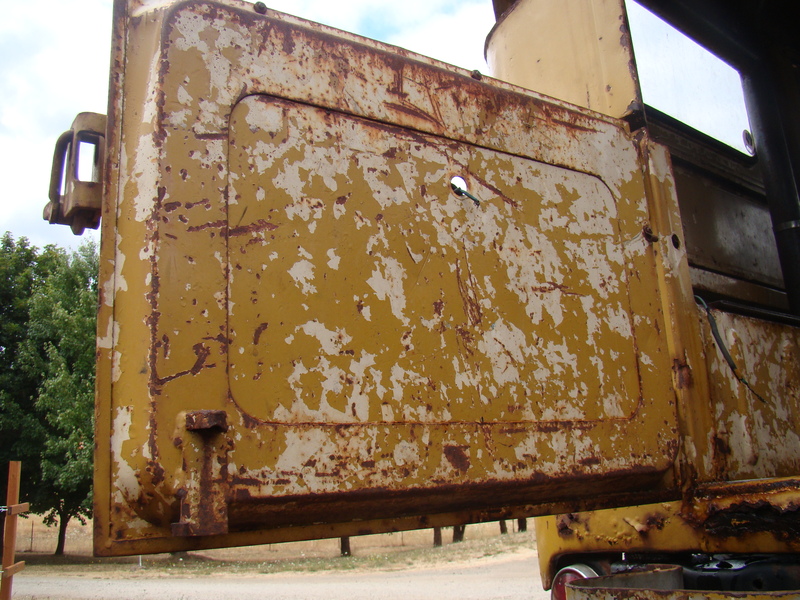 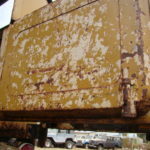 Bottom of doors are in great shape with just surface rust. 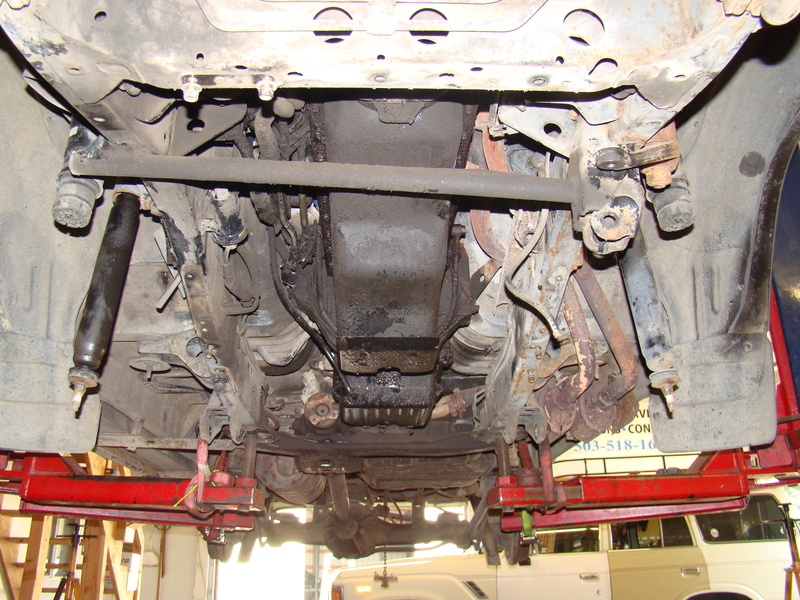 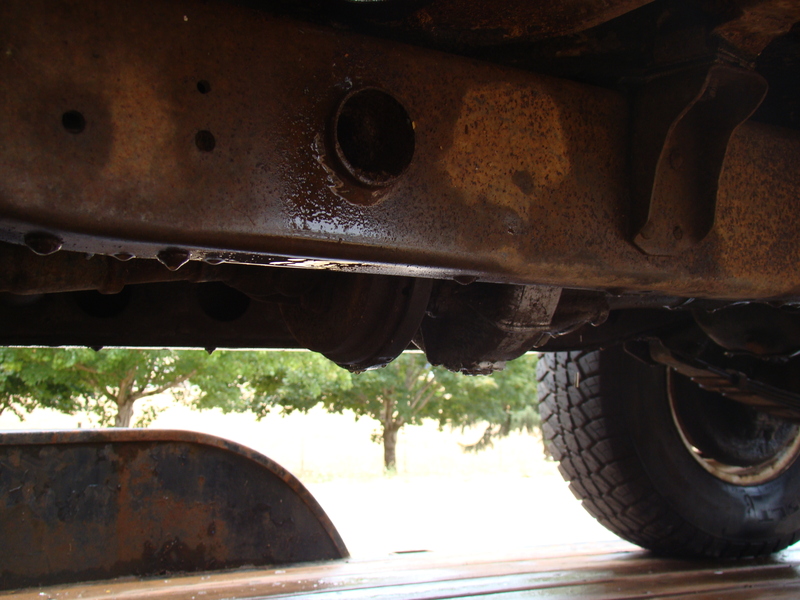 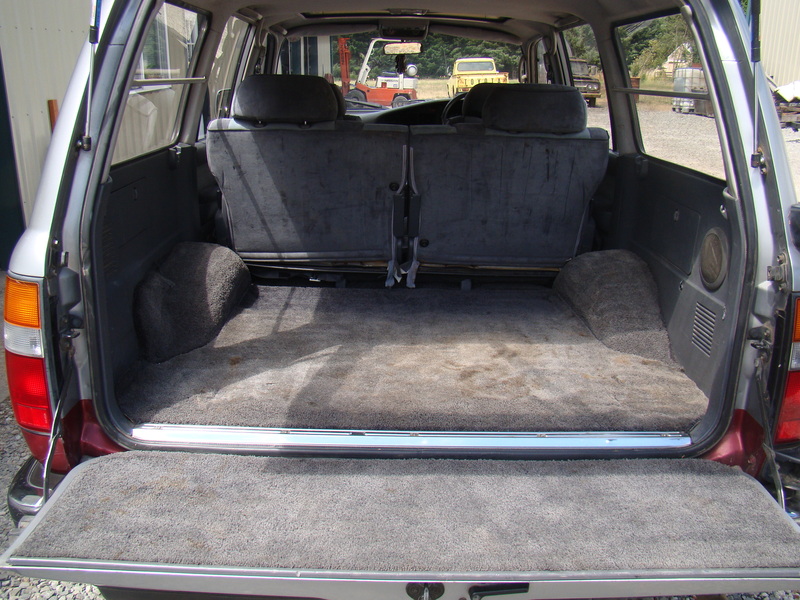 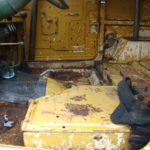 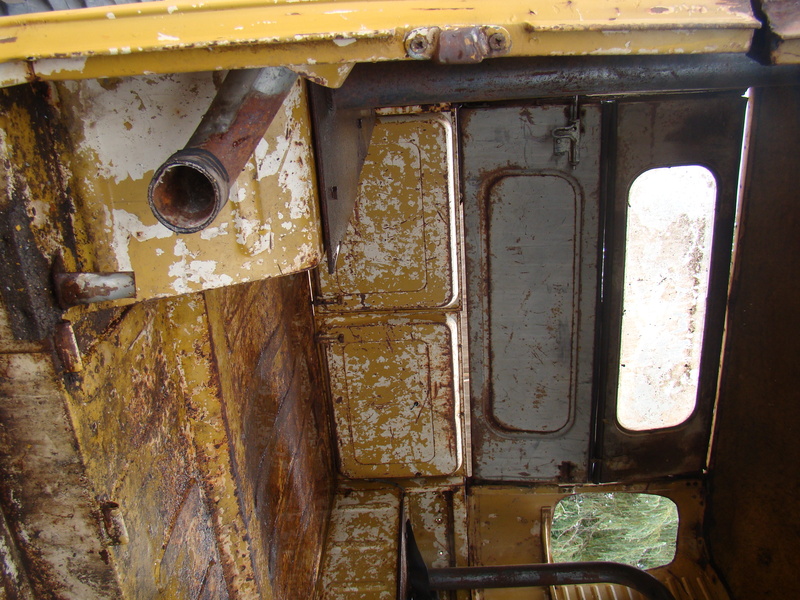 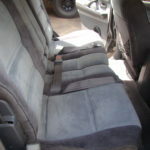 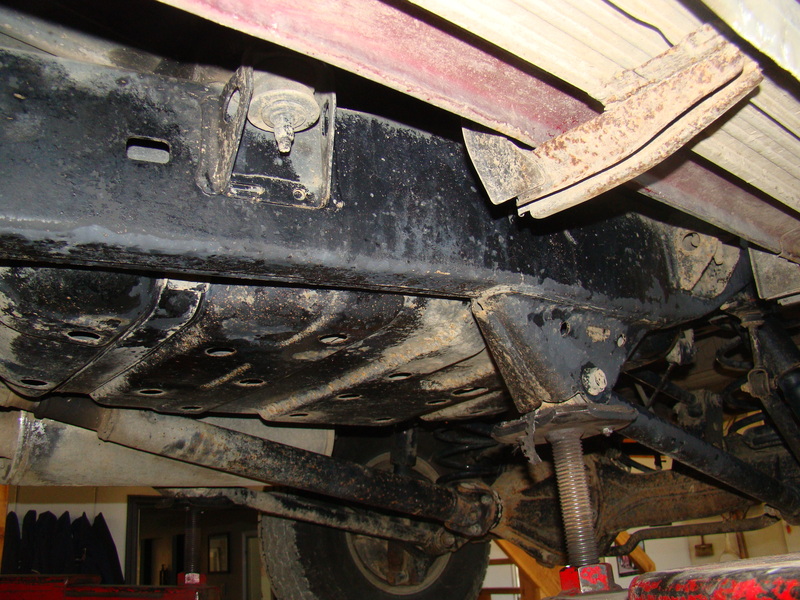 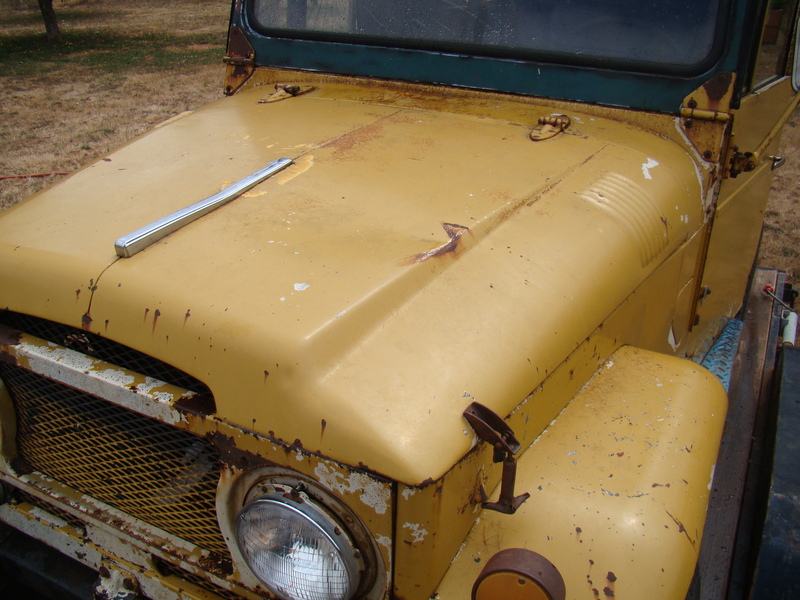 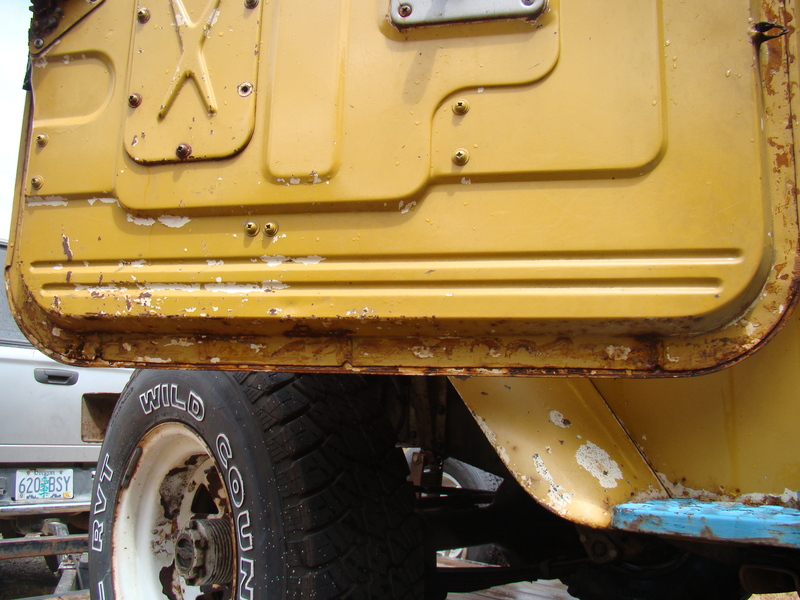 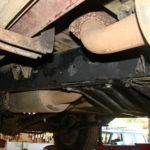 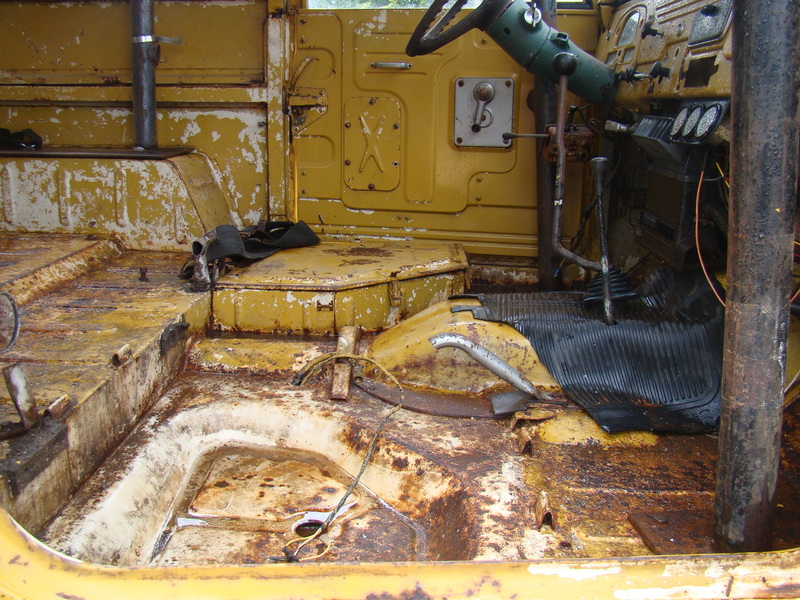 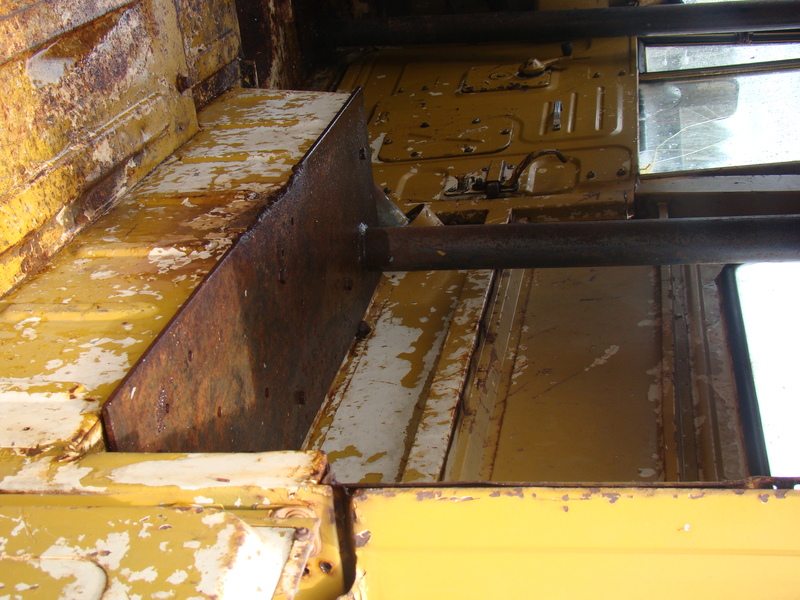 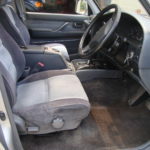 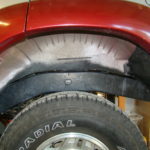 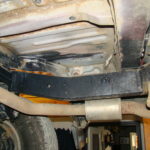 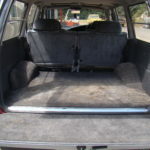 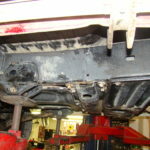 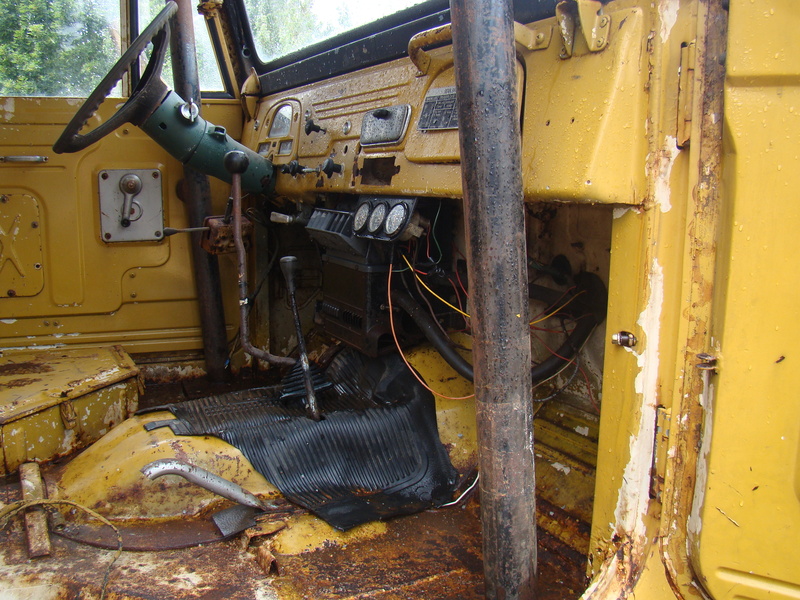 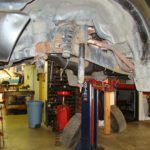 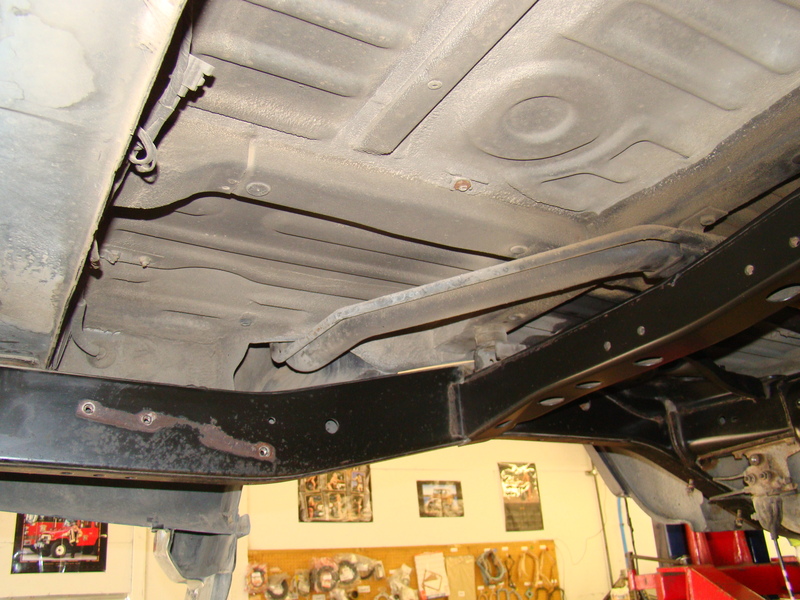 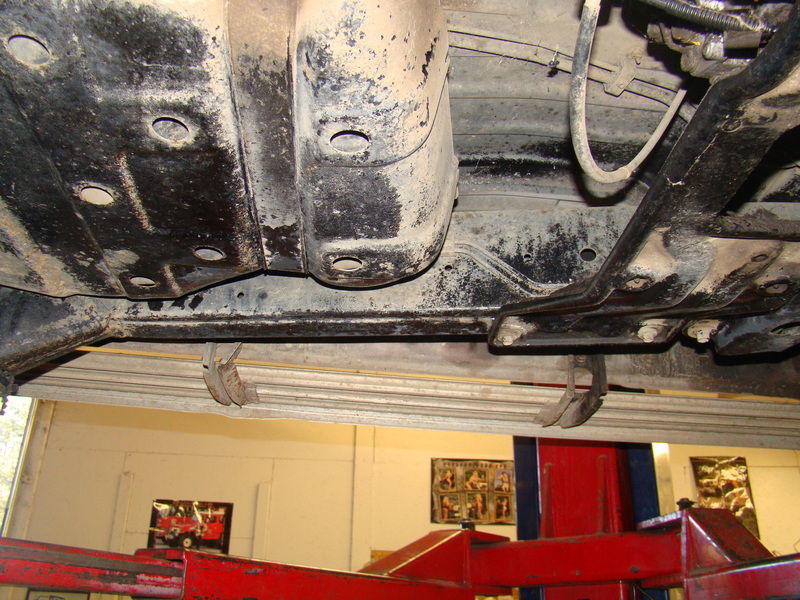 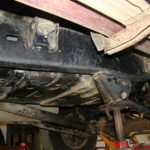 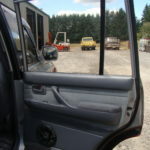 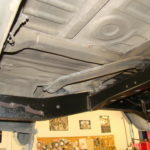 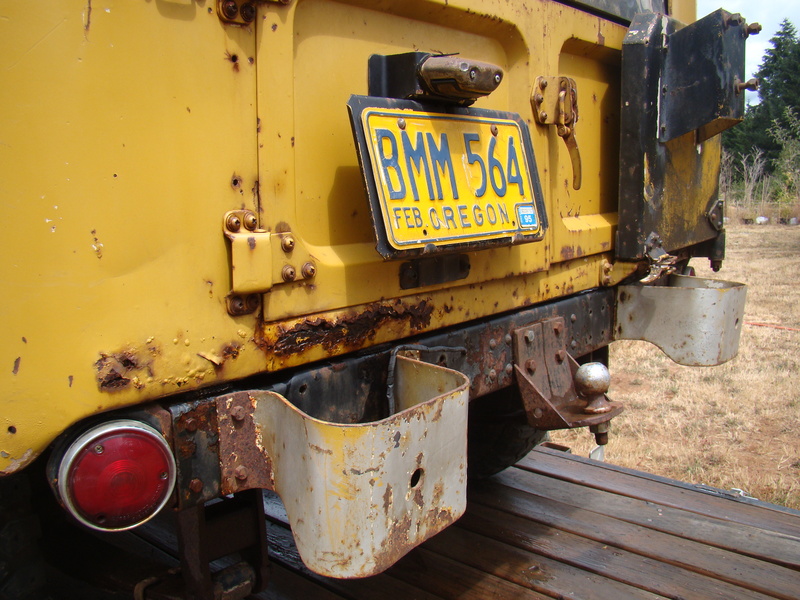 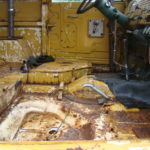 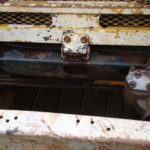 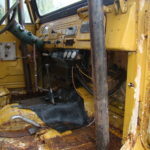 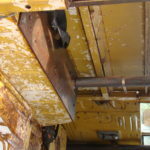 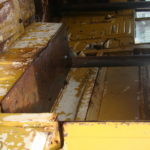 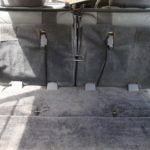 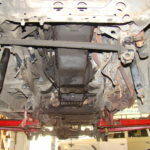 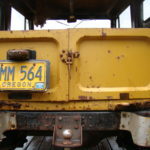 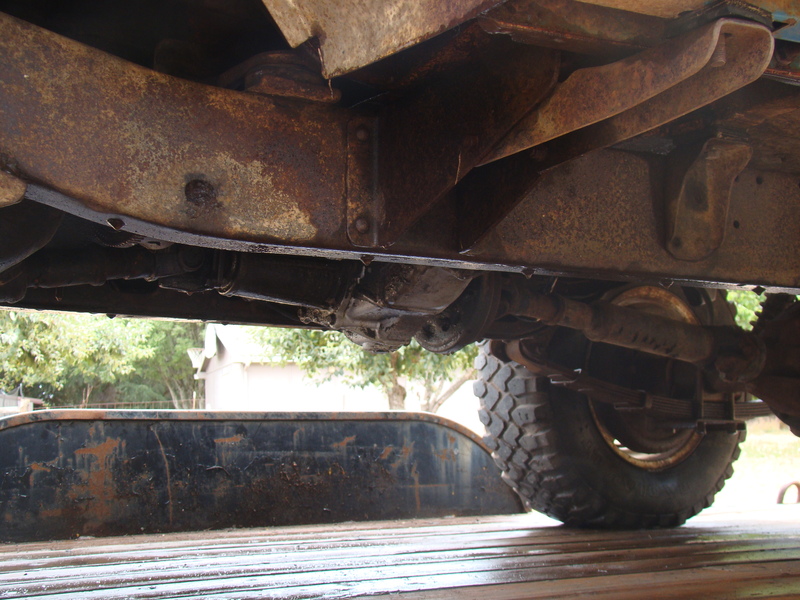 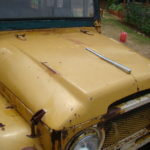 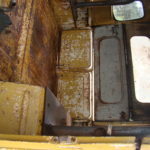 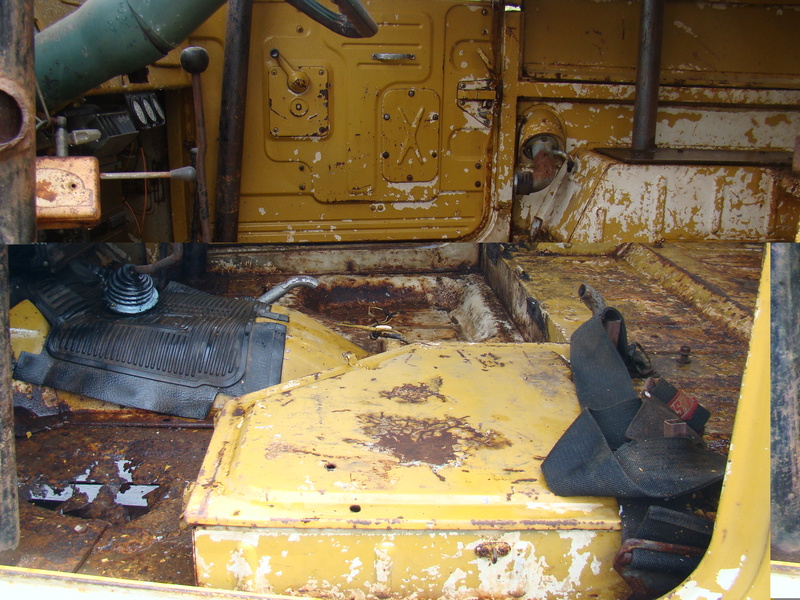 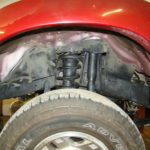 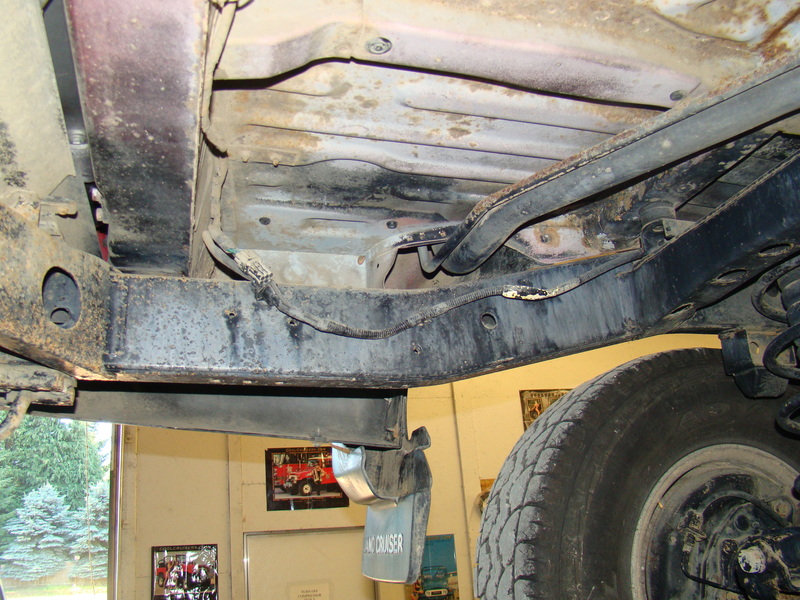 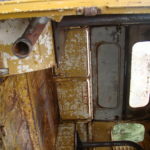 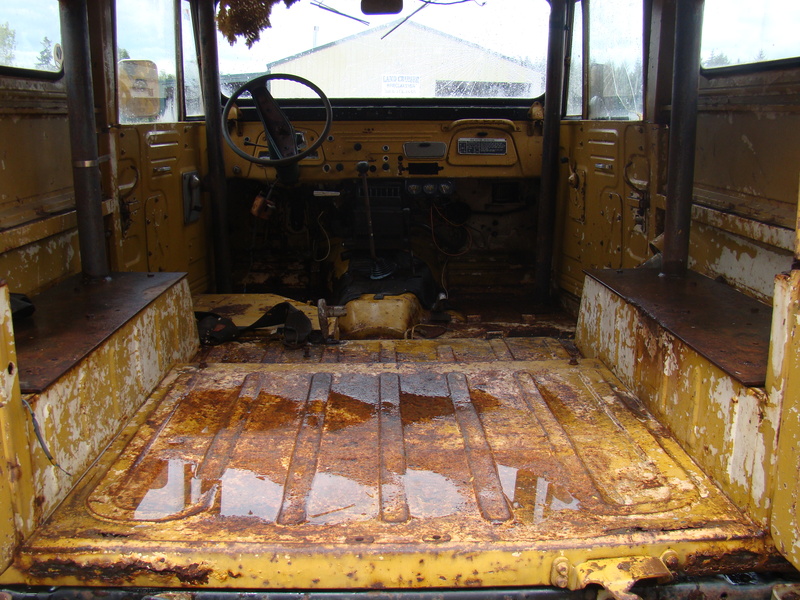 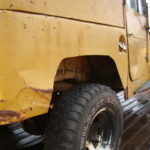 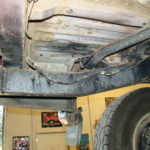 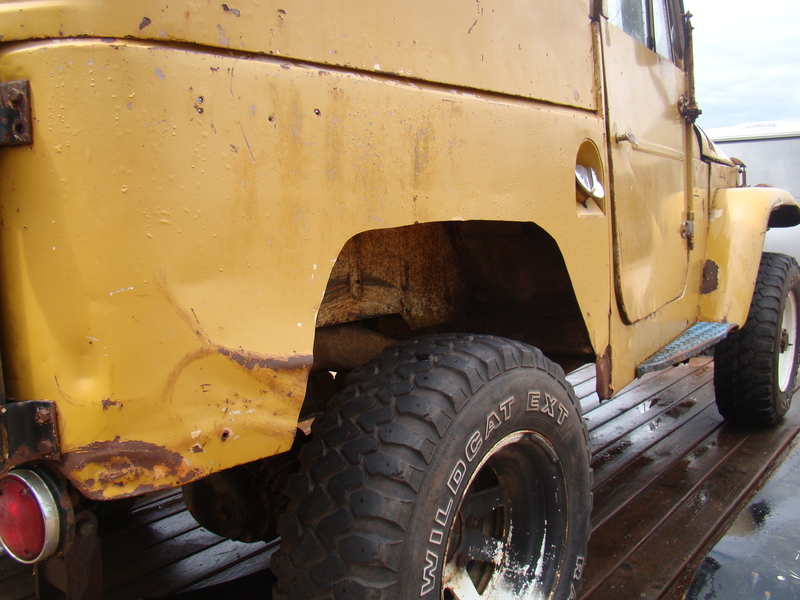 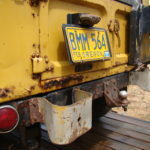 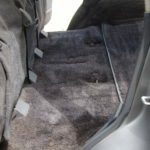 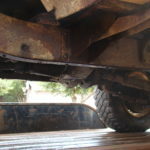 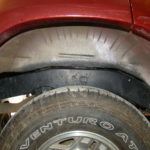 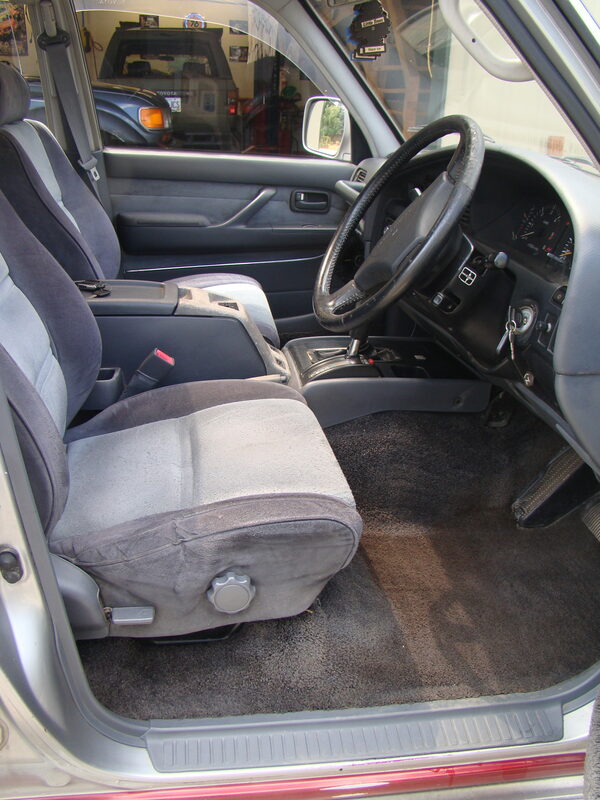 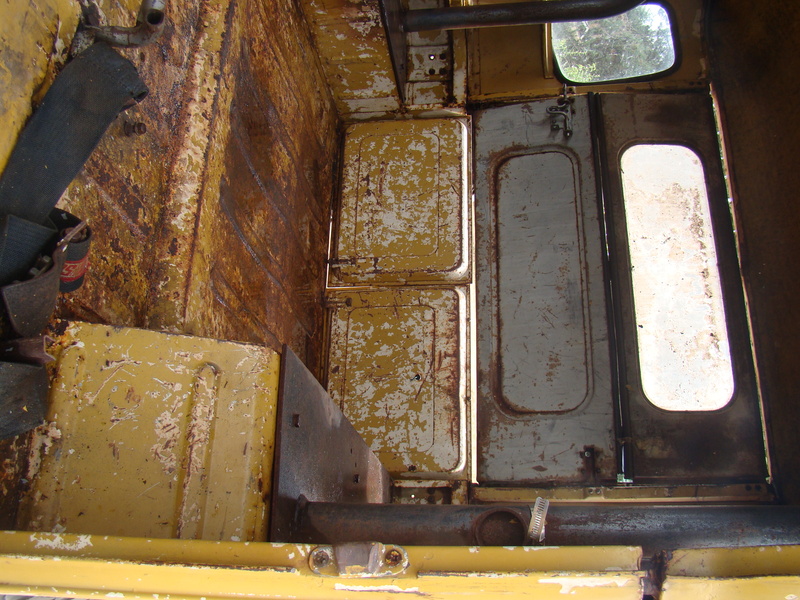 Rusted rear sill and drivers floor pan and minor surface rust, dents and dings is about it. 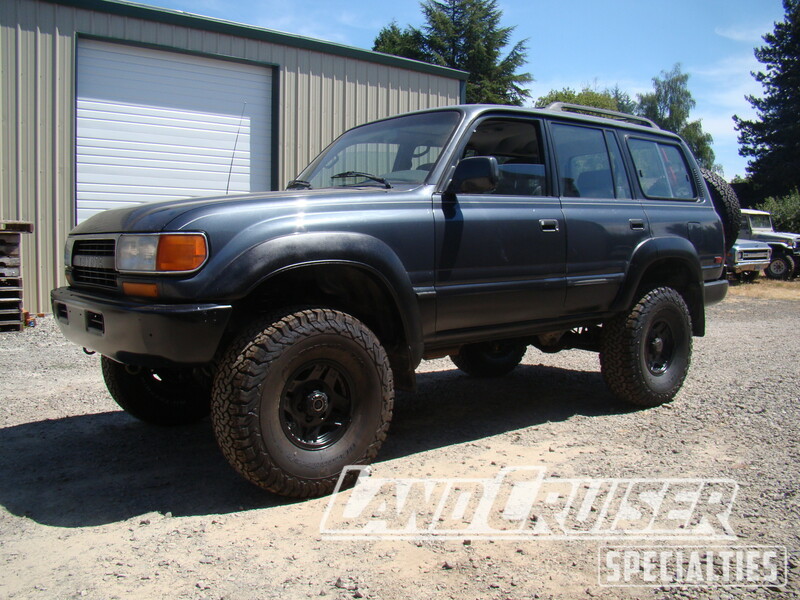 Fairly clean for what’s out there in this price. 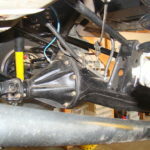 We started with the drivetrain. 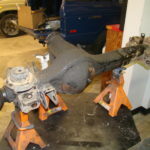 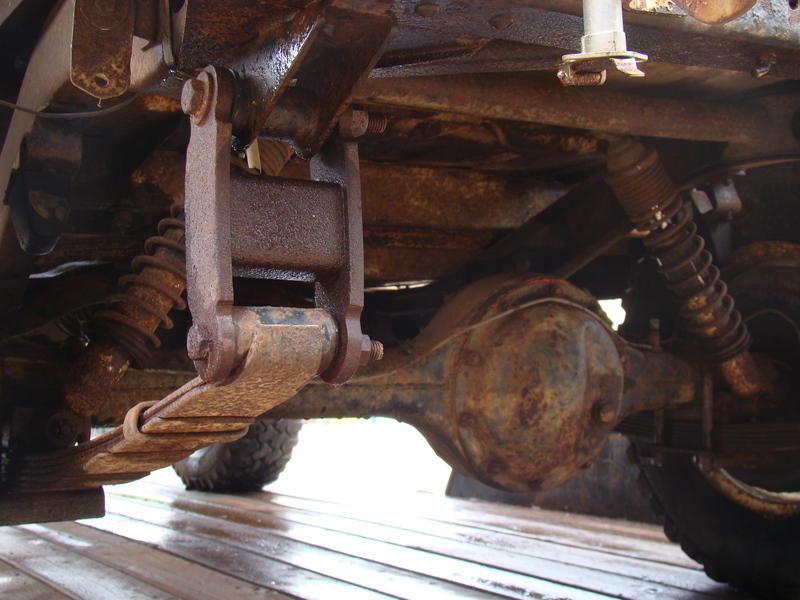 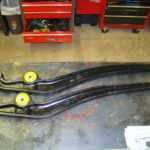 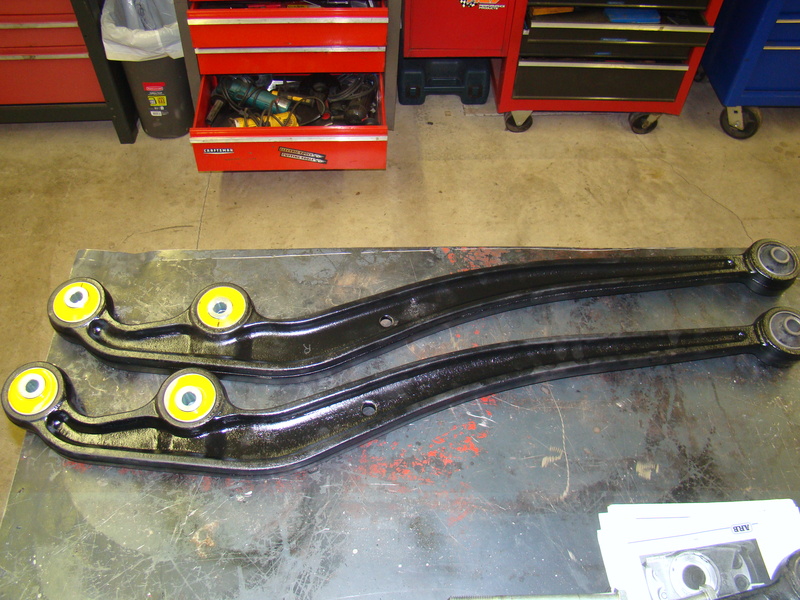 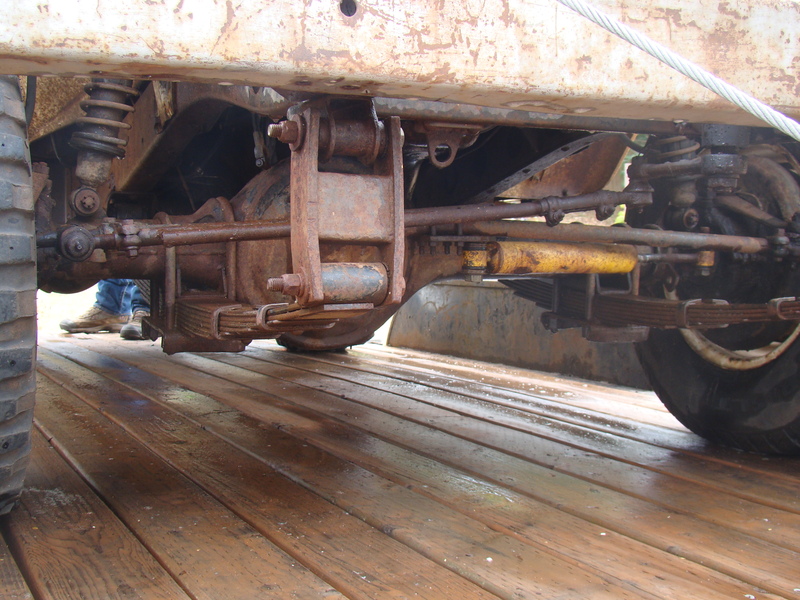 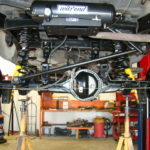 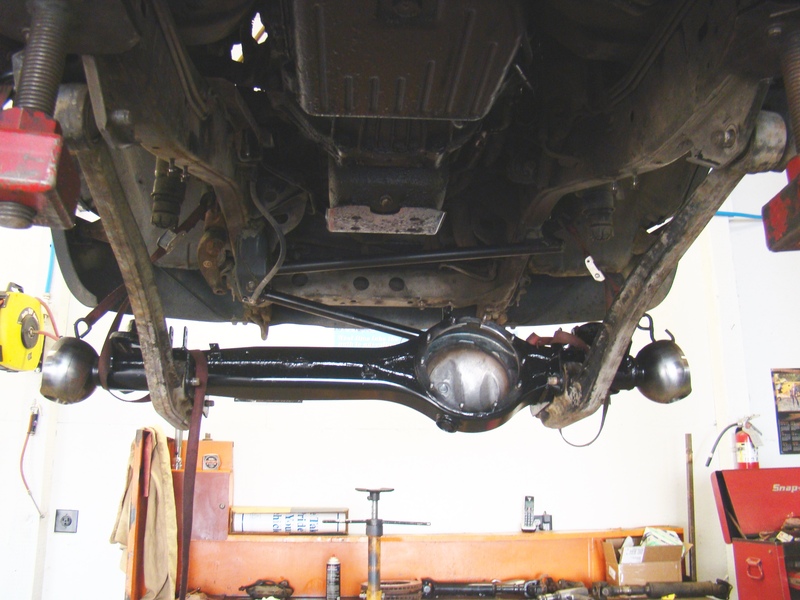 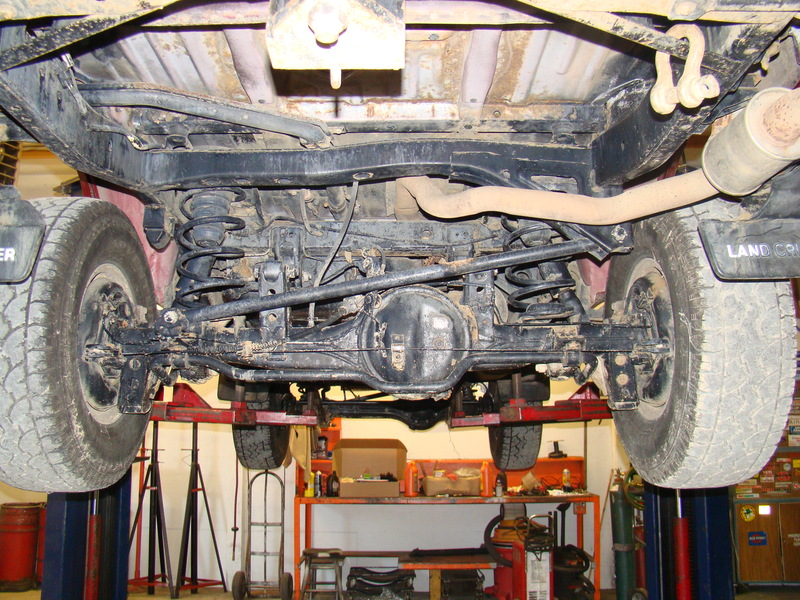 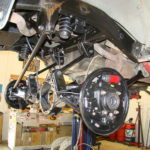 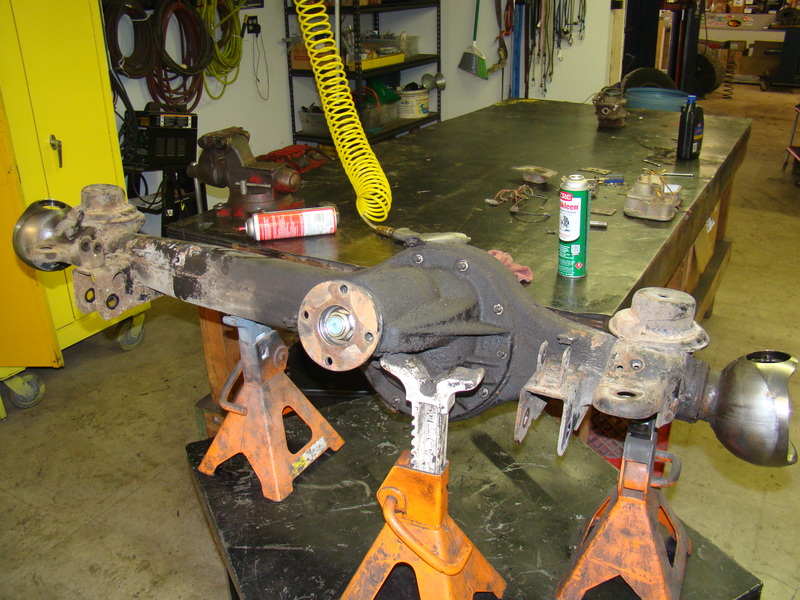 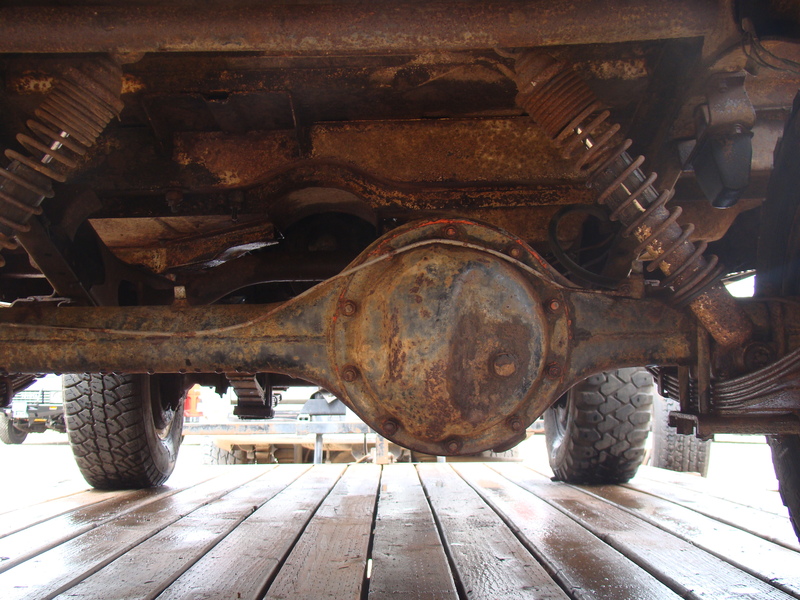 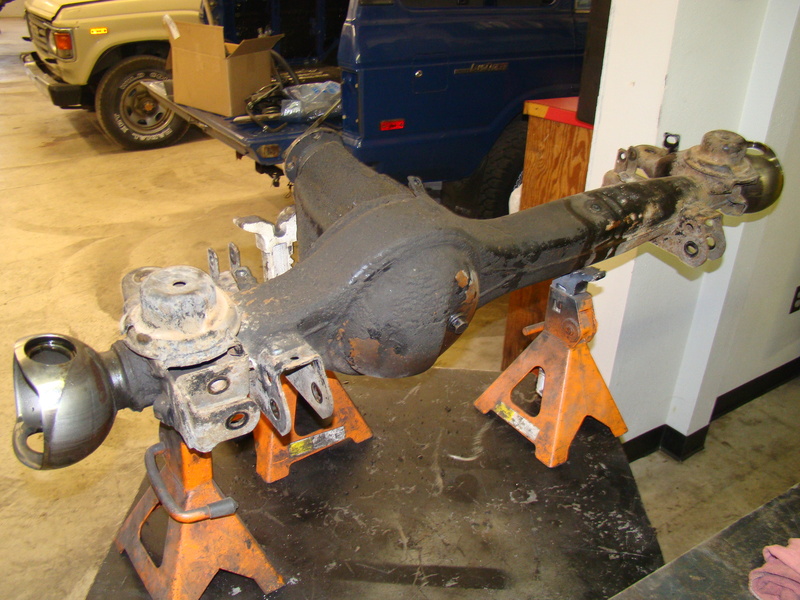 We completely removed both front and rear axles, disassembled them, stripped to bare metal, cleaned and painted them. 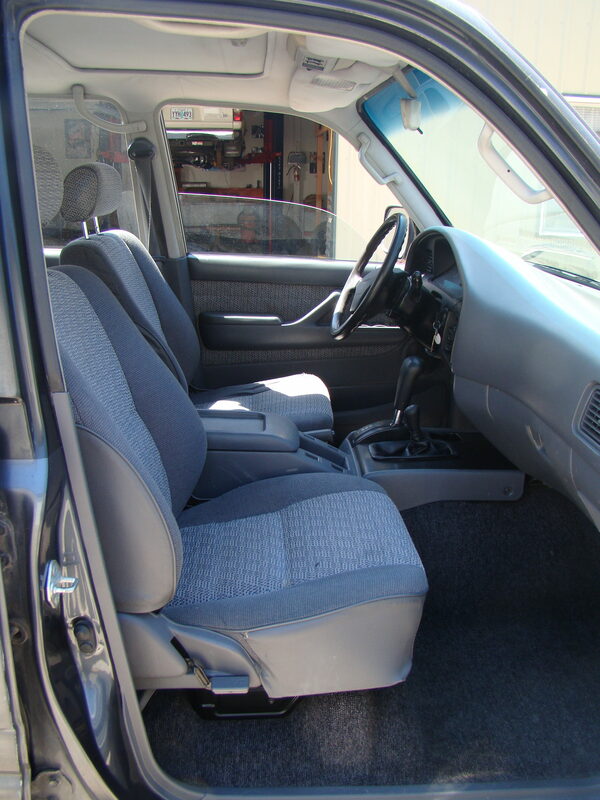 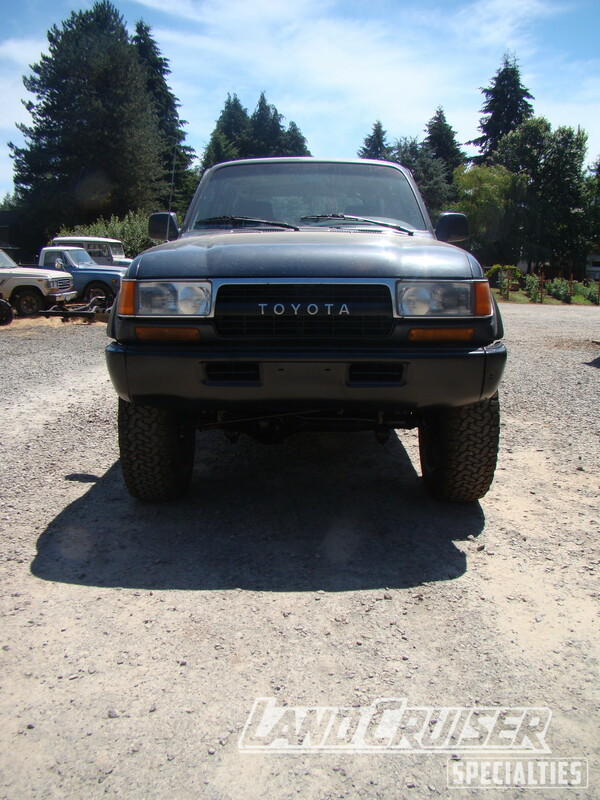 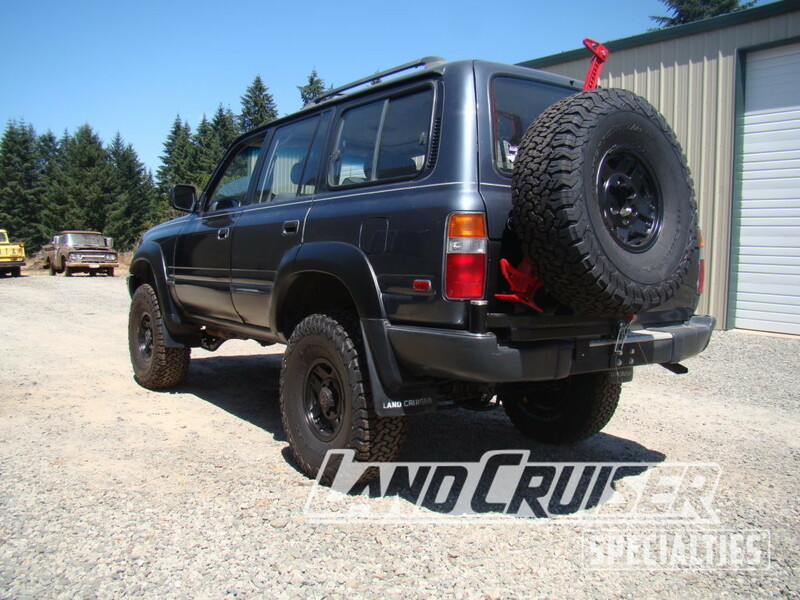 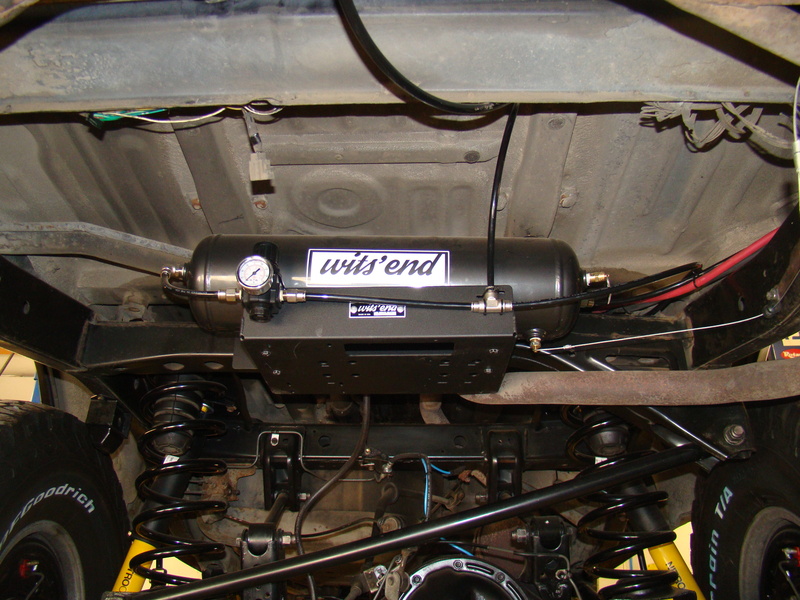 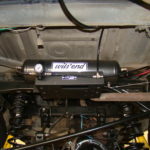 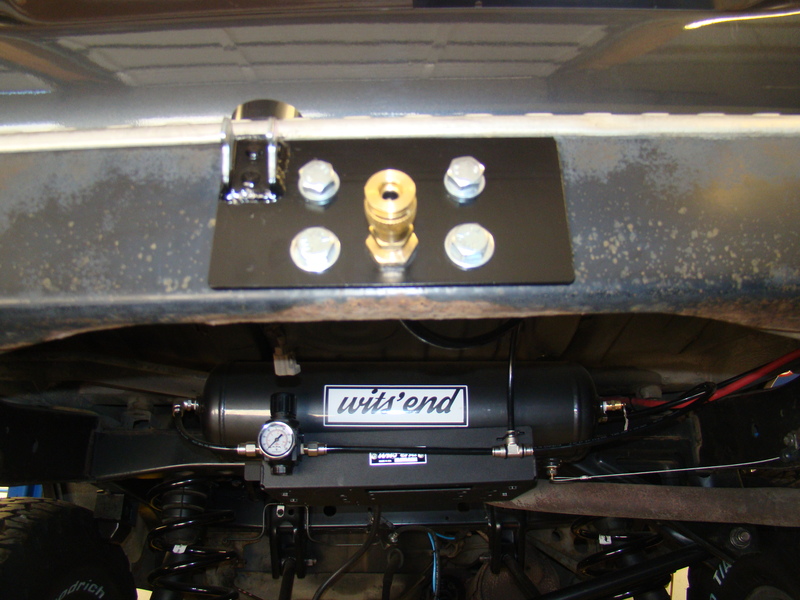 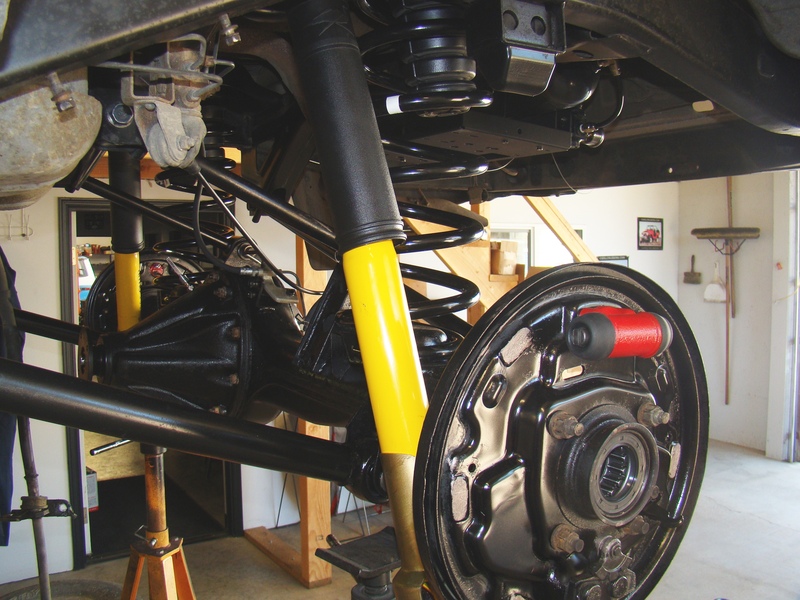 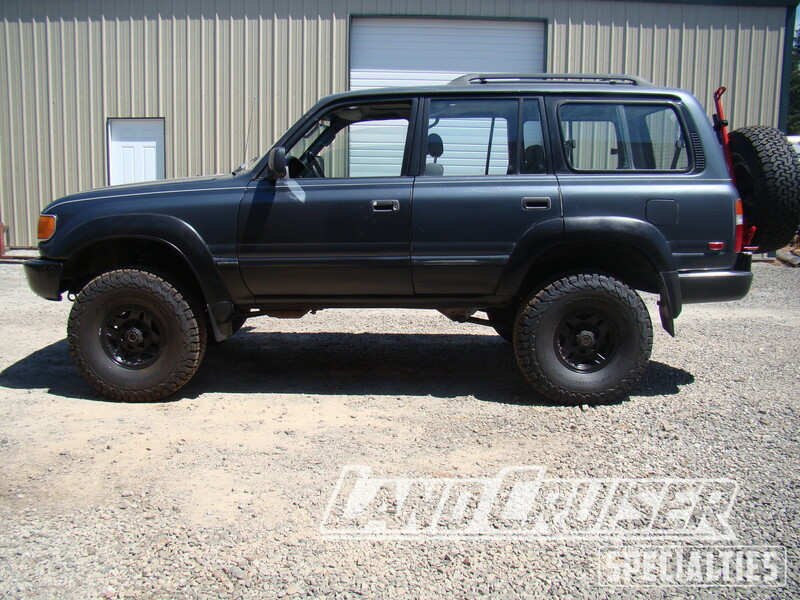 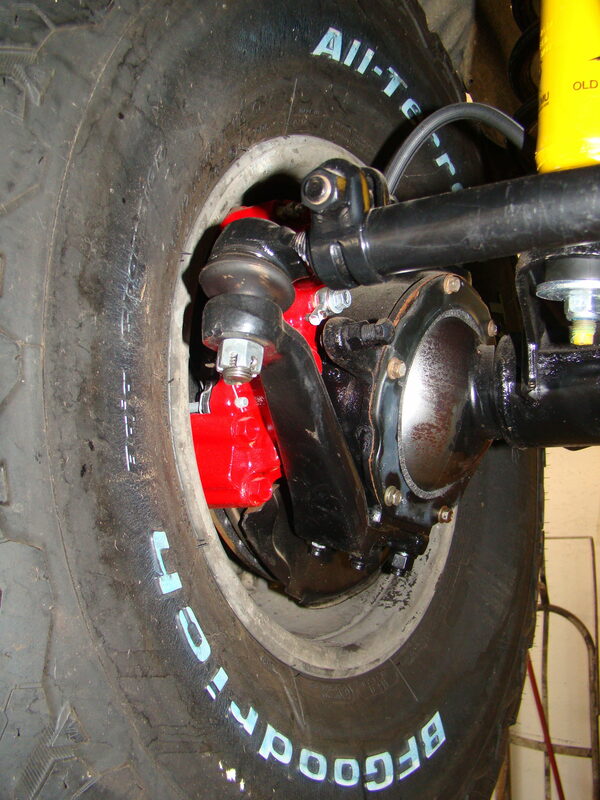 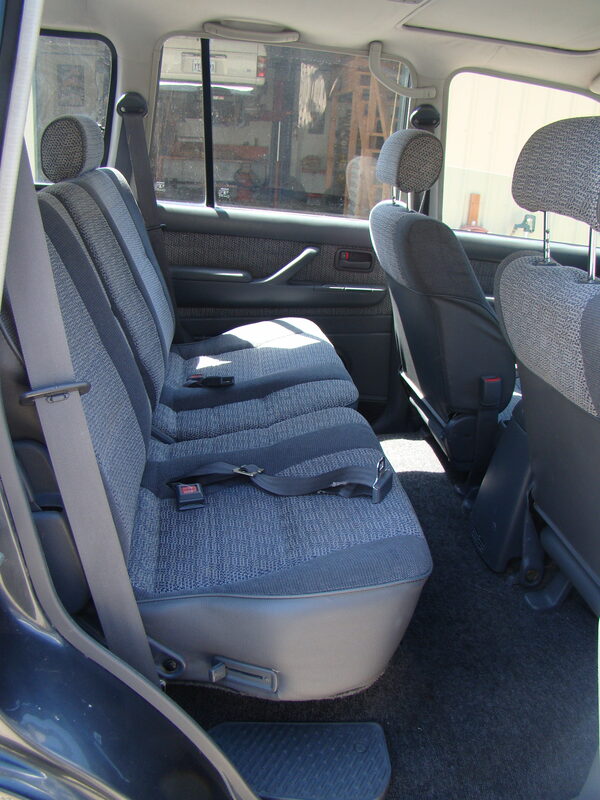 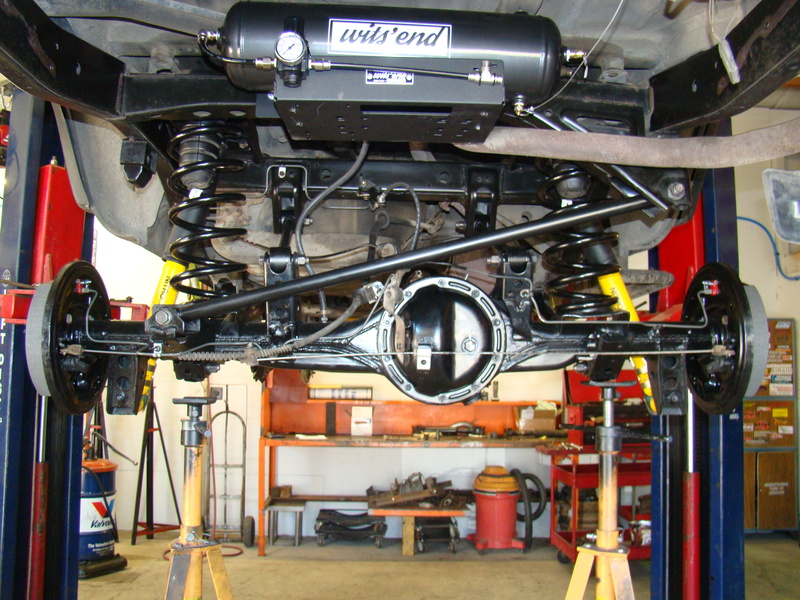 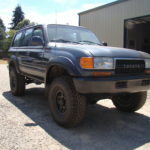 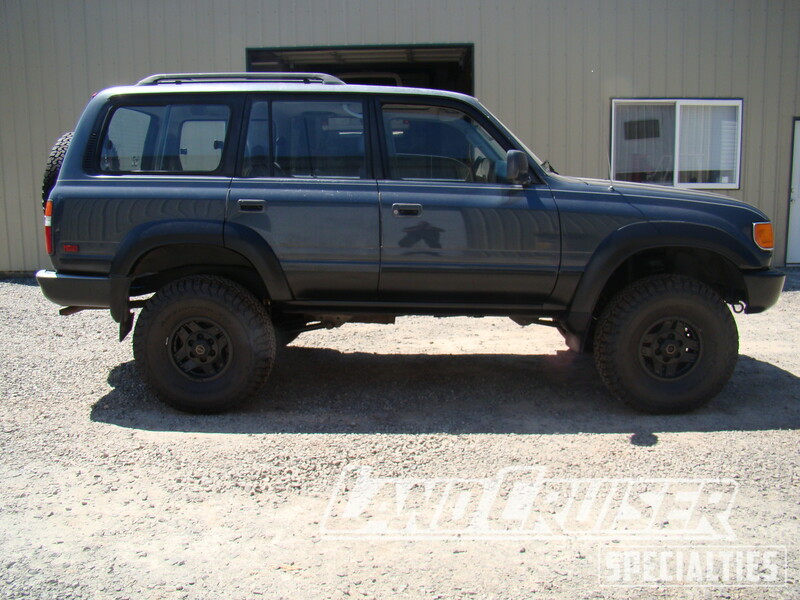 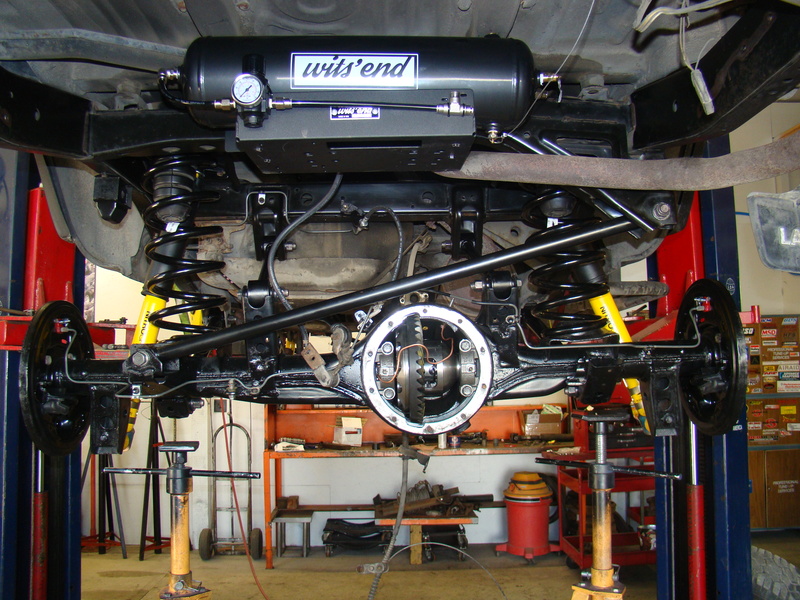 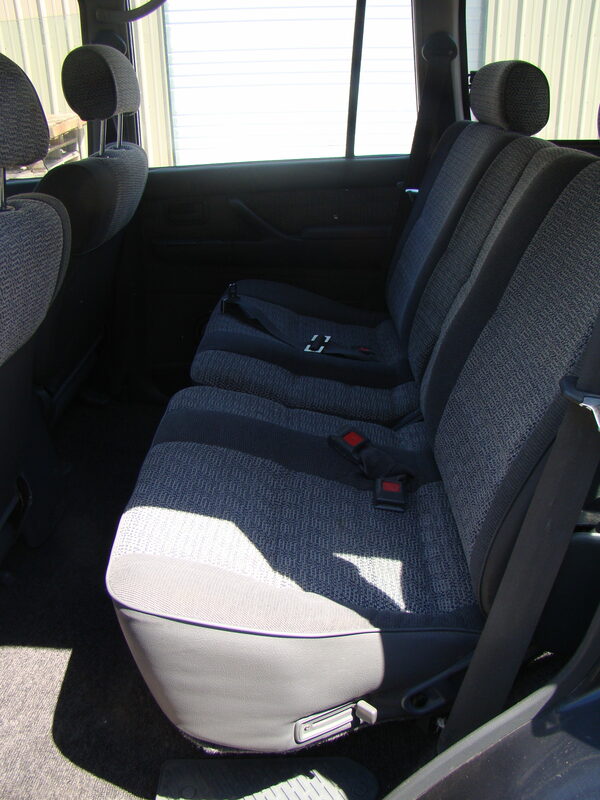 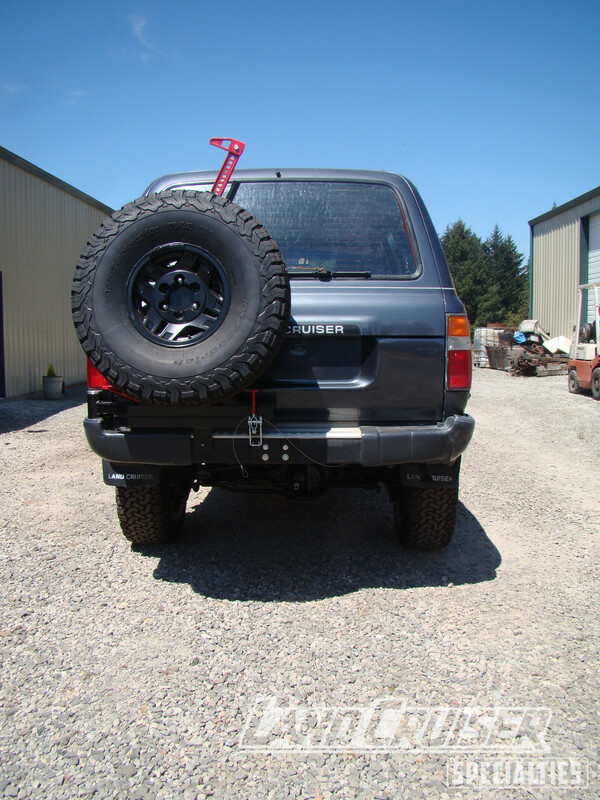 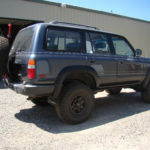 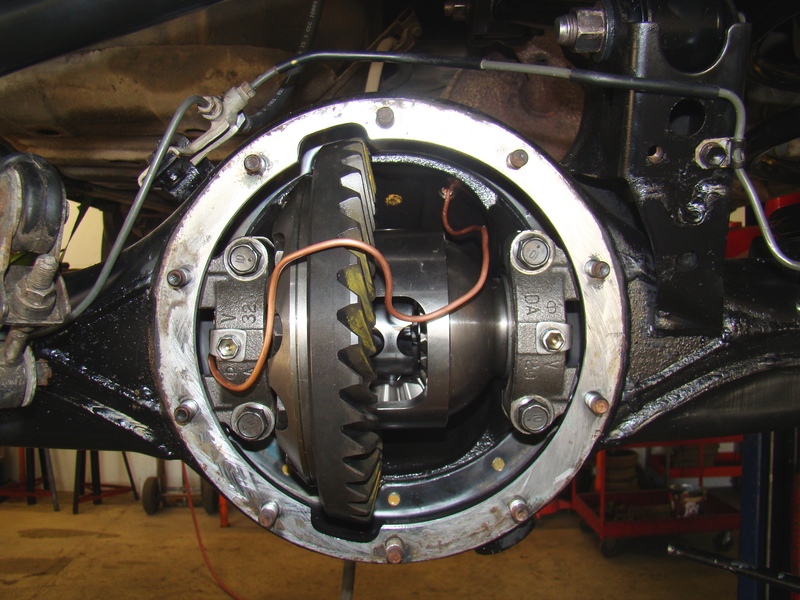 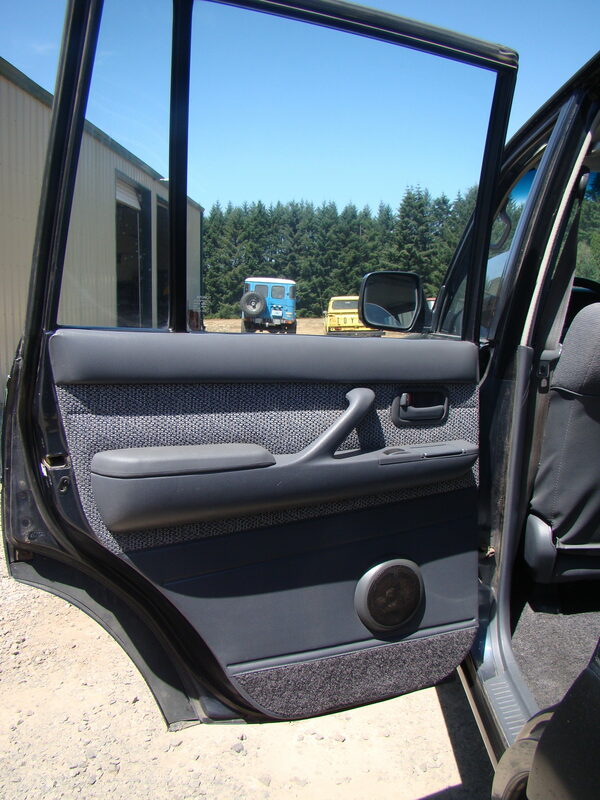 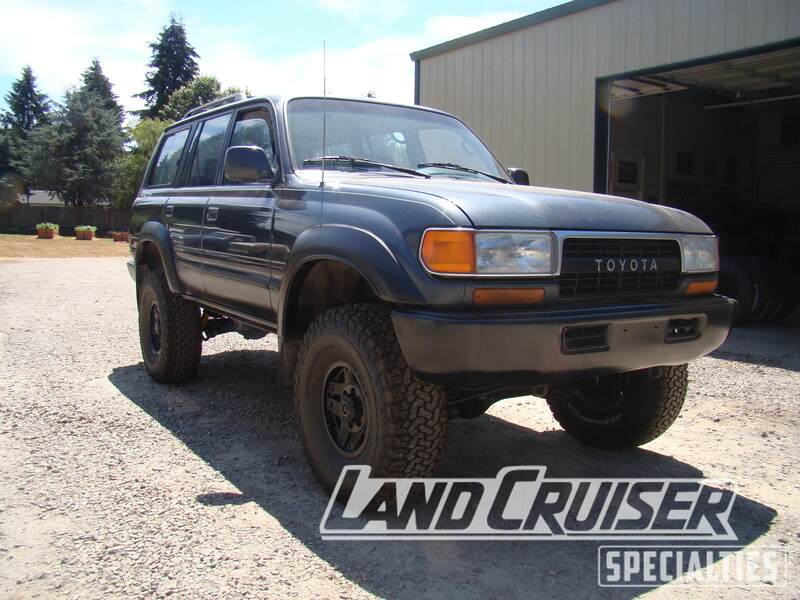 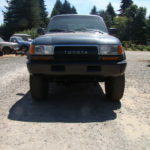 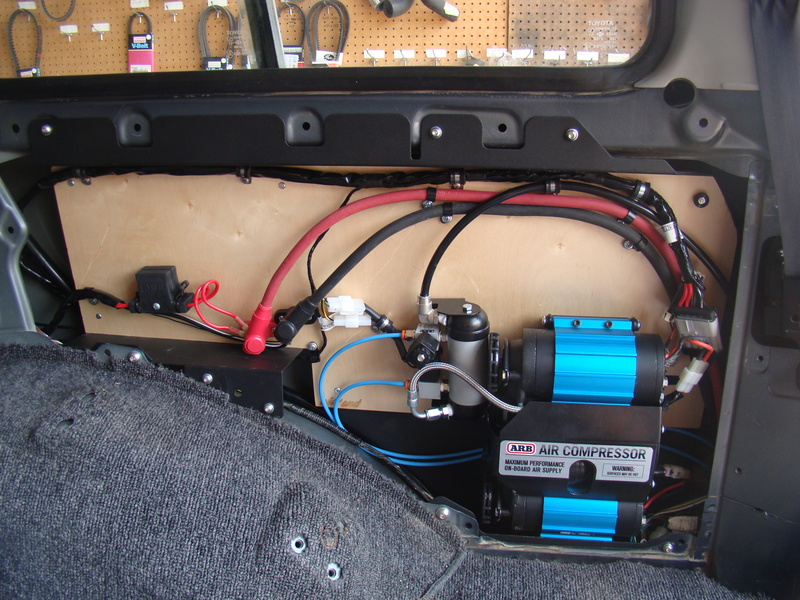 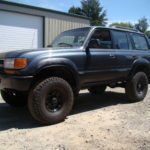 We installed new 4:88 gears and ARB air lockers in the front and rear differentials. 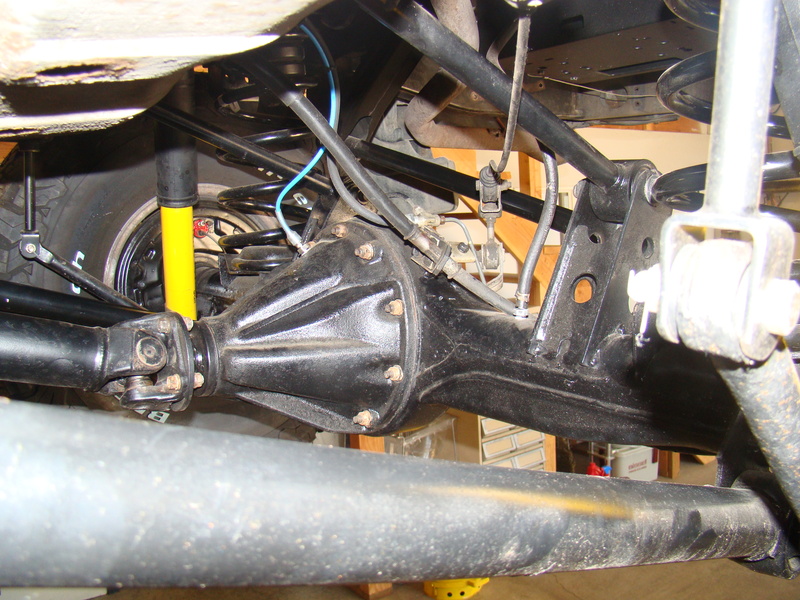 Reassembled the axles with the newly rebuilt 3rd members, new gaskets, seals, bearings, RCV chromoly front axle shafts (bullet proof! 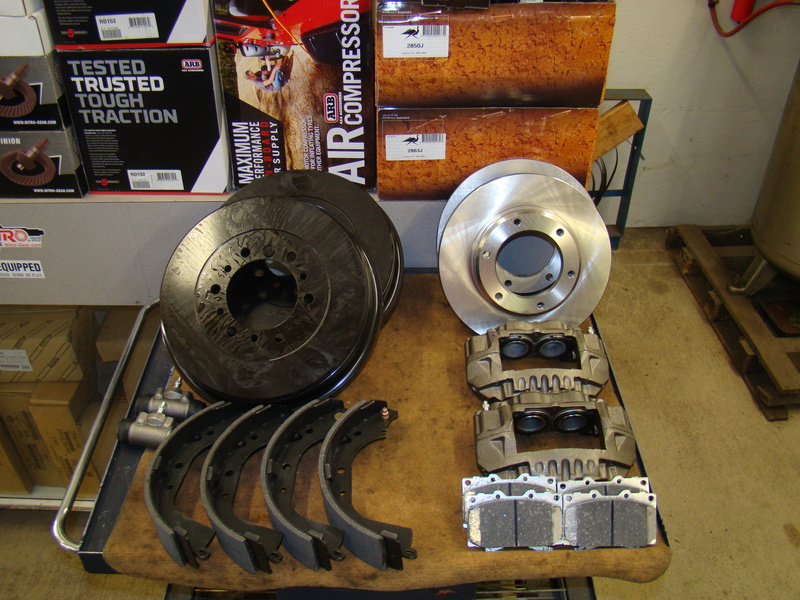 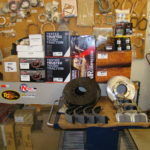 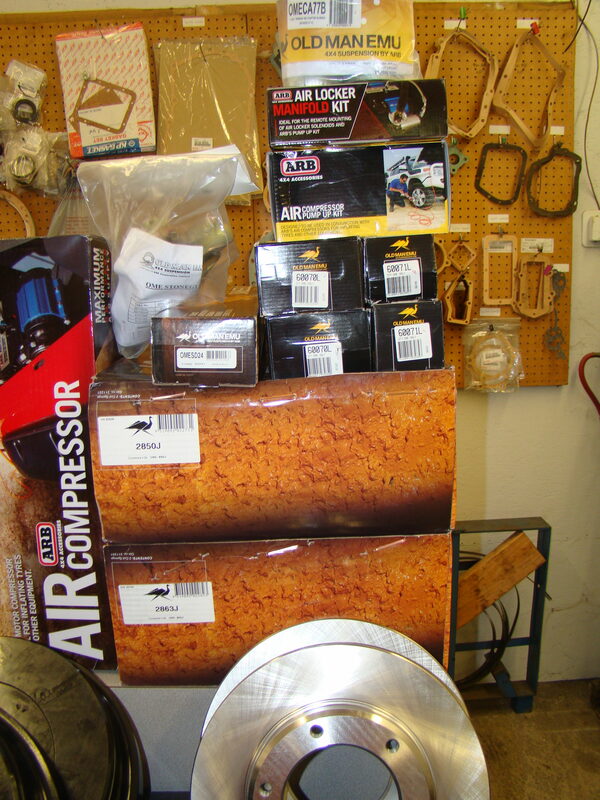 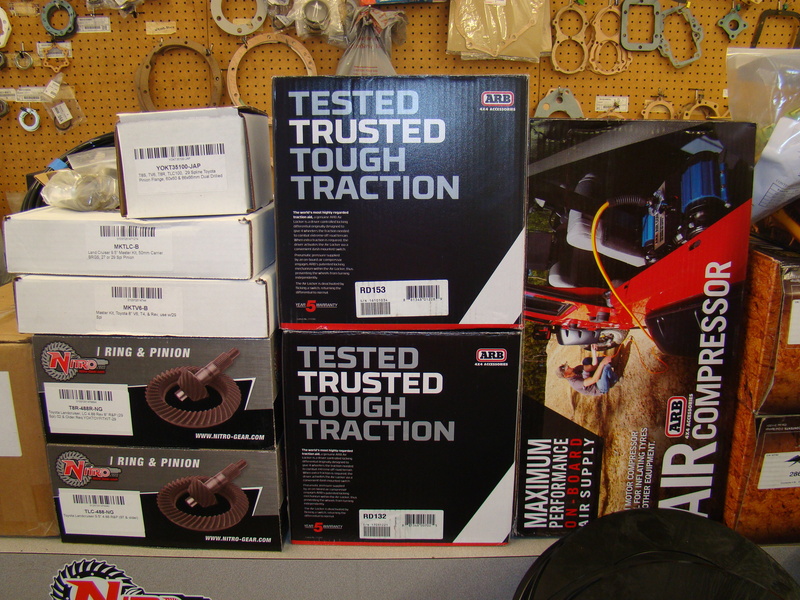 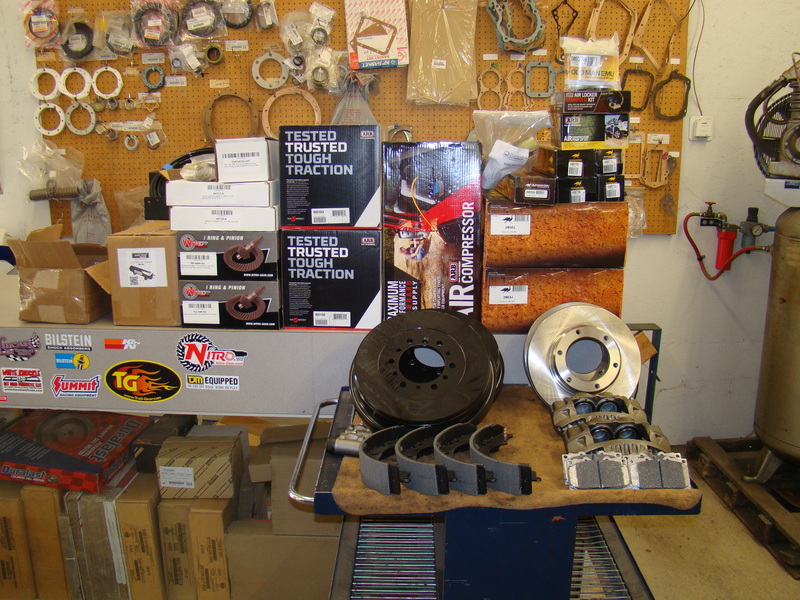 ), rotors, calipers, pads, wheel cylinders, shoes and drums. 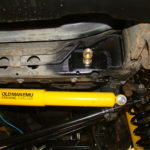 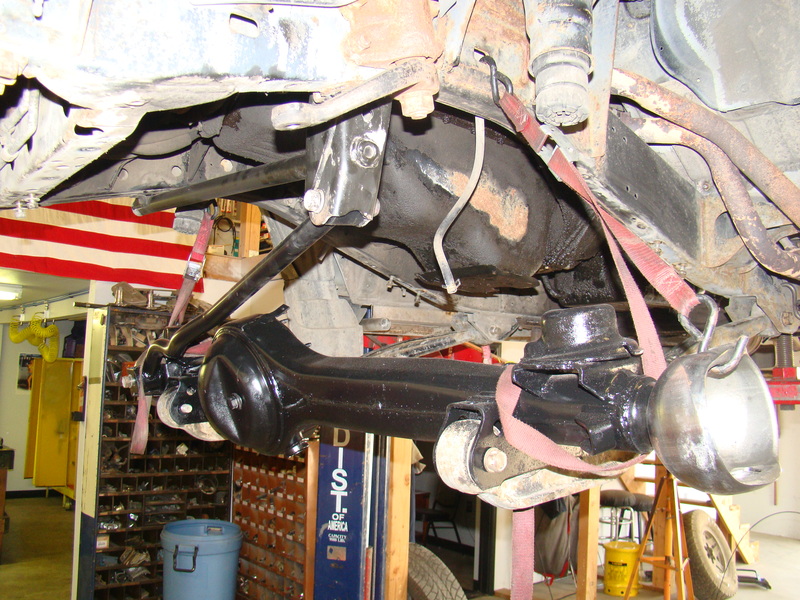 New tie rod ends installed. 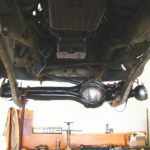 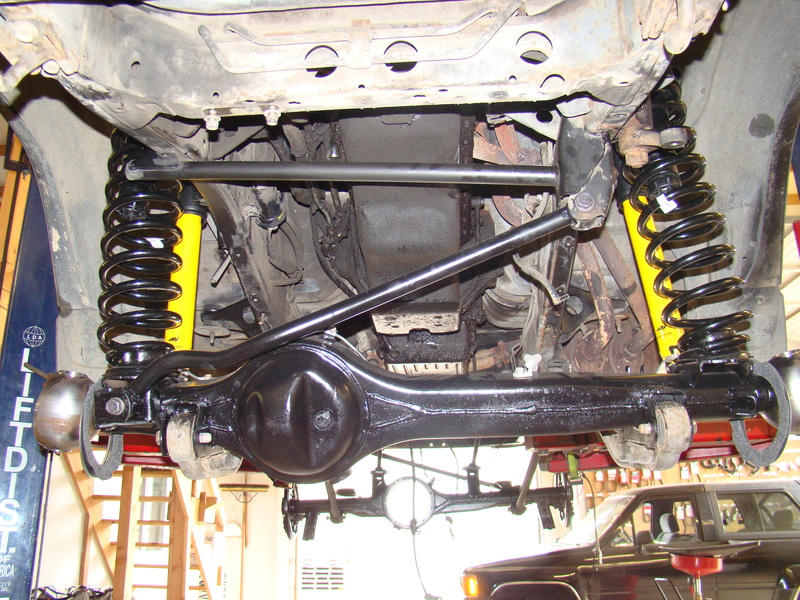 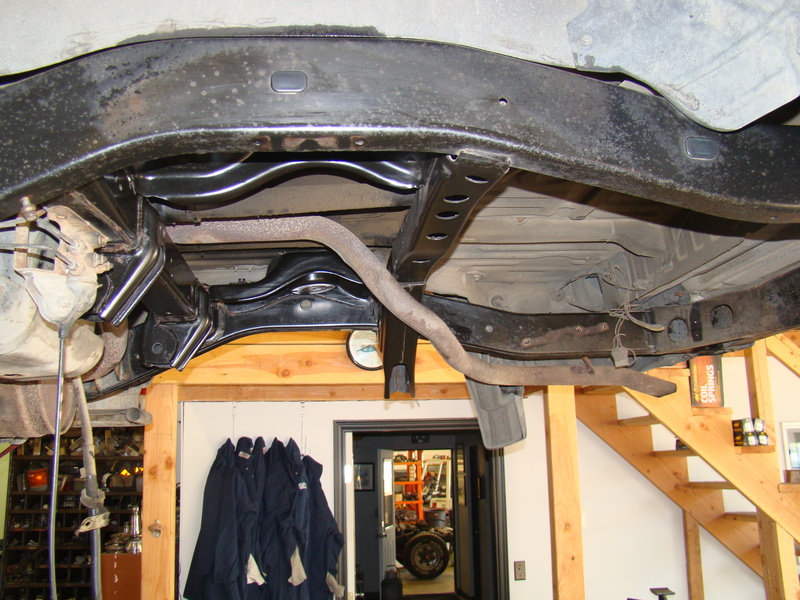 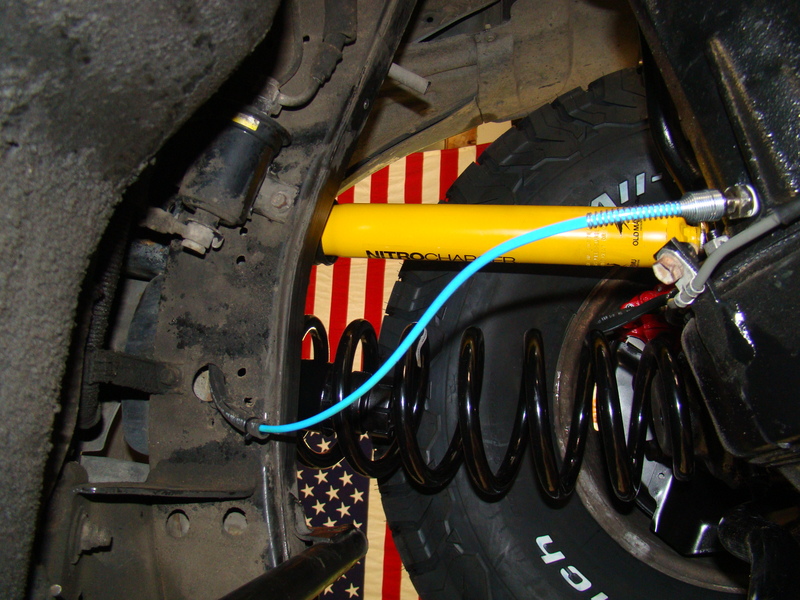 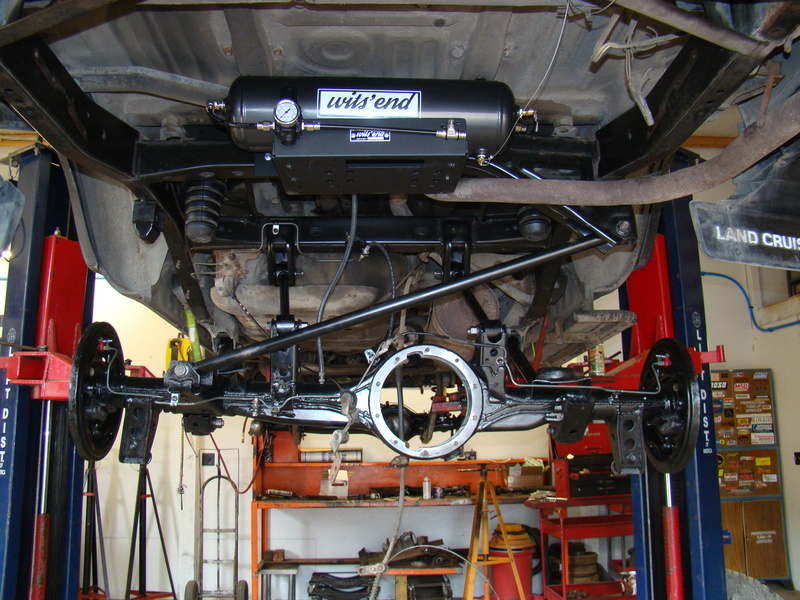 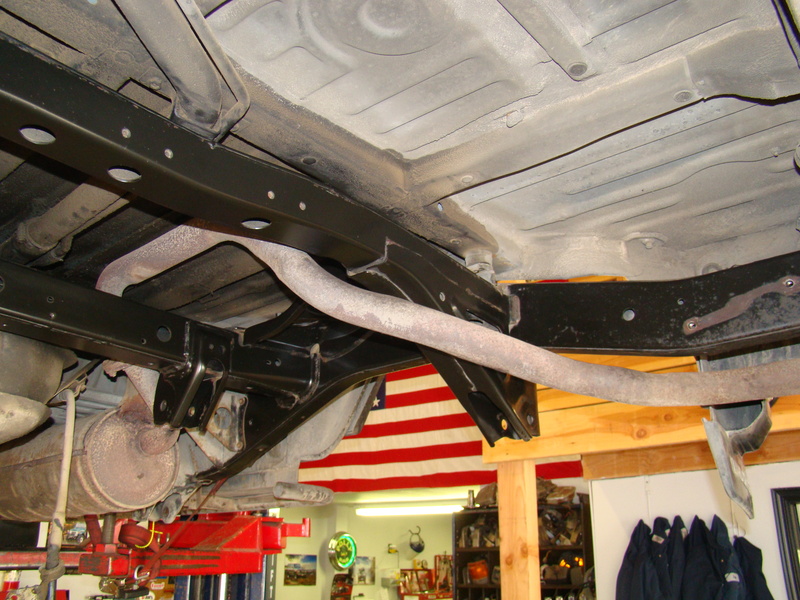 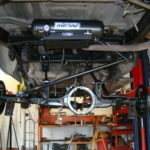 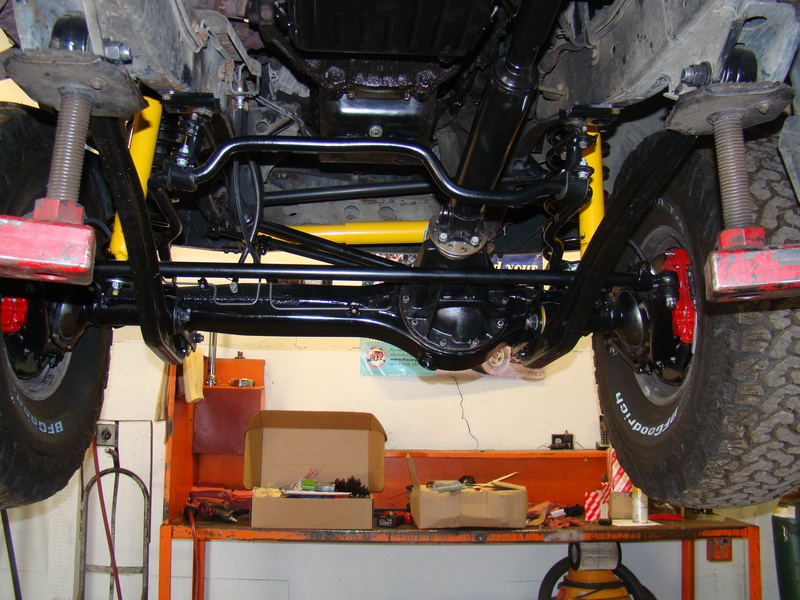 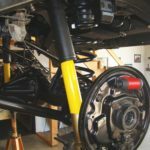 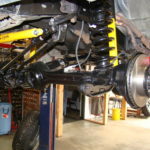 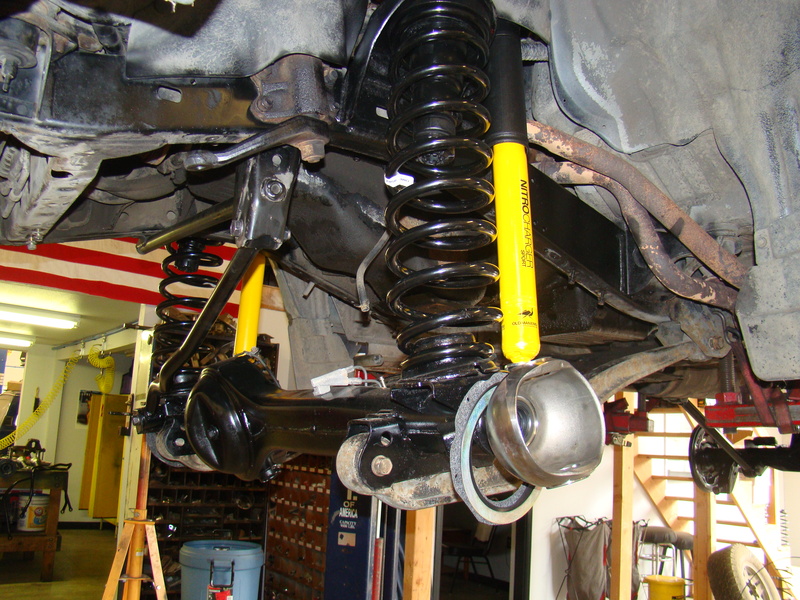 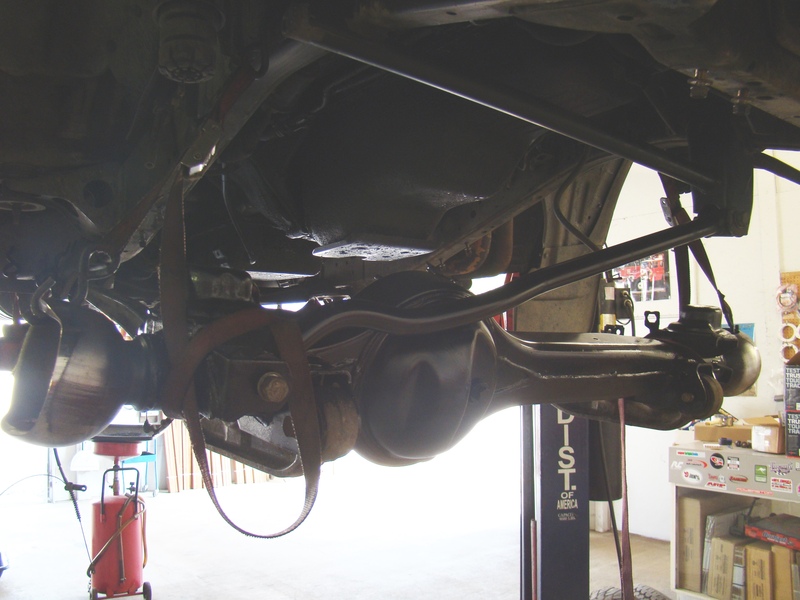 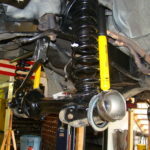 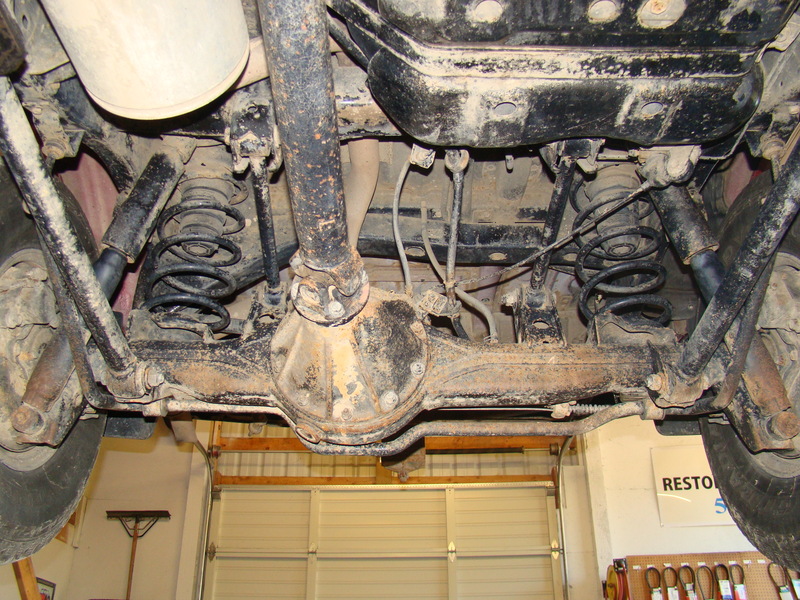 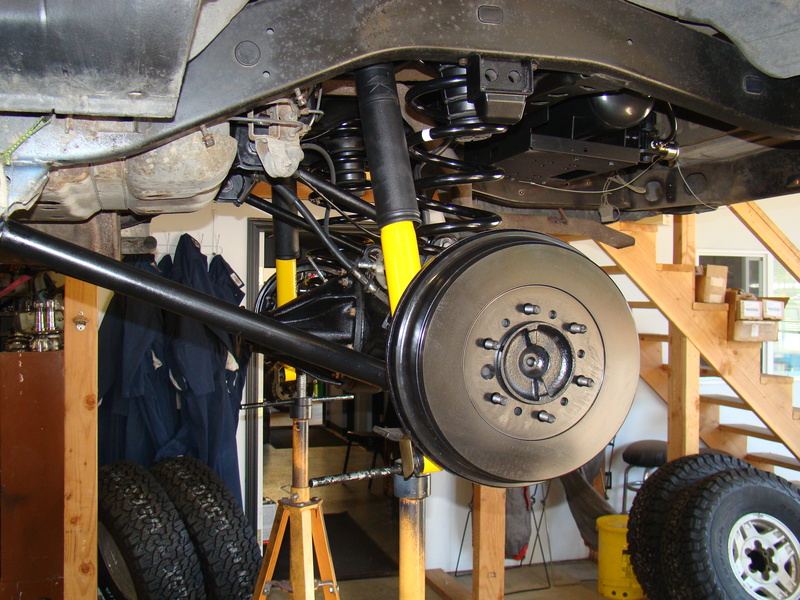 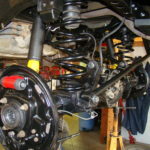 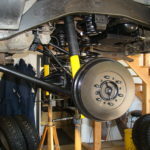 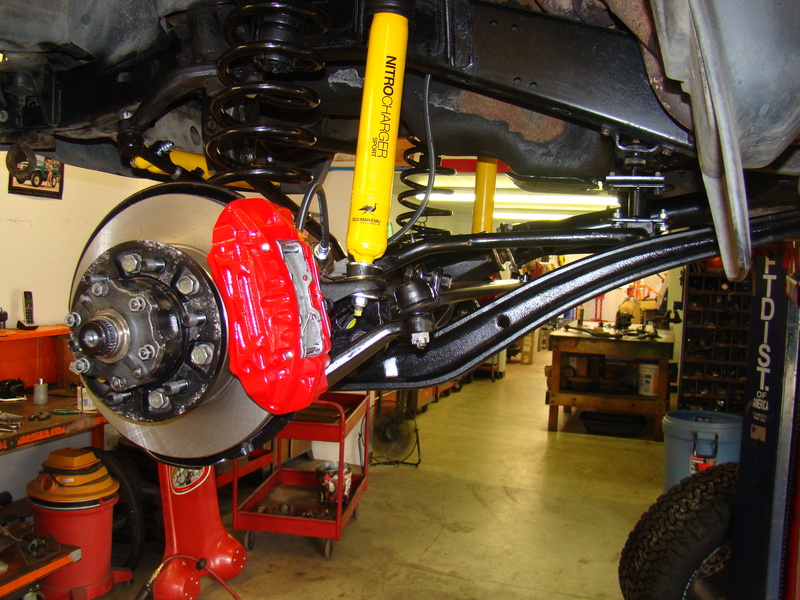 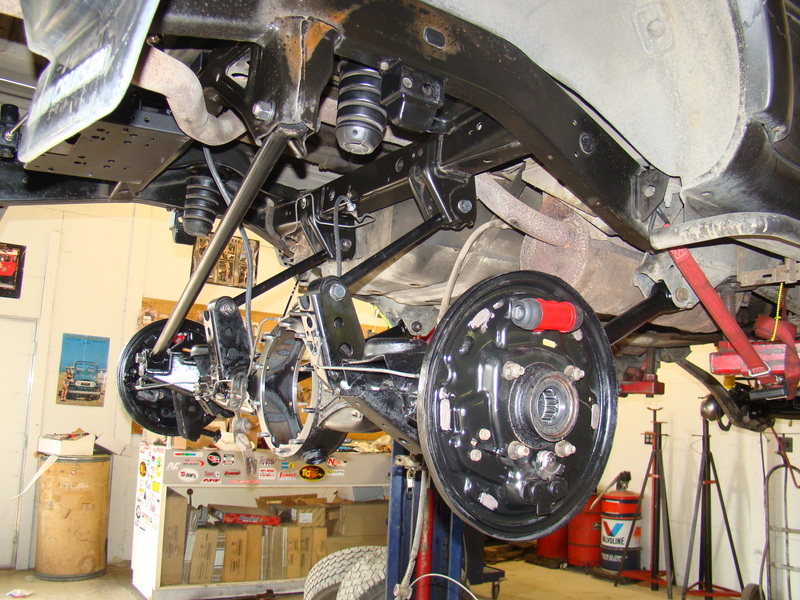 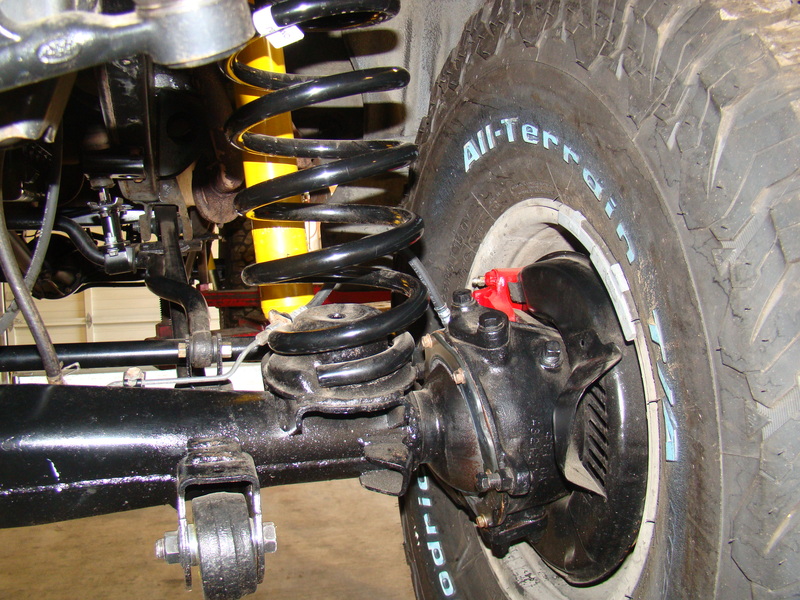 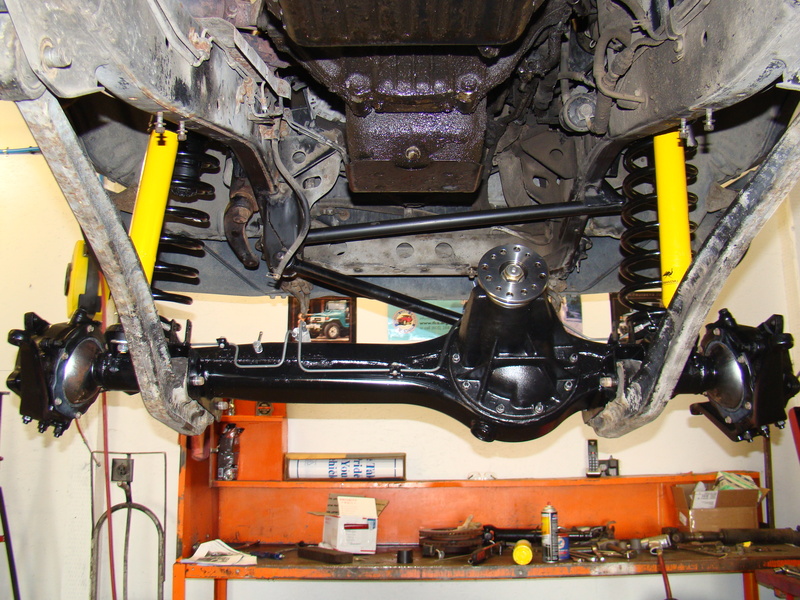 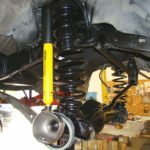 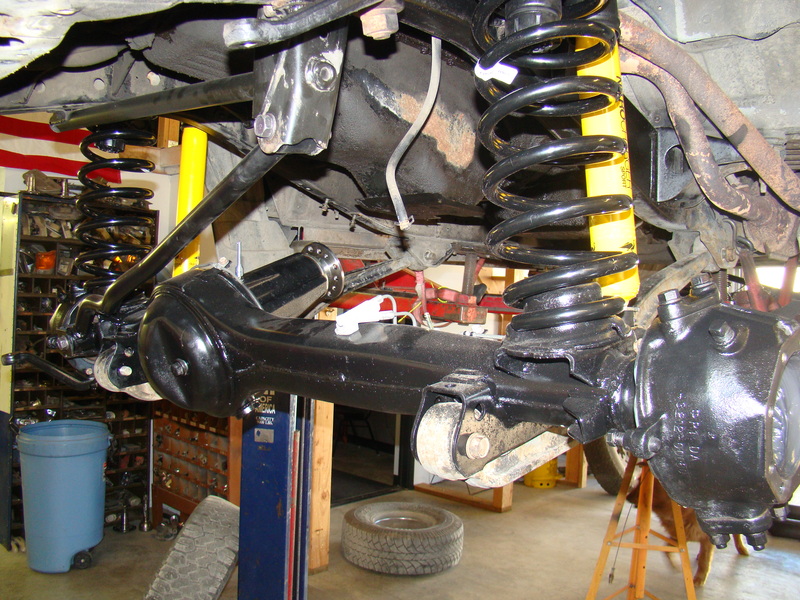 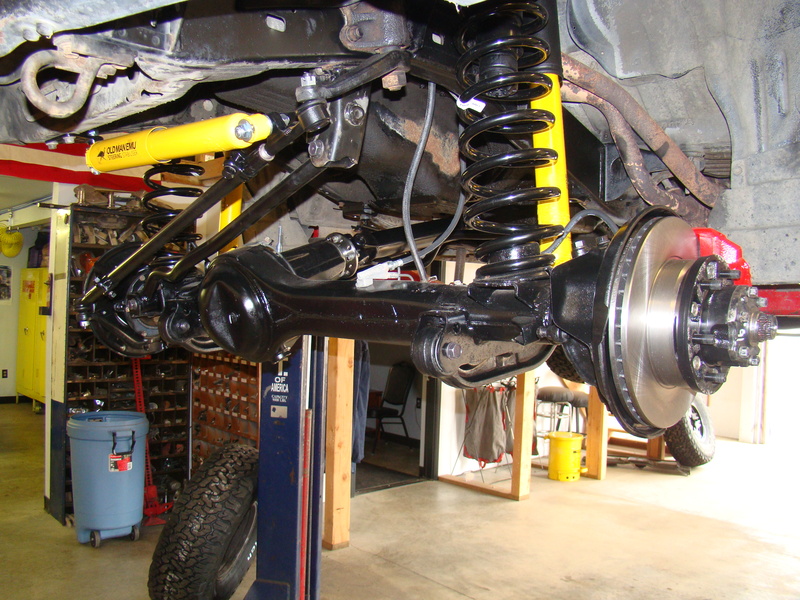 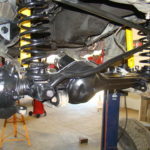 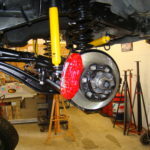 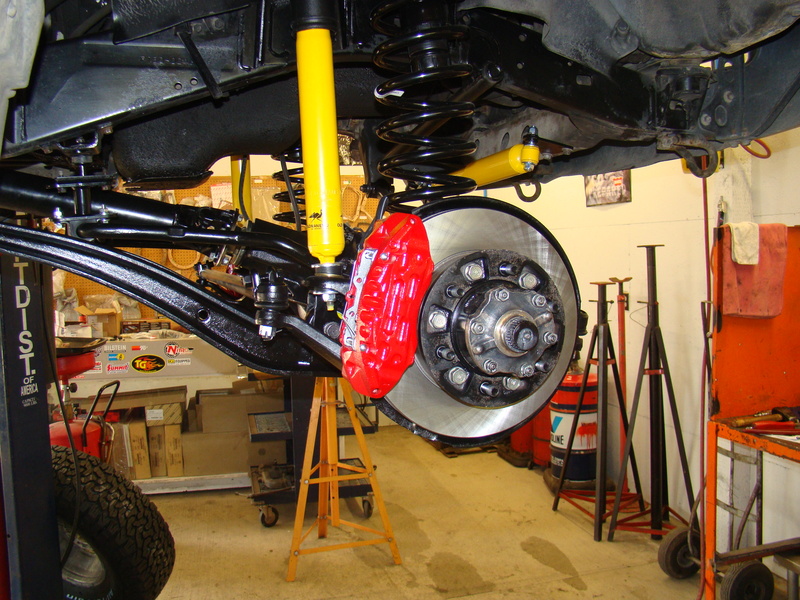 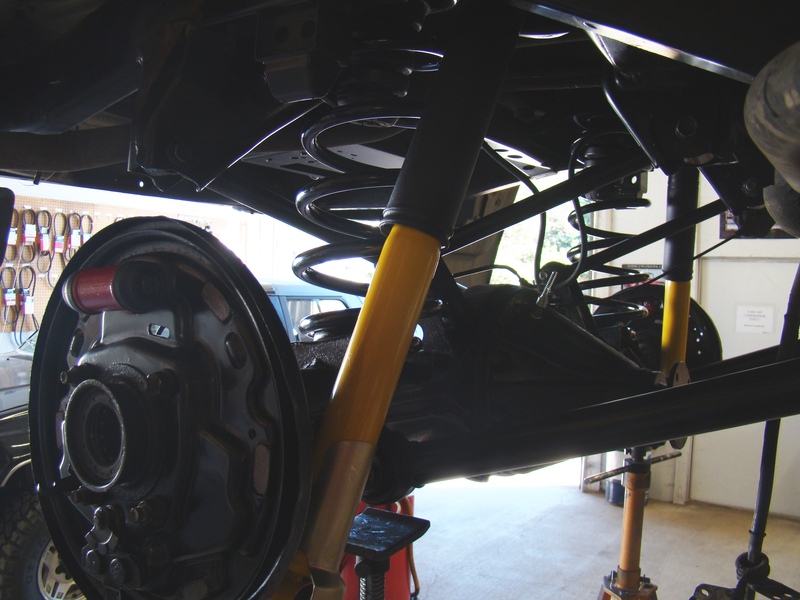 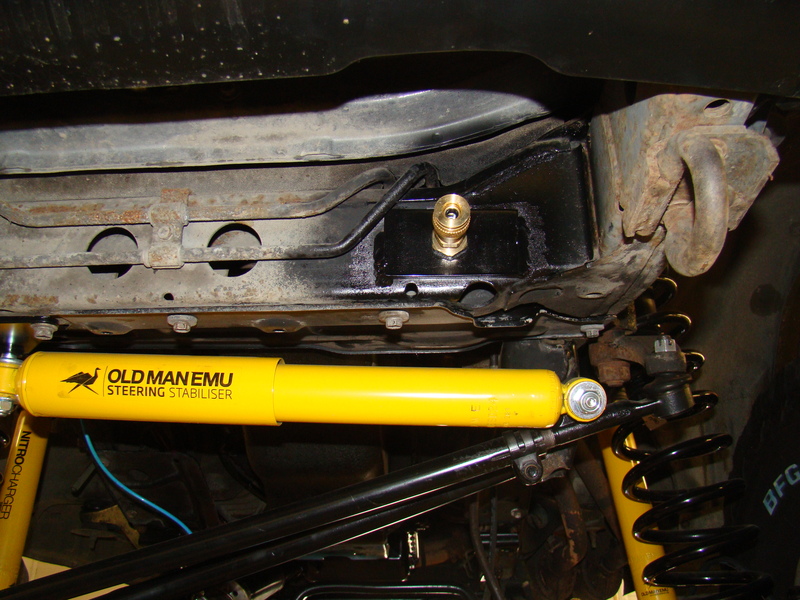 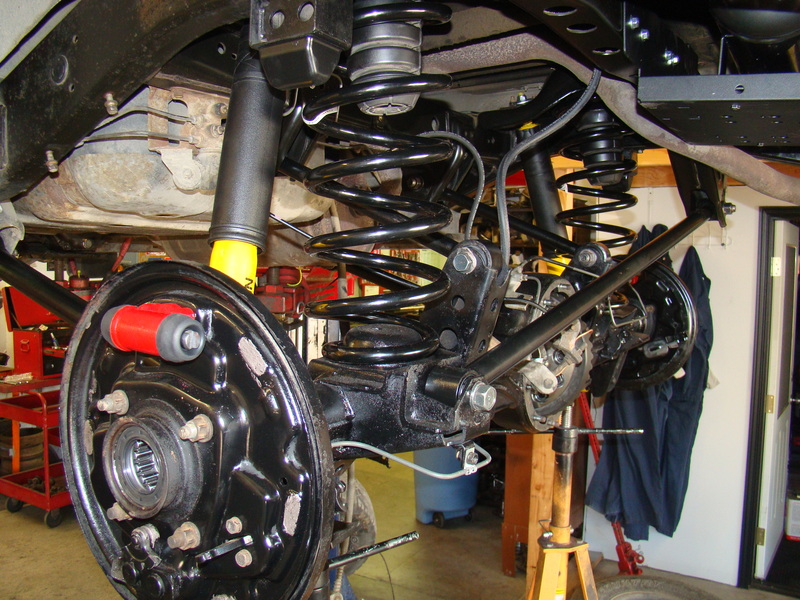 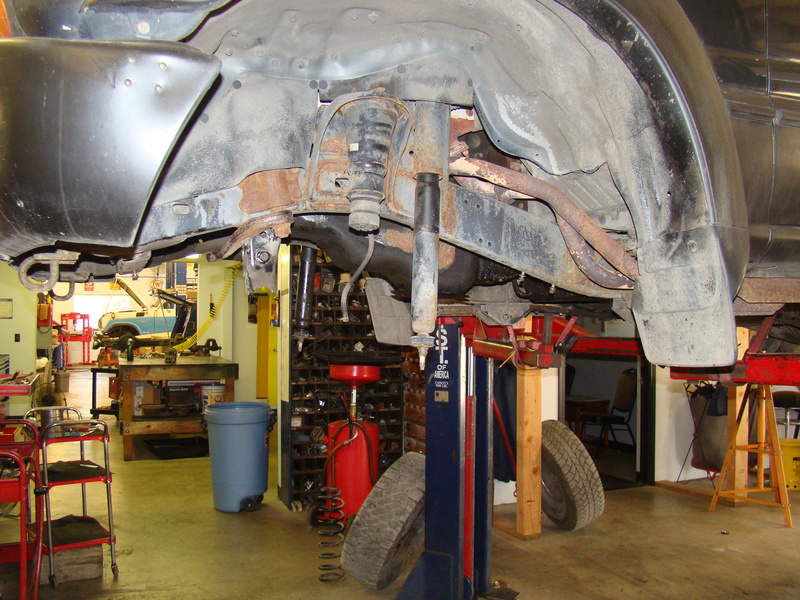 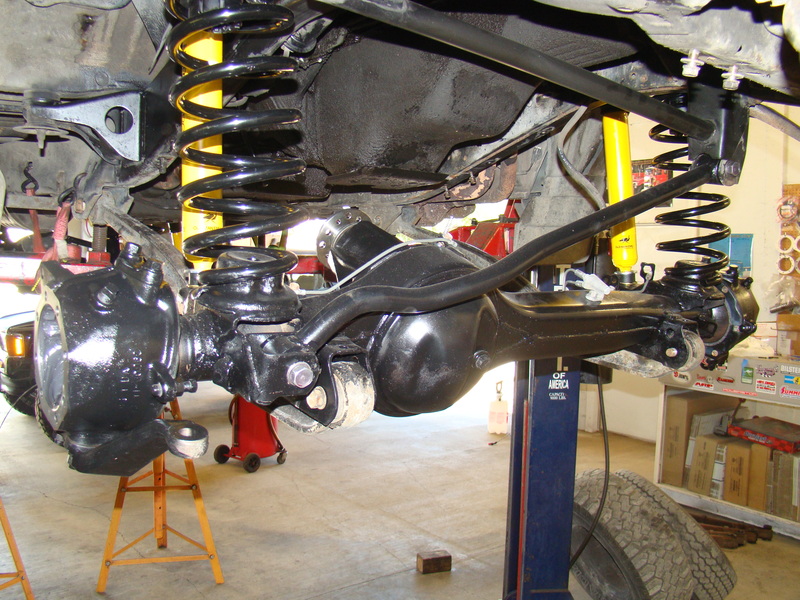 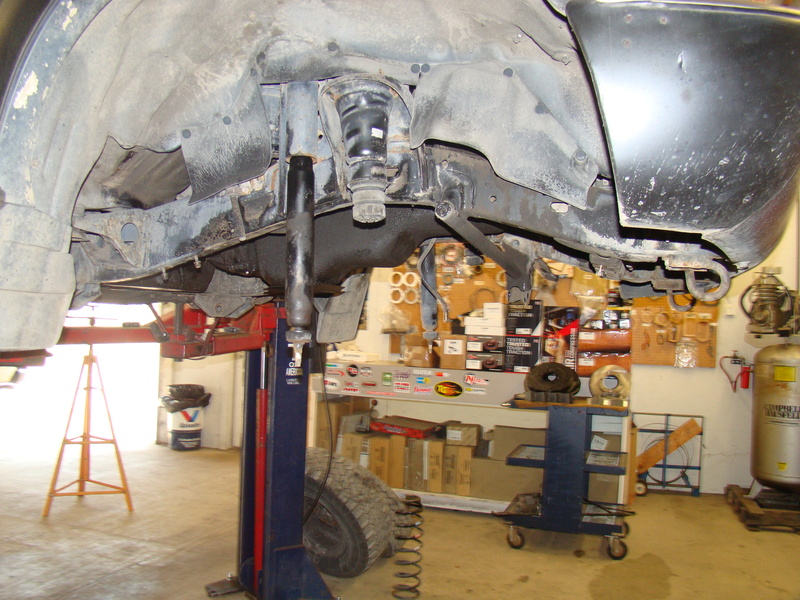 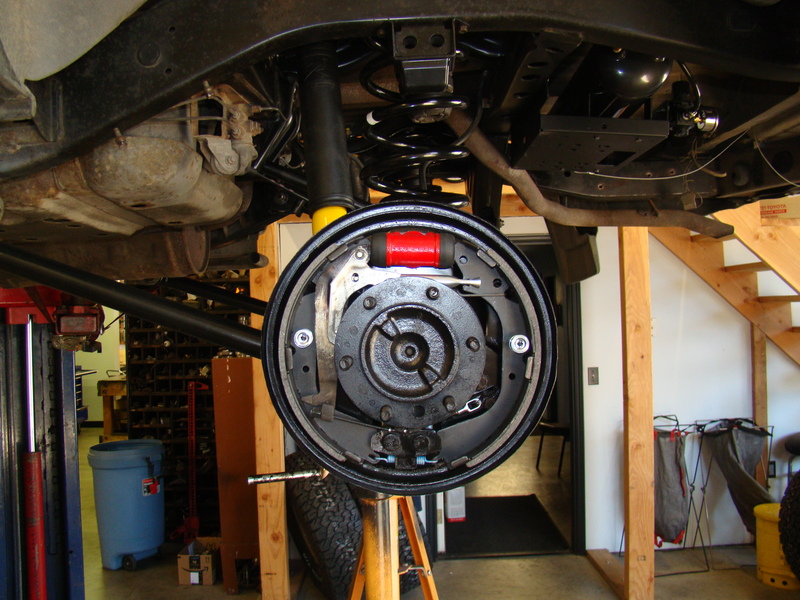 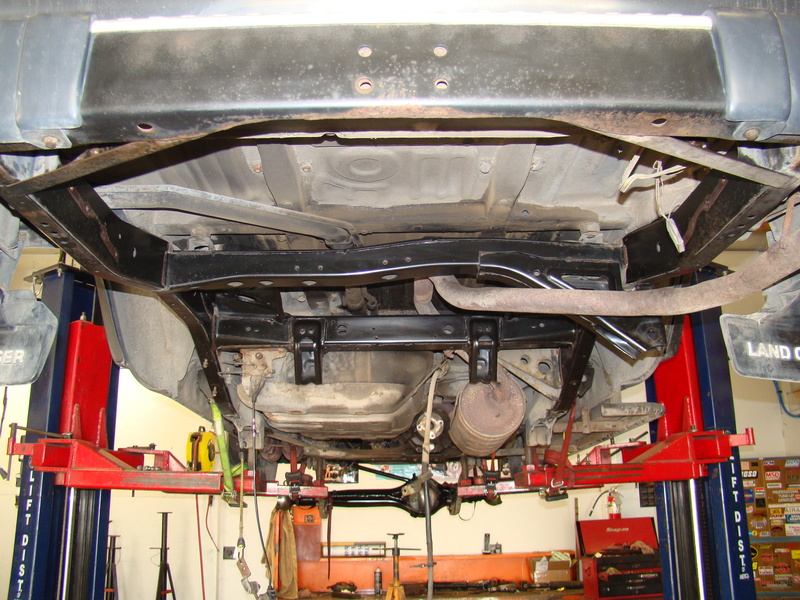 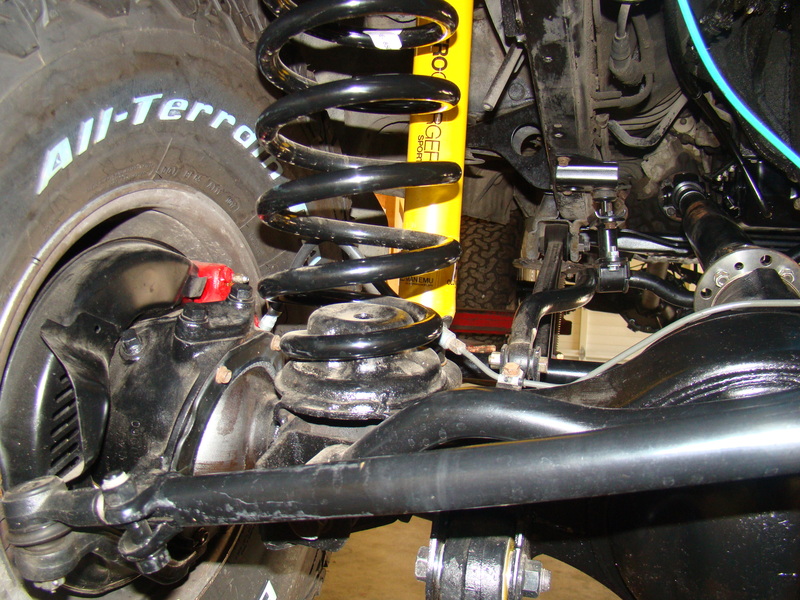 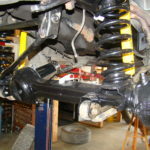 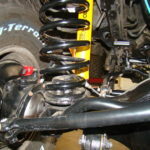 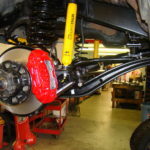 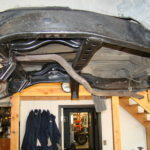 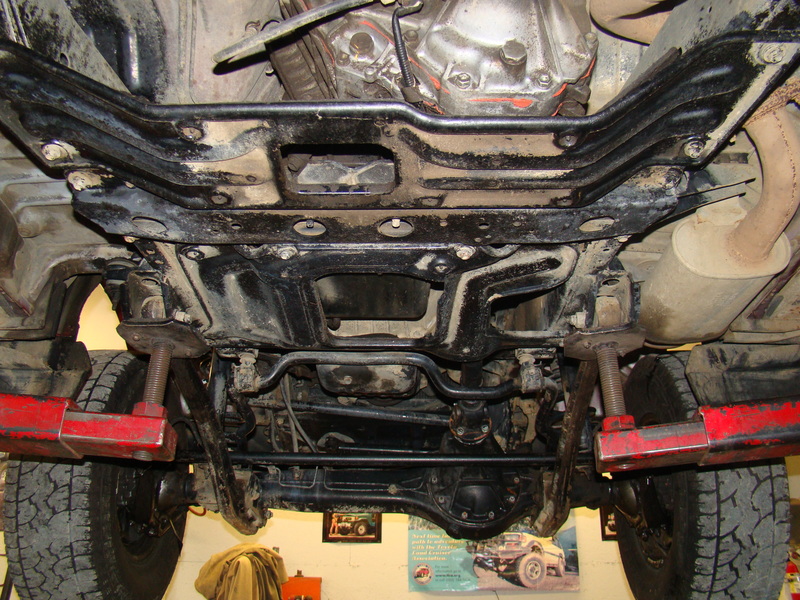 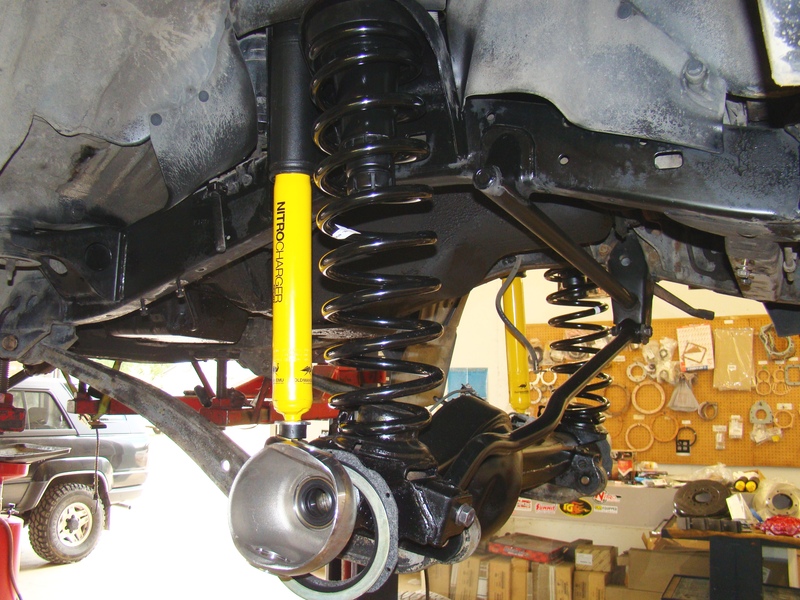 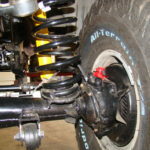 At the same time, a 3” OME suspension lift with front spacers (to level the stance)was installed, new extended brake lines, sway bar extended links, new bushings in all the control arms, links and sway bars. 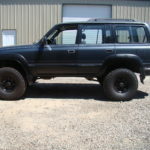 5 new BFG KO2 AT tires were installed and OE rims painted. 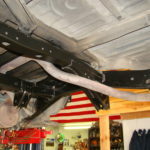 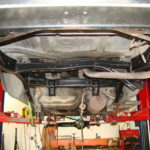 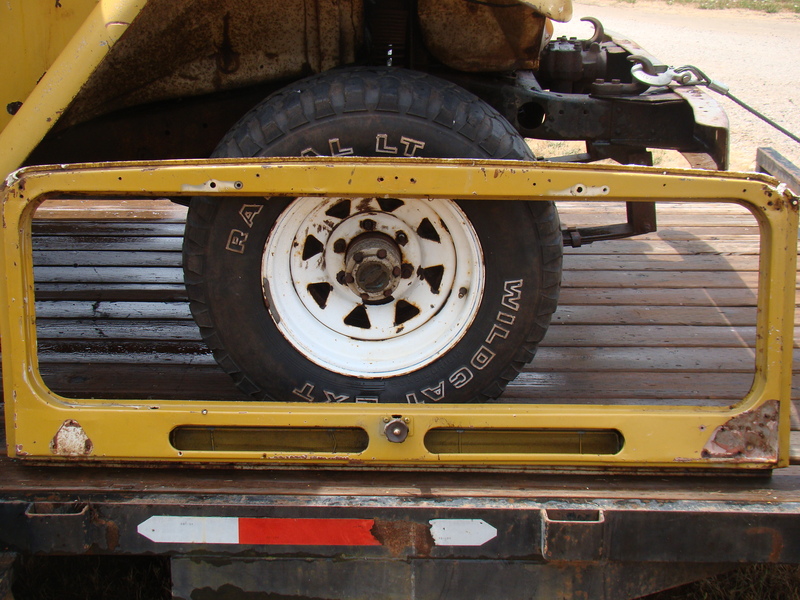 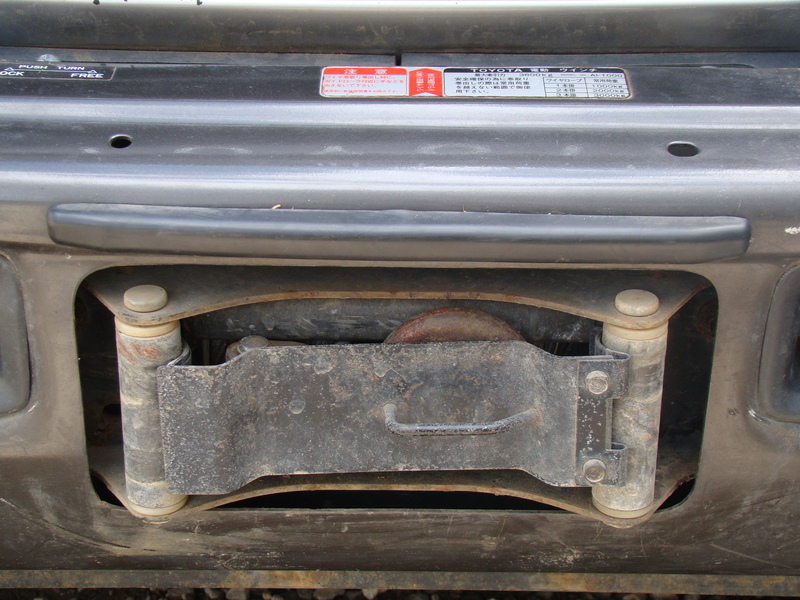 We installed a new spare tire carrier that has a new high lift jack attached to it. 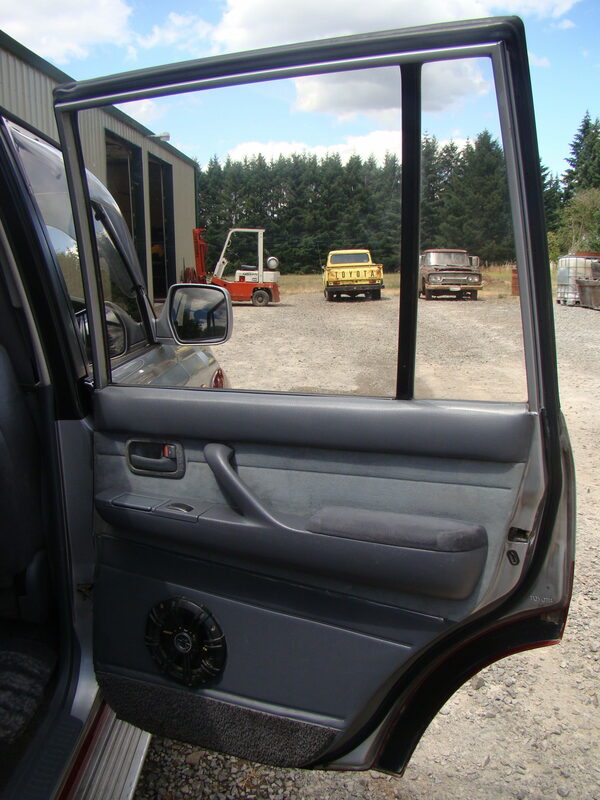 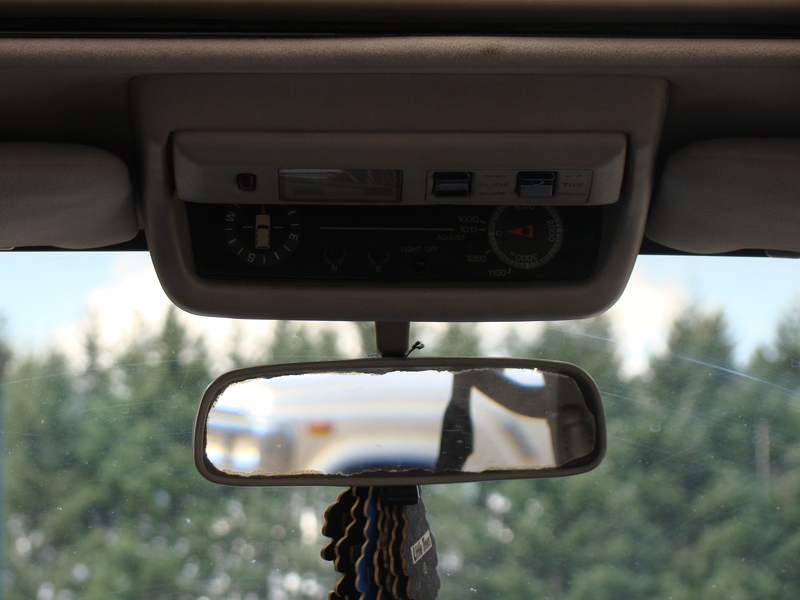 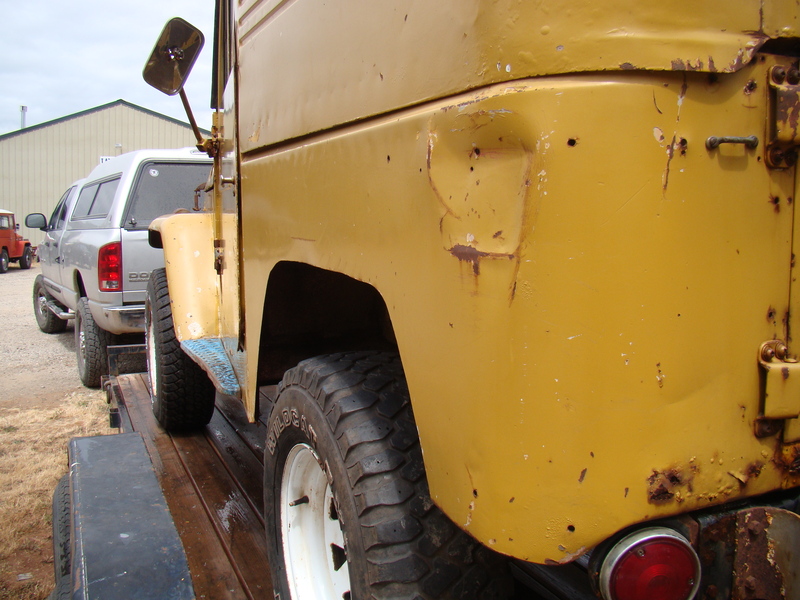 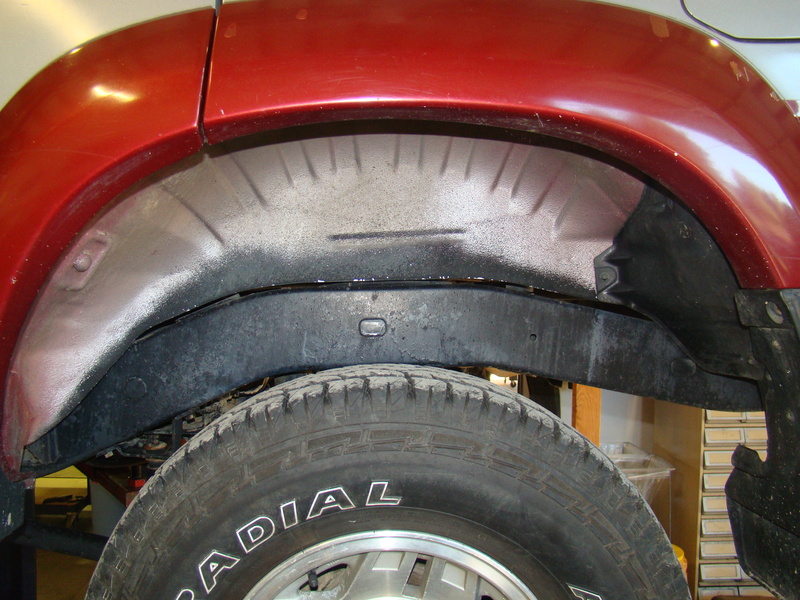 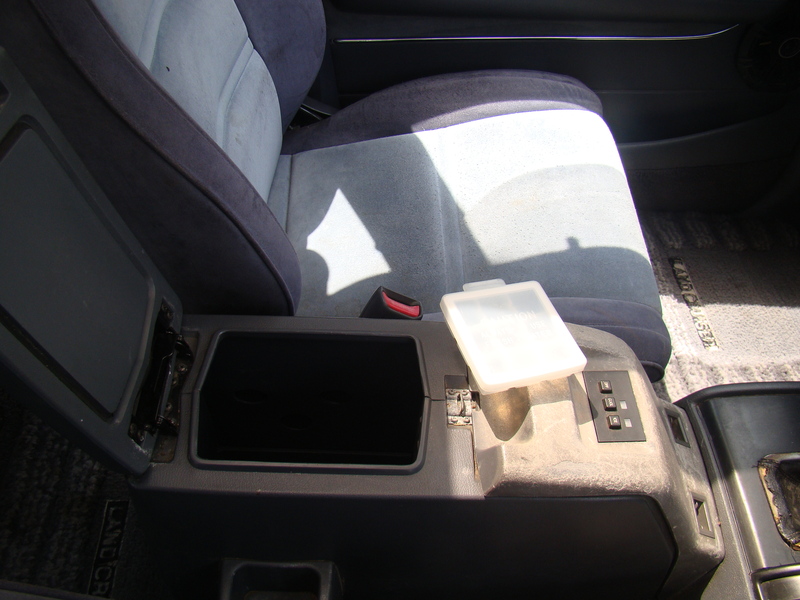 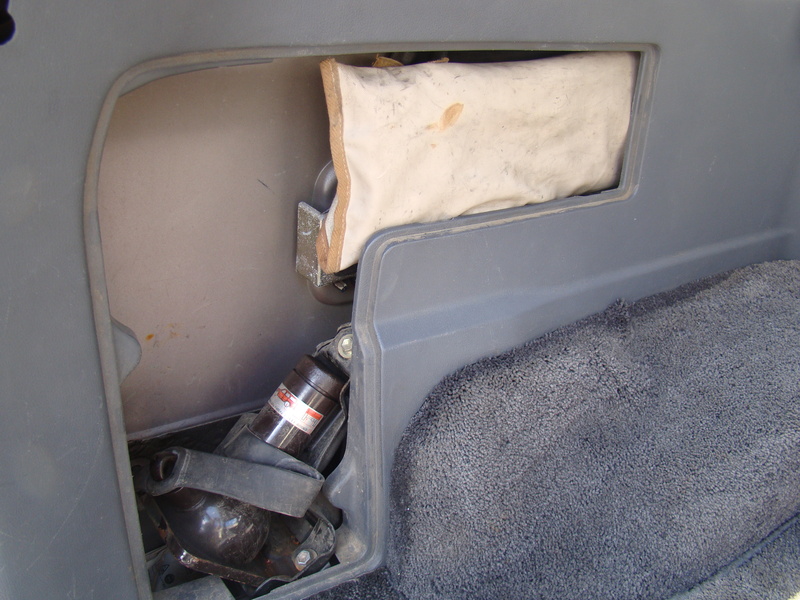 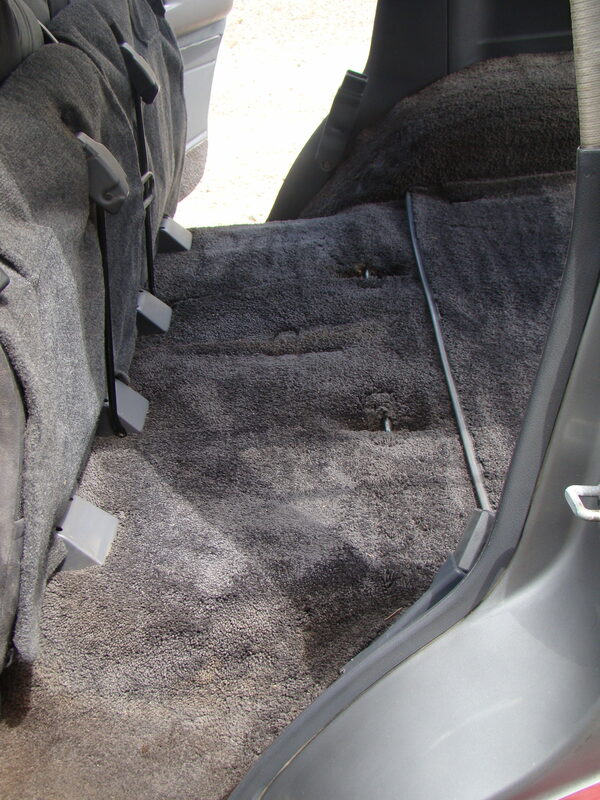 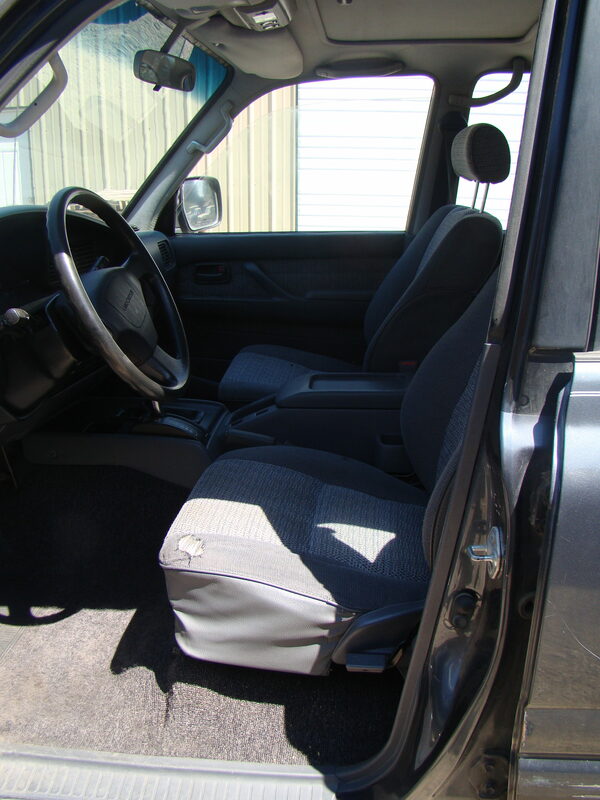 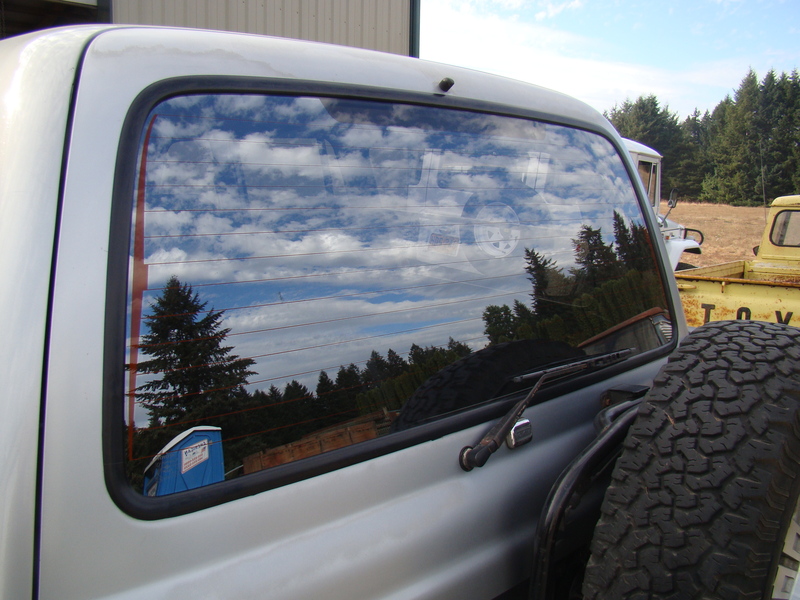 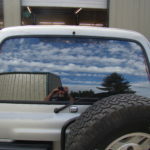 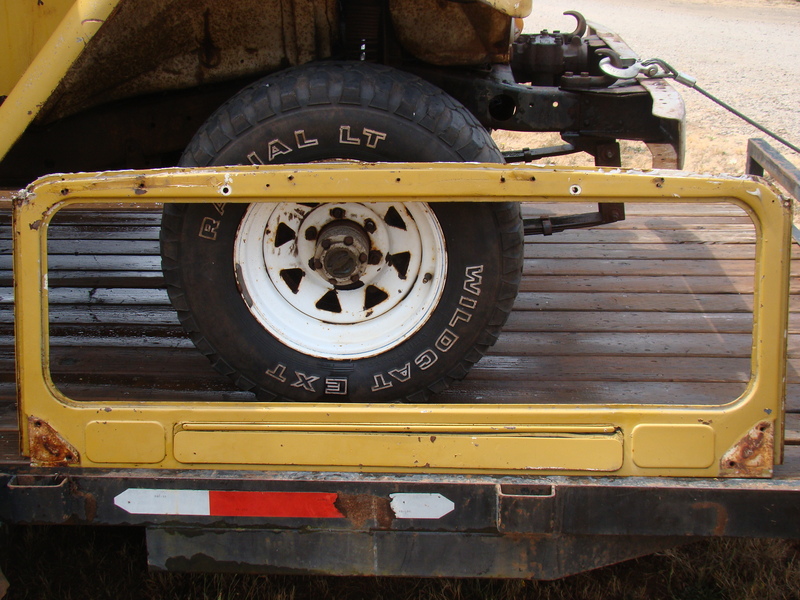 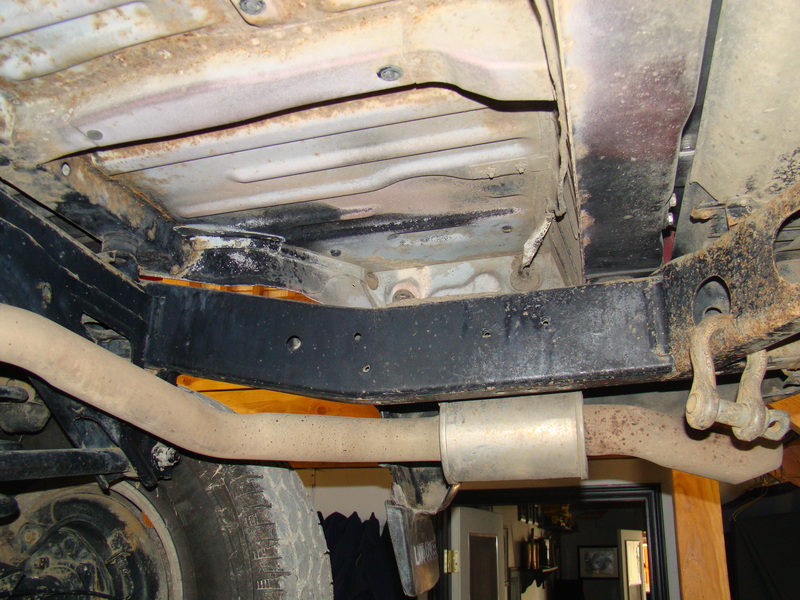 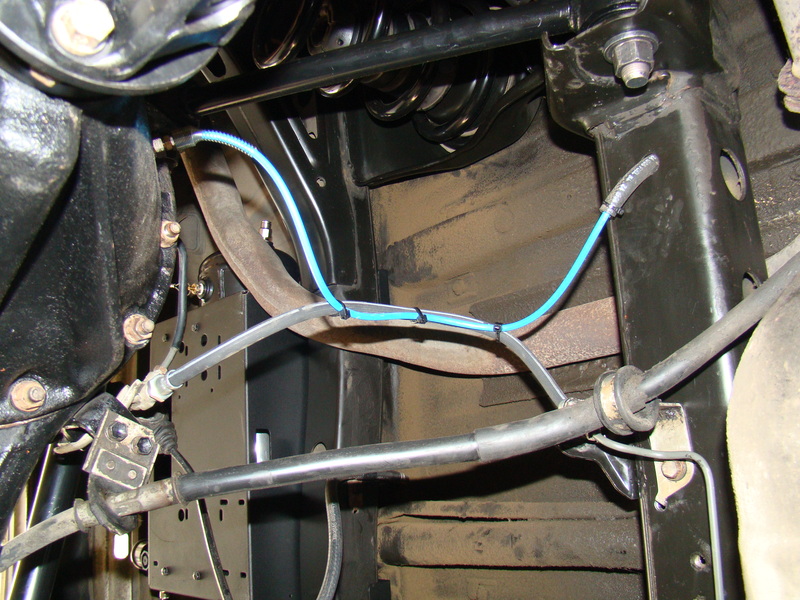 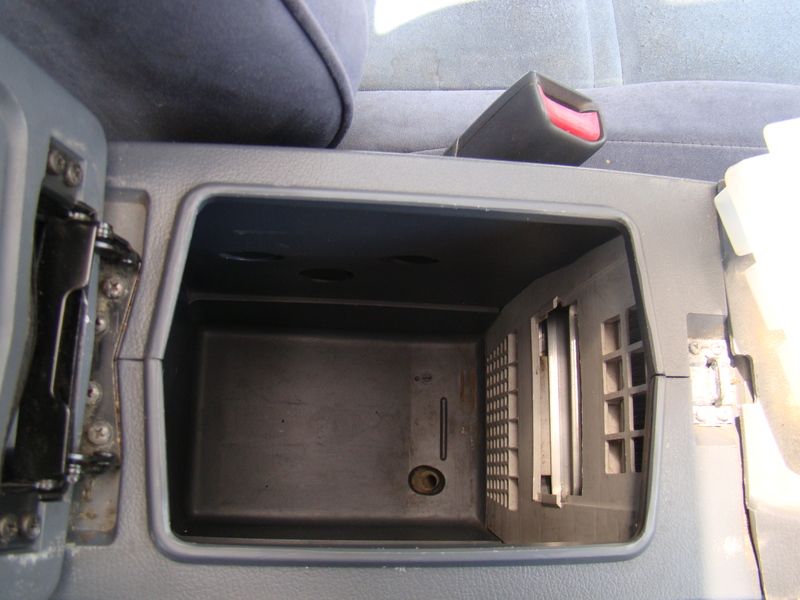 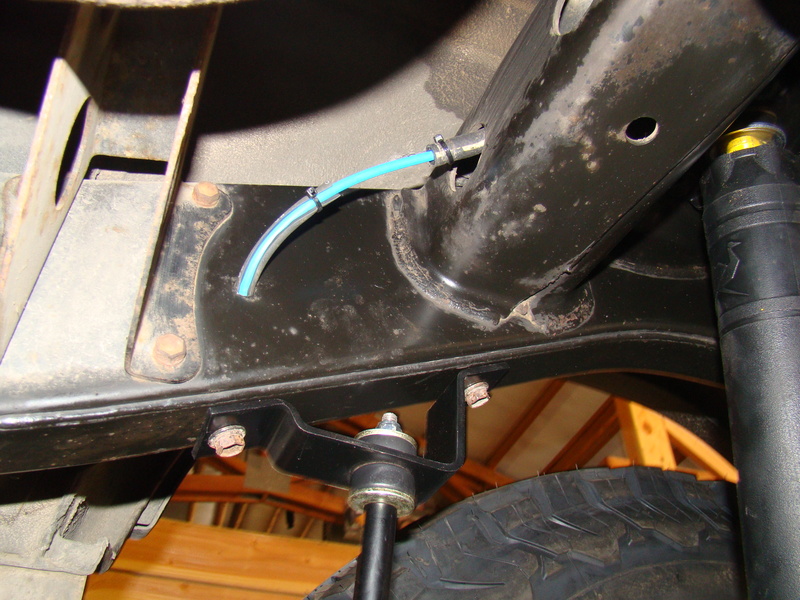 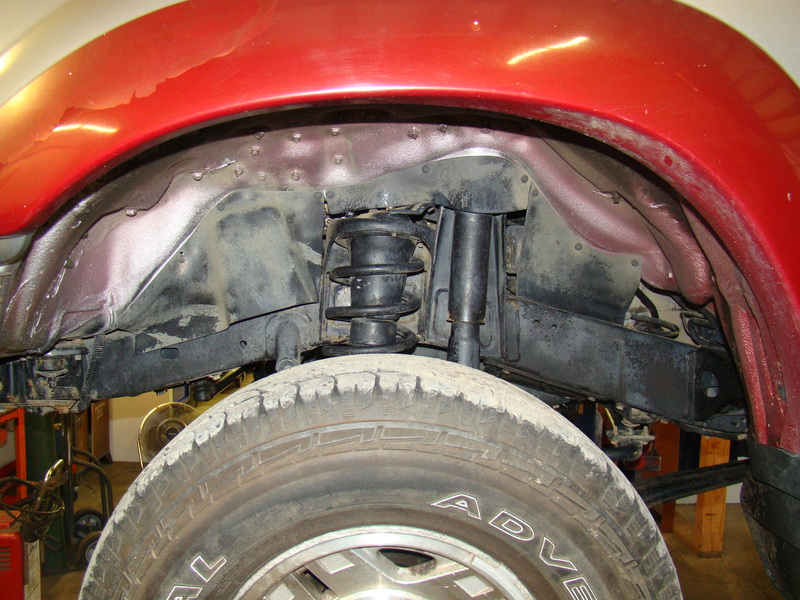 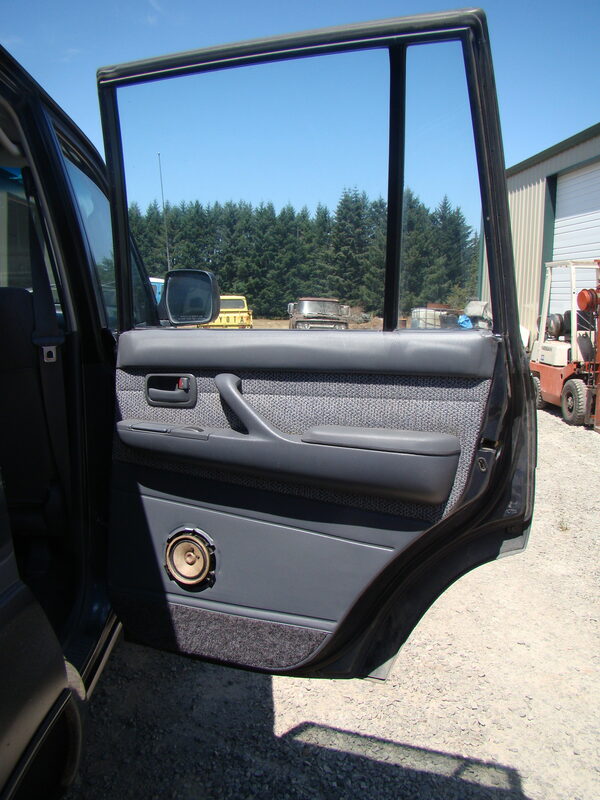 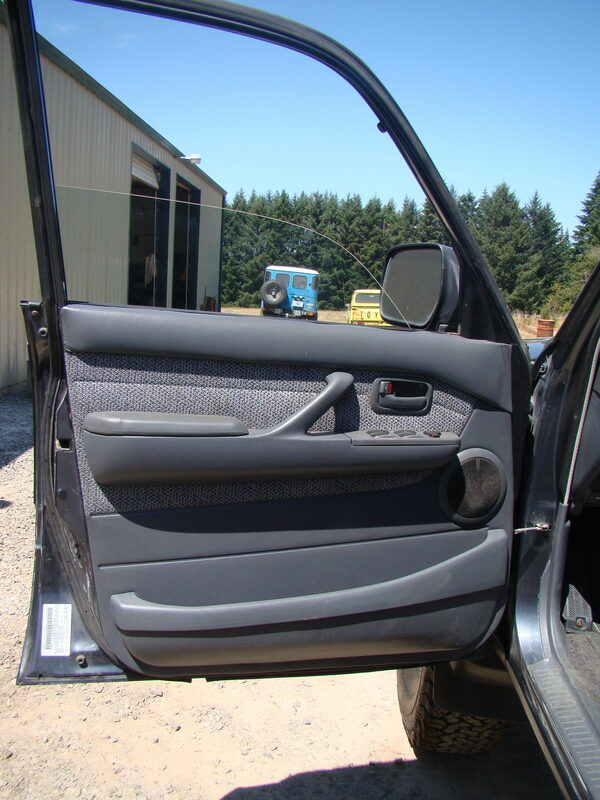 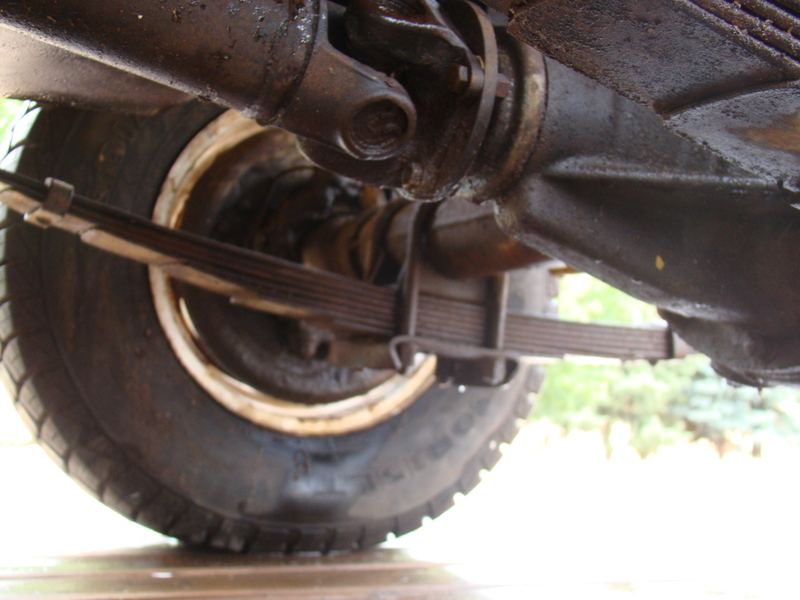 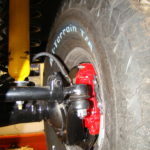 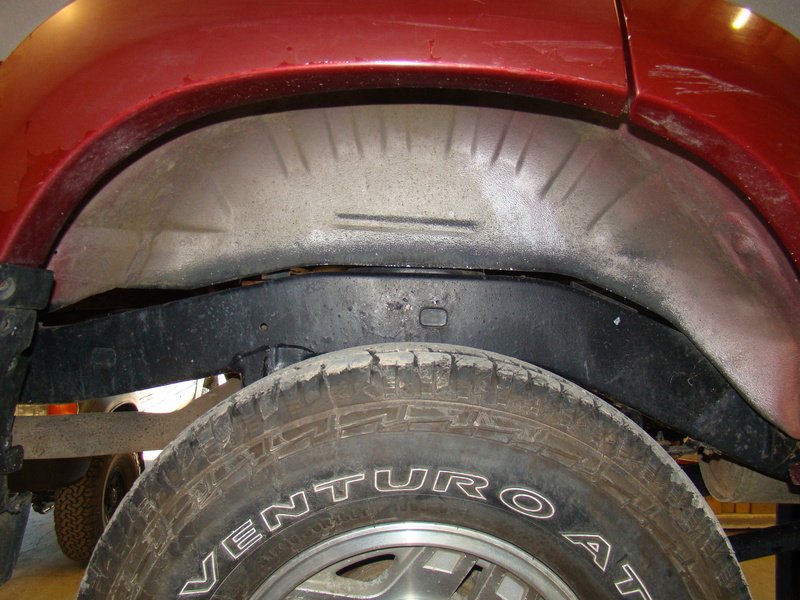 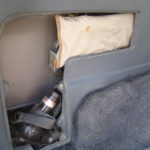 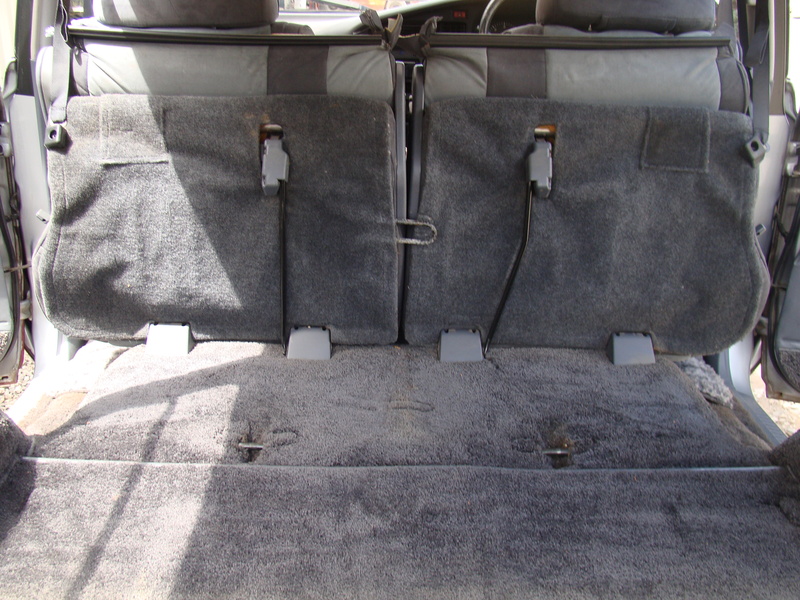 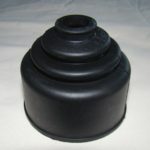 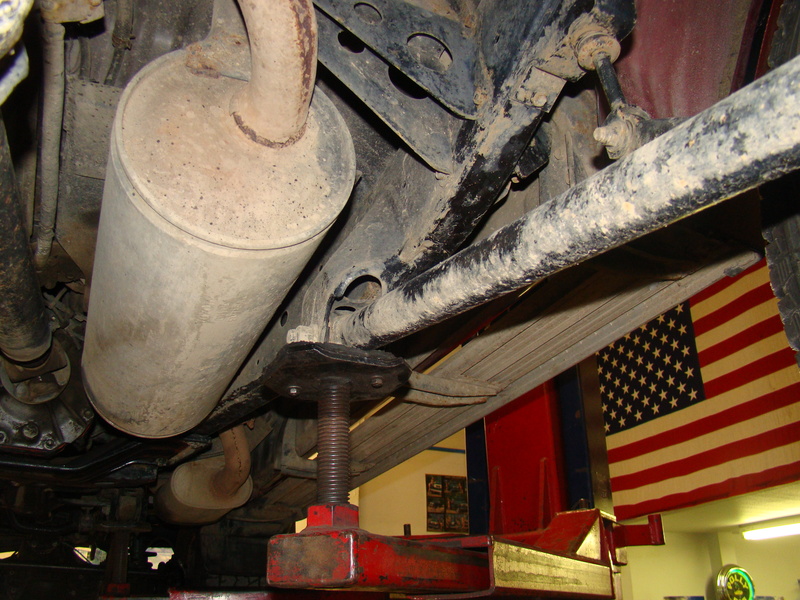 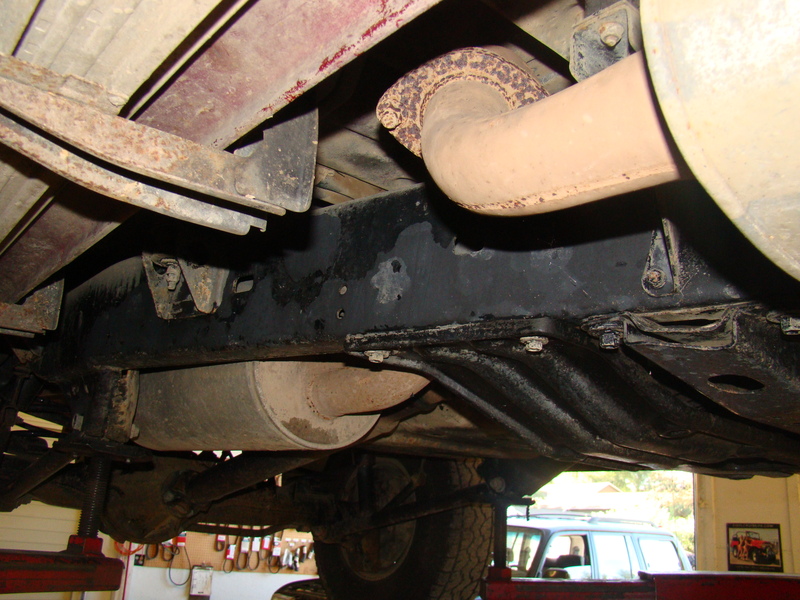 An OBA (on board air) system was installed with a 2.5 gallon tank where the original spare tire was. 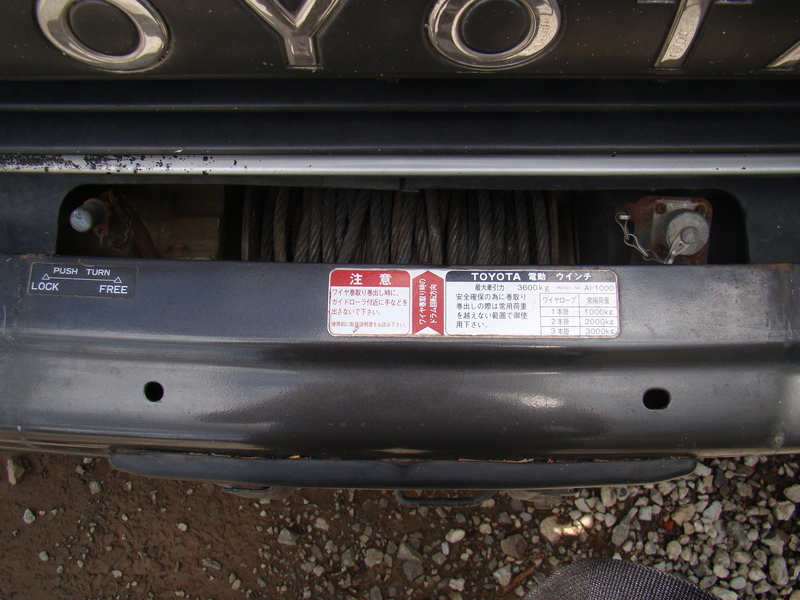 The front windshield was replaced along with a new OEM seal. 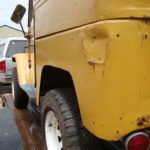 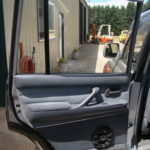 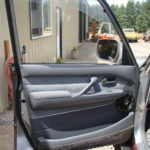 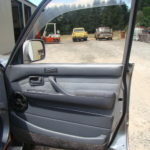 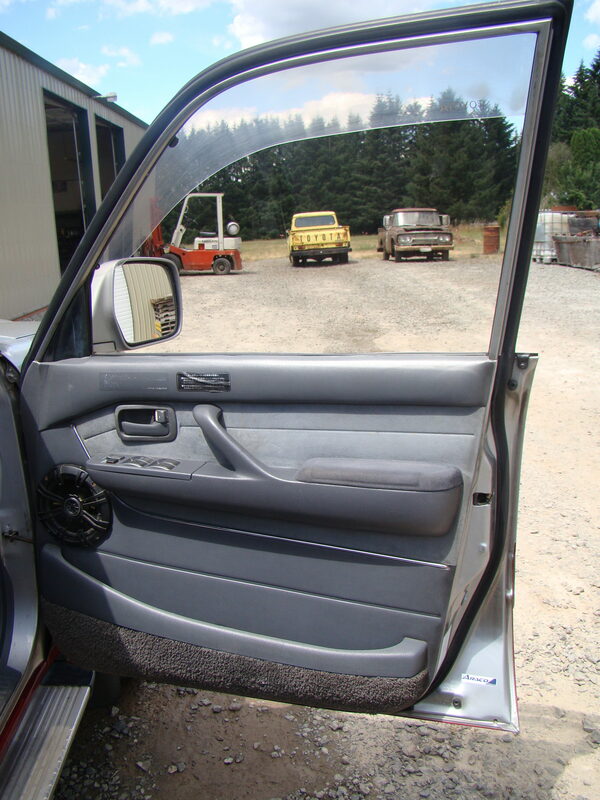 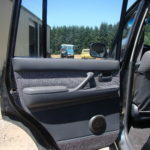 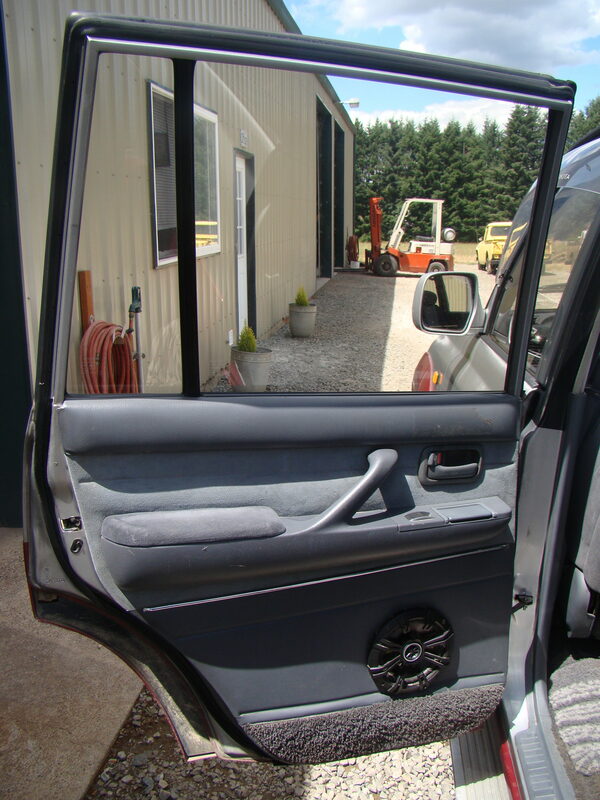 Drivers front door and tailgate had a few dents so they were repaired & repainted. 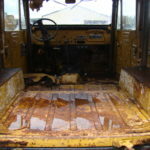 The rest of the body is clean. 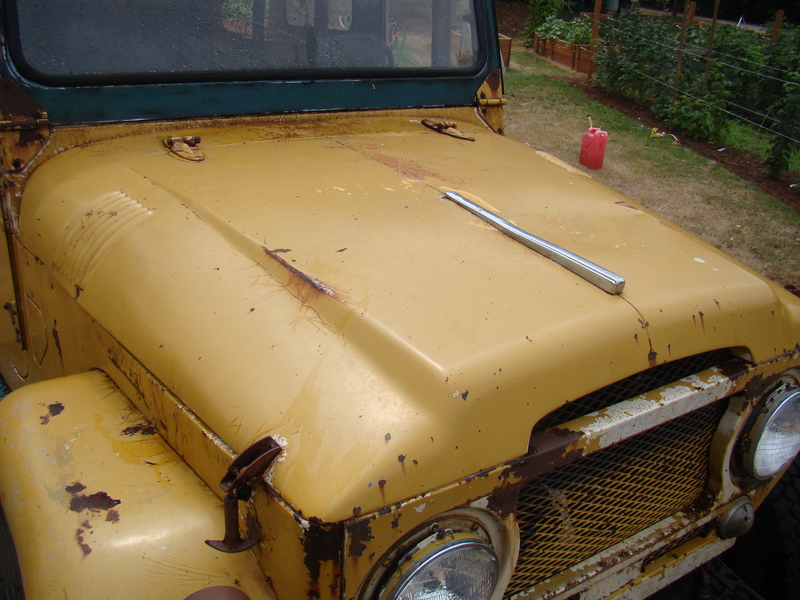 There’s some scratches and small dings, but no rust! 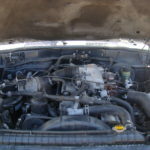 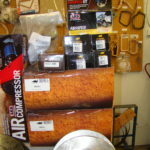 Trans fluid and filter was changed. 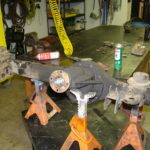 Rebuild front and rear axles. 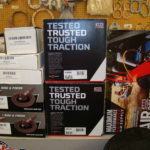 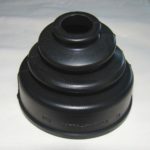 -New bearings (differential, knuckle and axle). 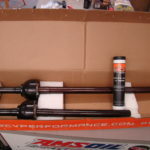 -New RCV chromoly front axle shafts. 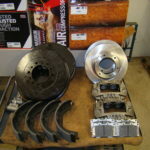 -New Rotors, calipers and pads (front). 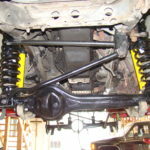 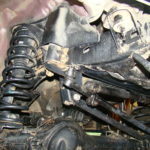 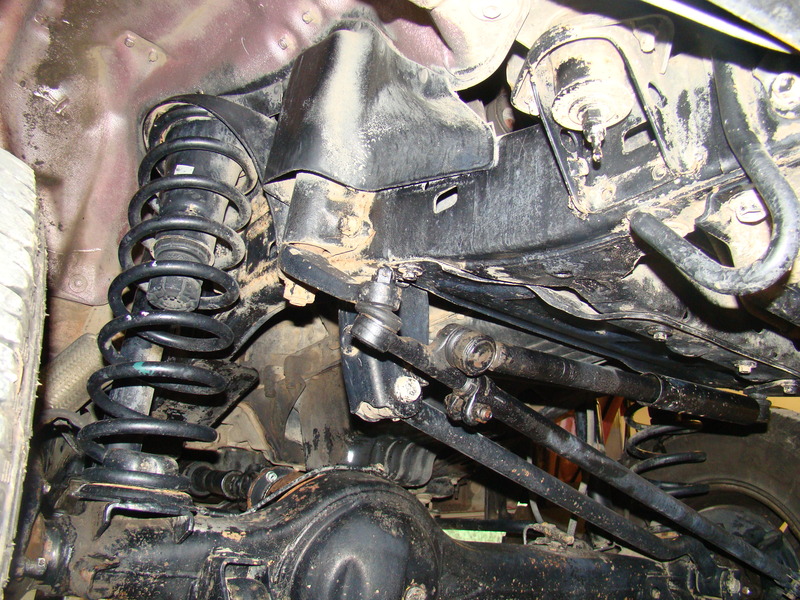 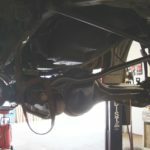 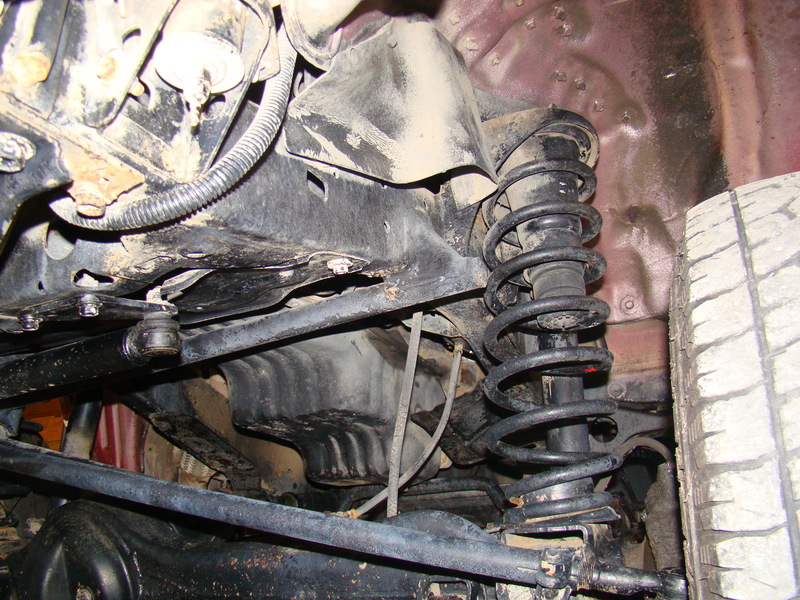 All new tie-rod ends installed and steering rods stripped and painted. 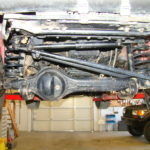 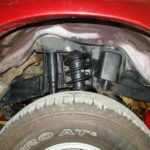 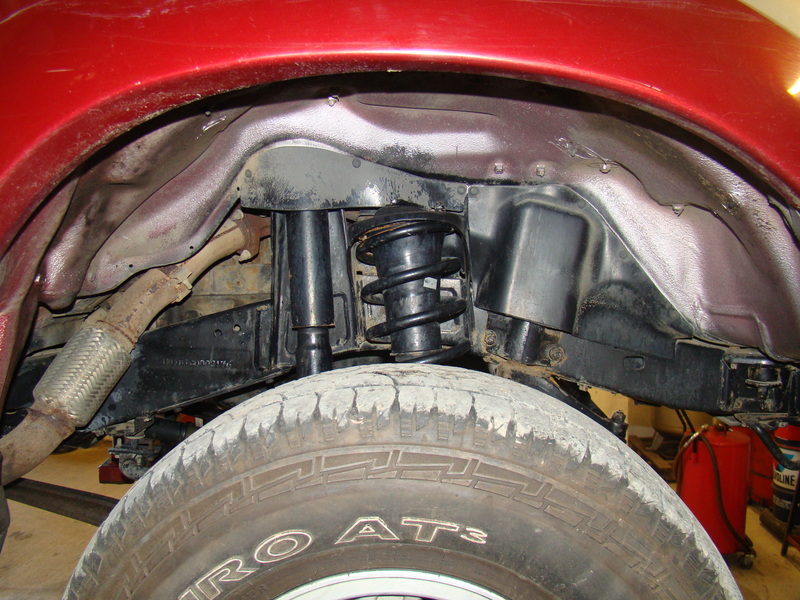 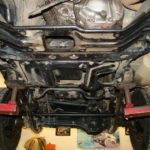 -Rear upper and lower links. 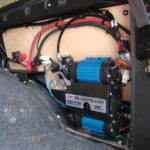 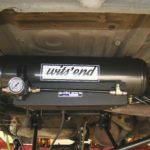 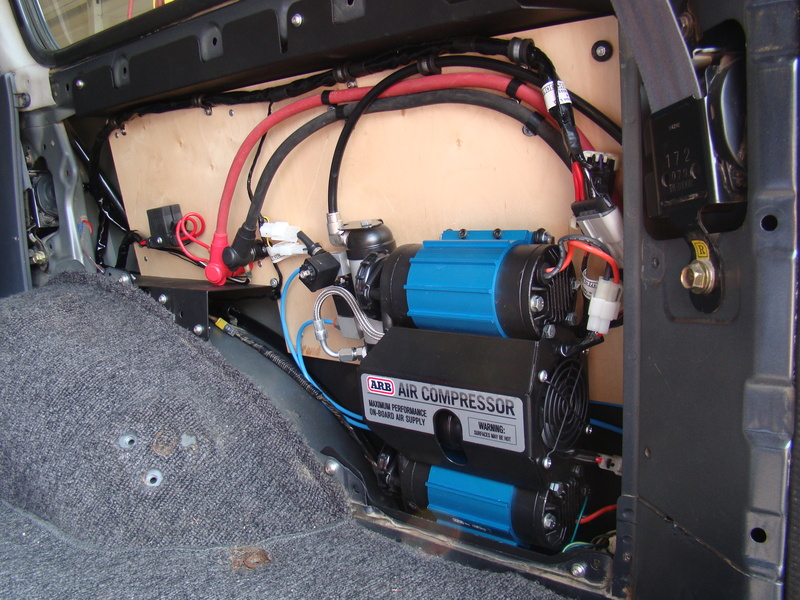 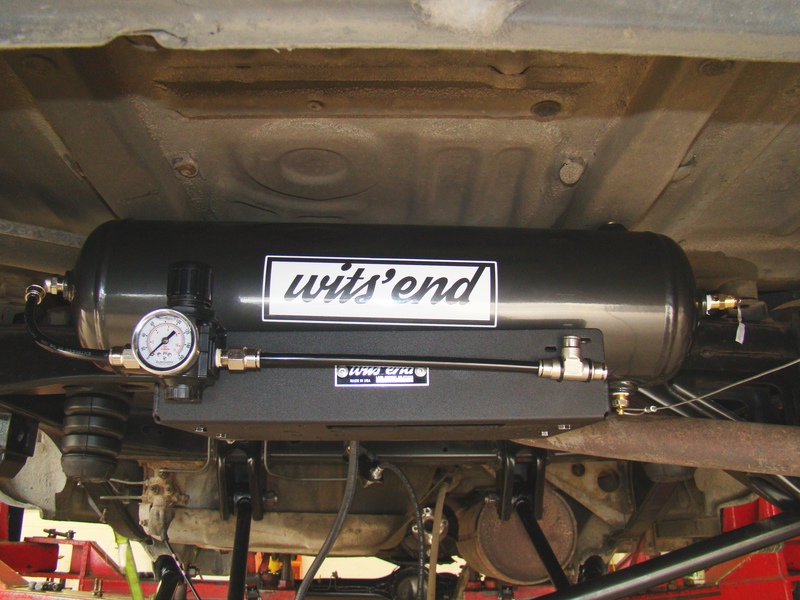 OBA system with ARB twin compressor and 2 ½ gallon tank. 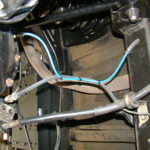 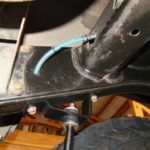 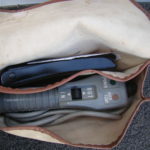 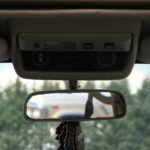 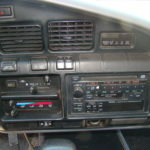 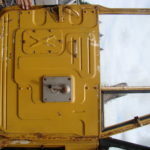 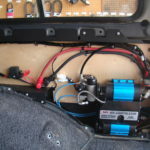 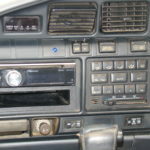 Front and rear air connections. 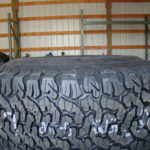 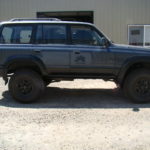 5 new BFG AT KO2 tires on OEM painted rims. 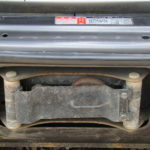 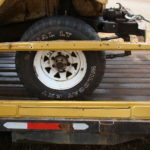 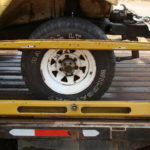 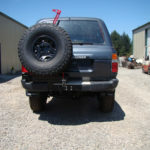 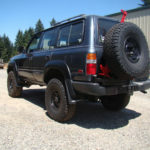 Swing-out spare tire carrier w/new high lift jack. 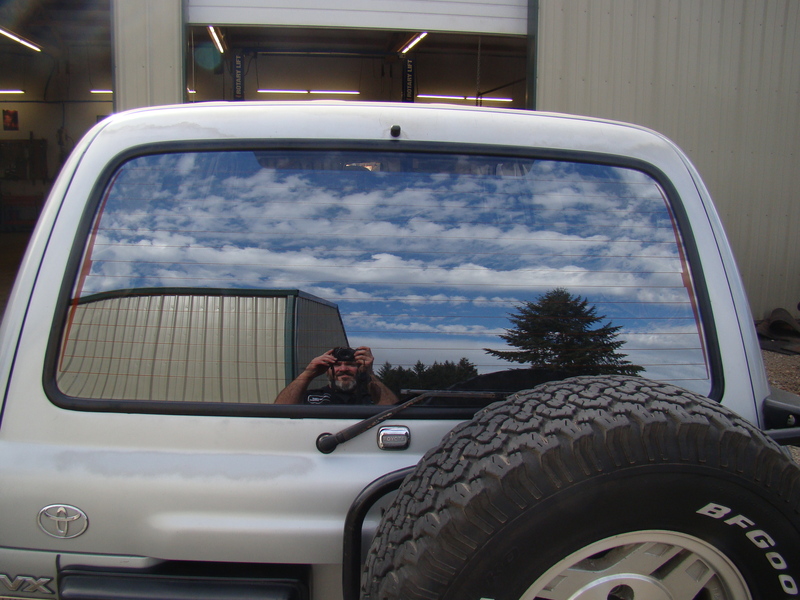 New front windshield with OEM seal. 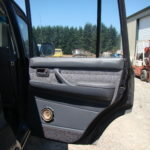 Dents repaired in drivers front door and tailgate and repainted. 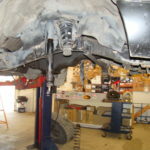 Transmission filter and fluid changed.